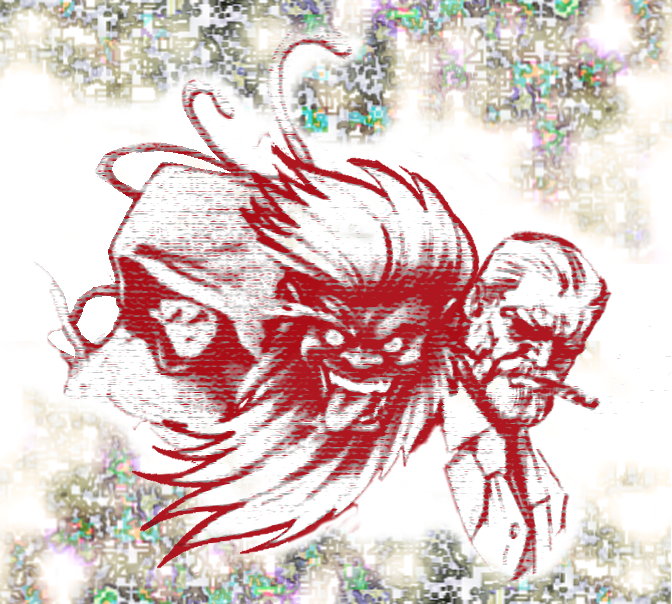 I haven't made lists for my website in a pretty long time. 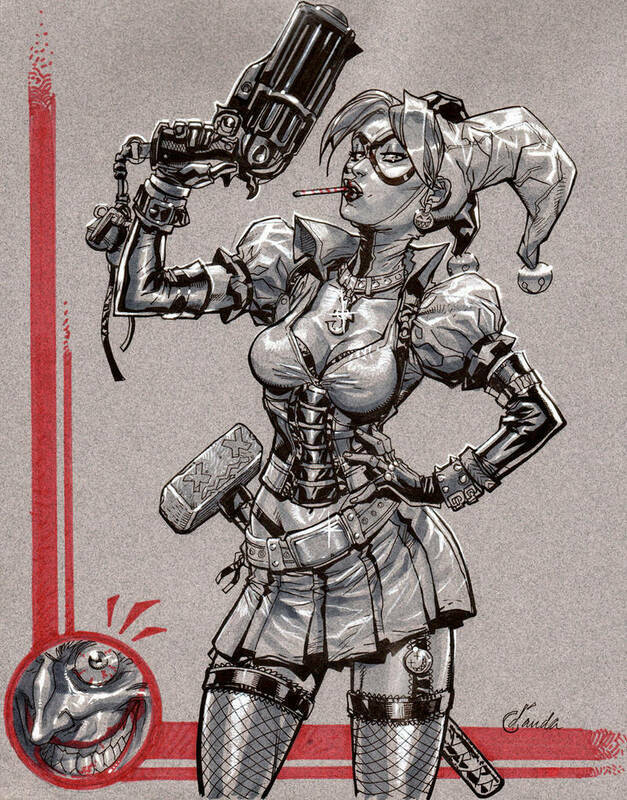 I have been doing a lot of art curation and noticed that there are some characters which all great artists draw... and draw well. 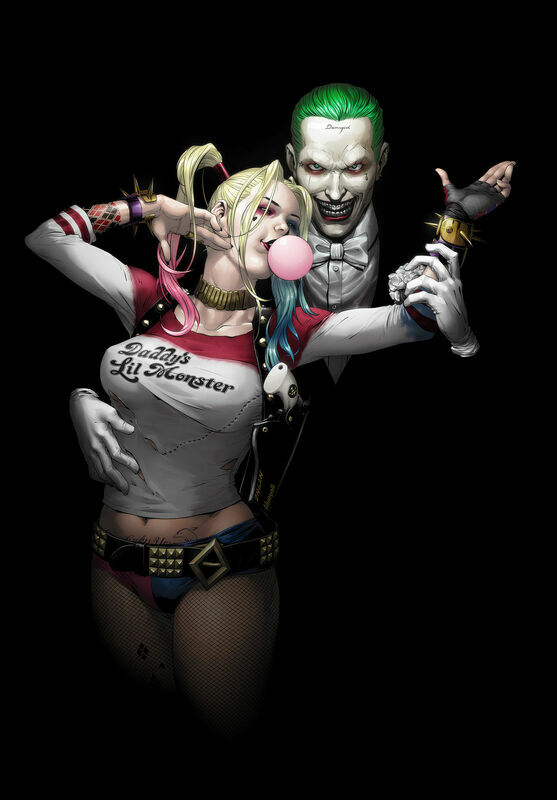 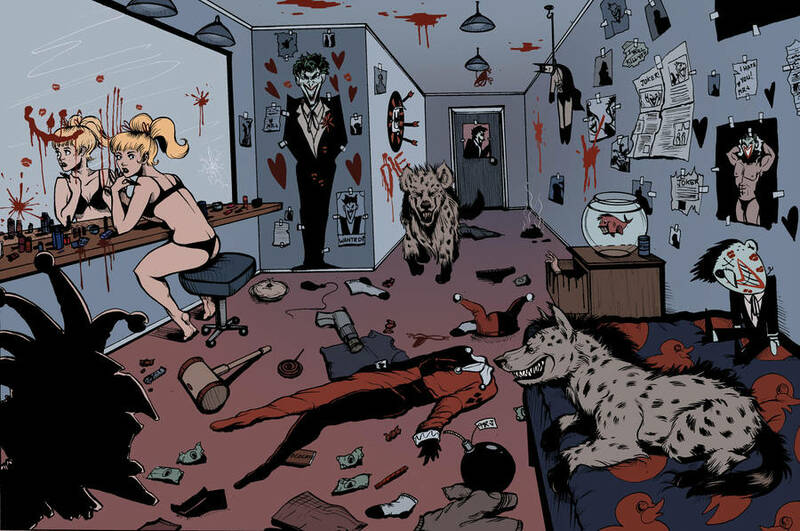 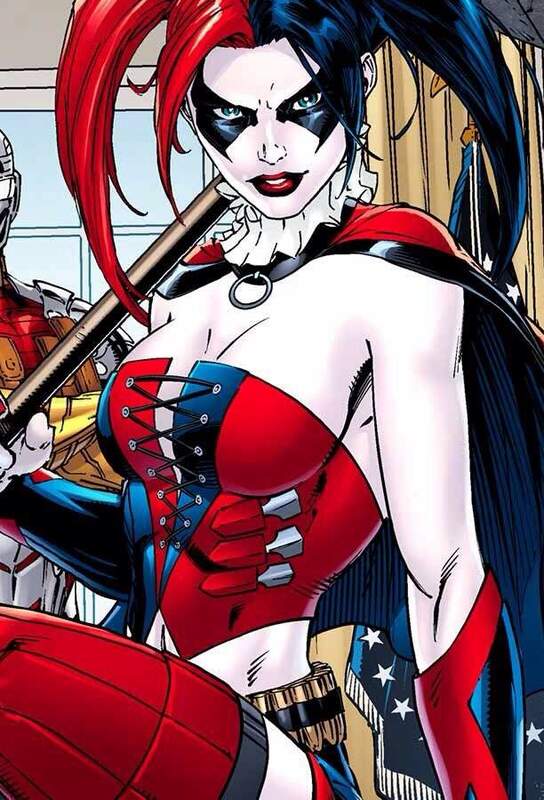 Harley Quinn is a prime example. 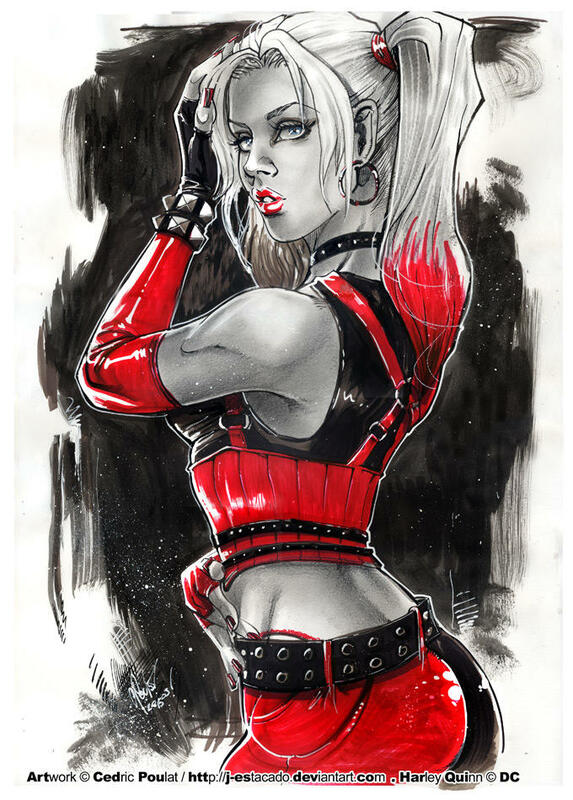 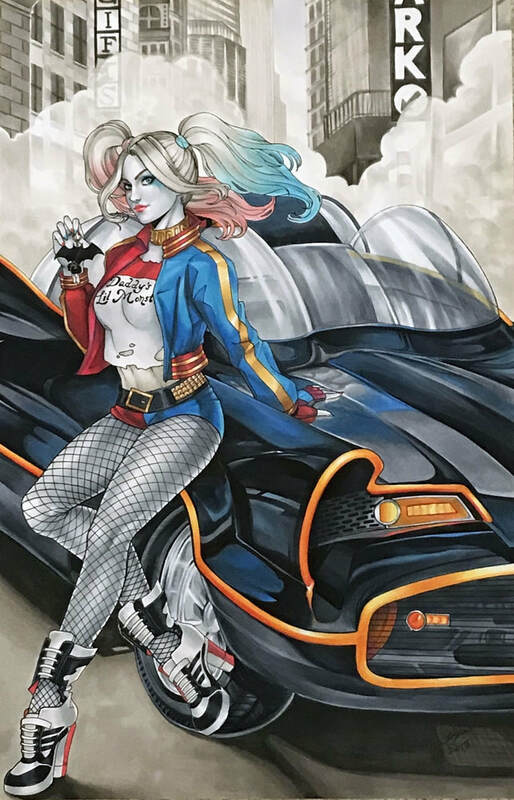 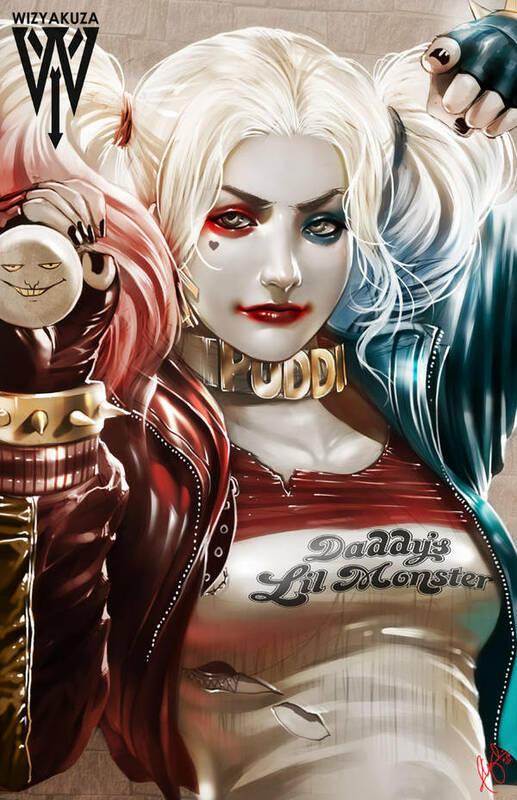 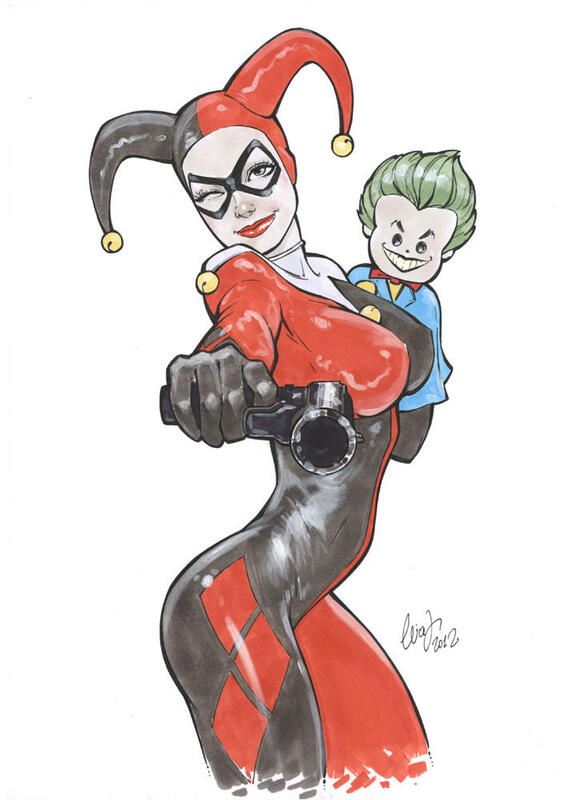 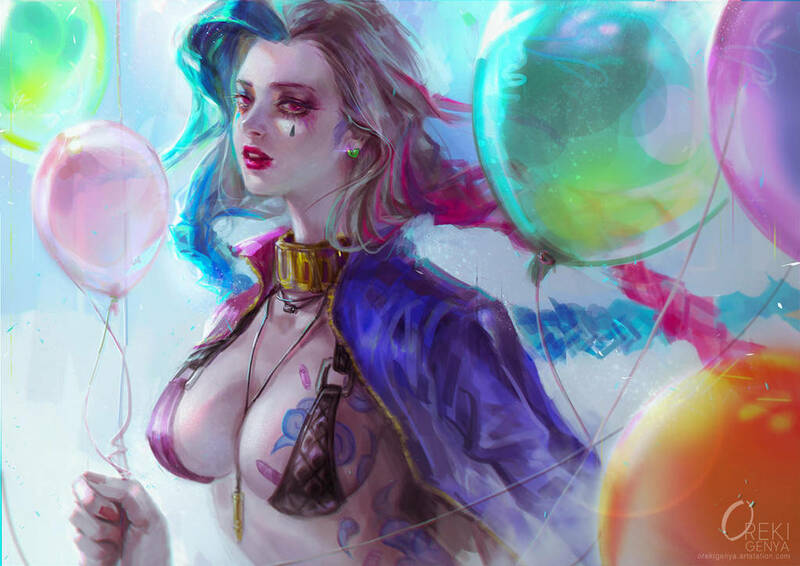 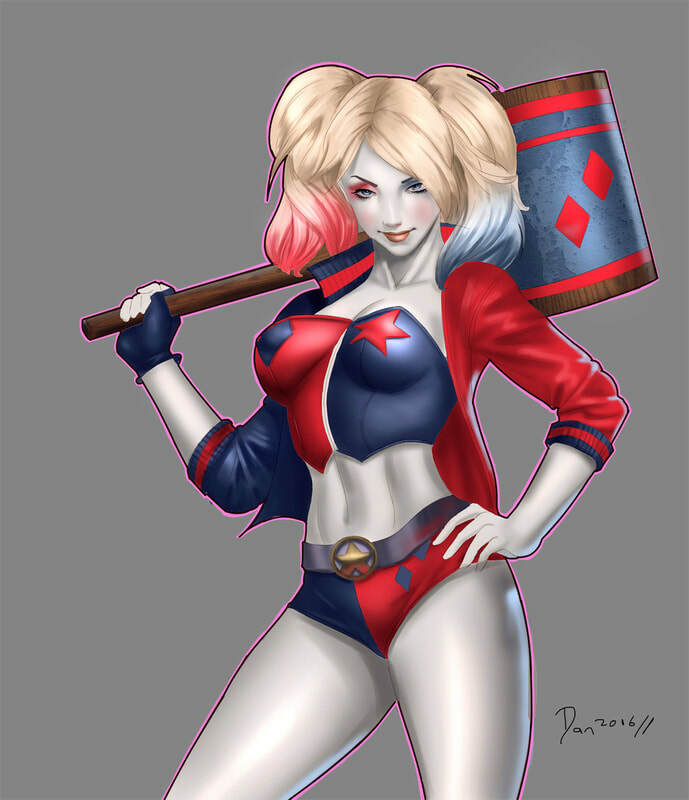 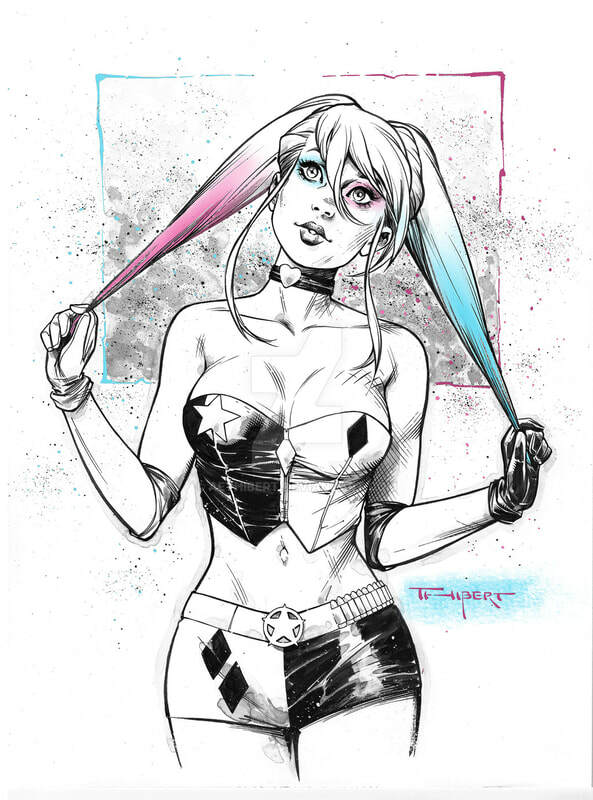 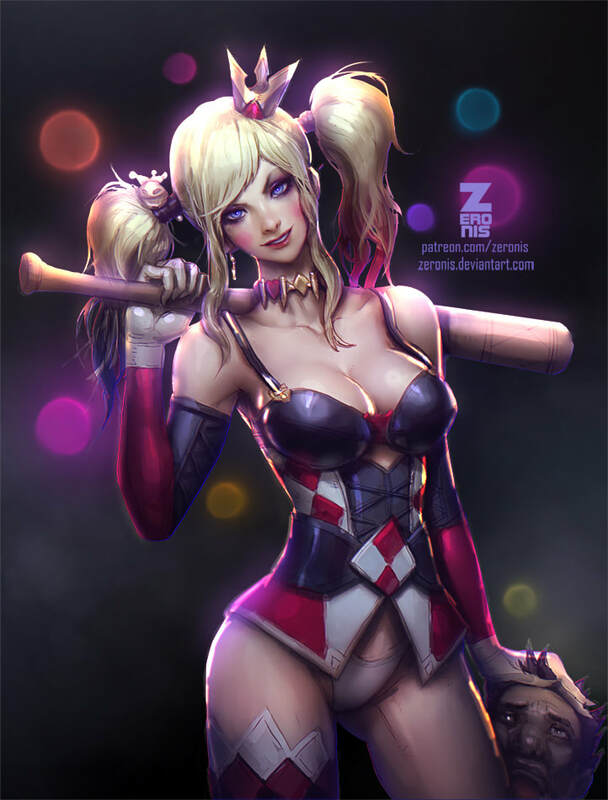 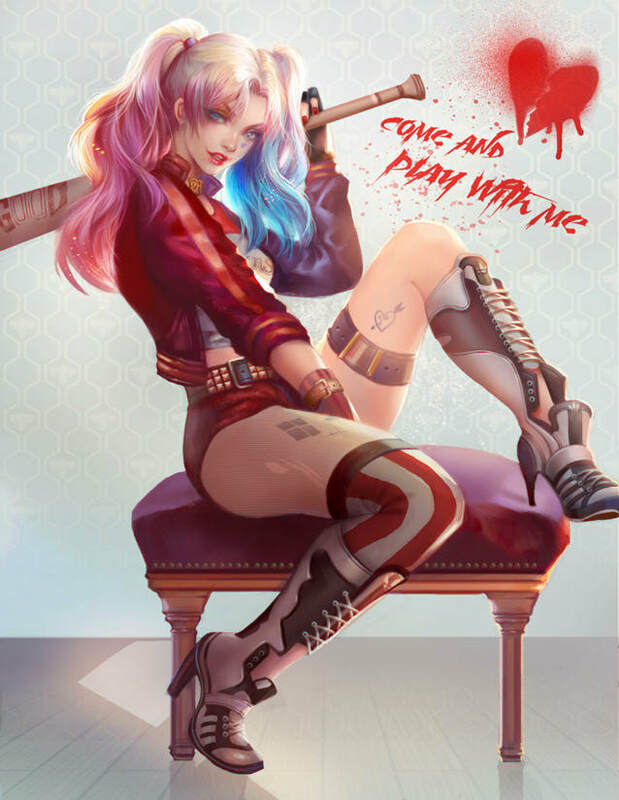 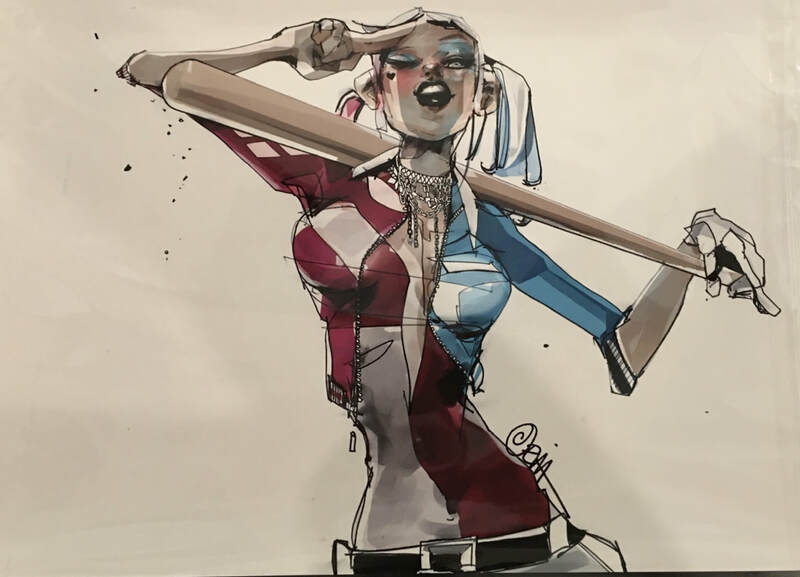 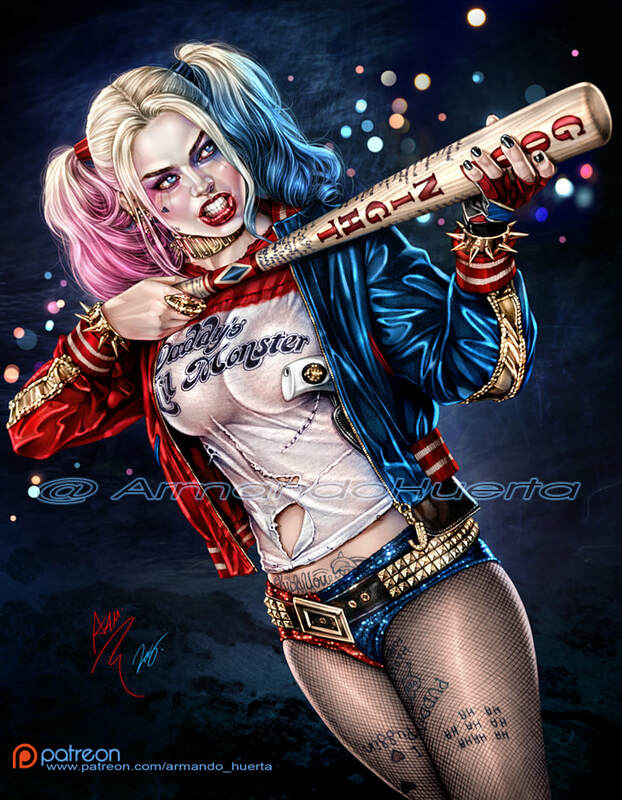 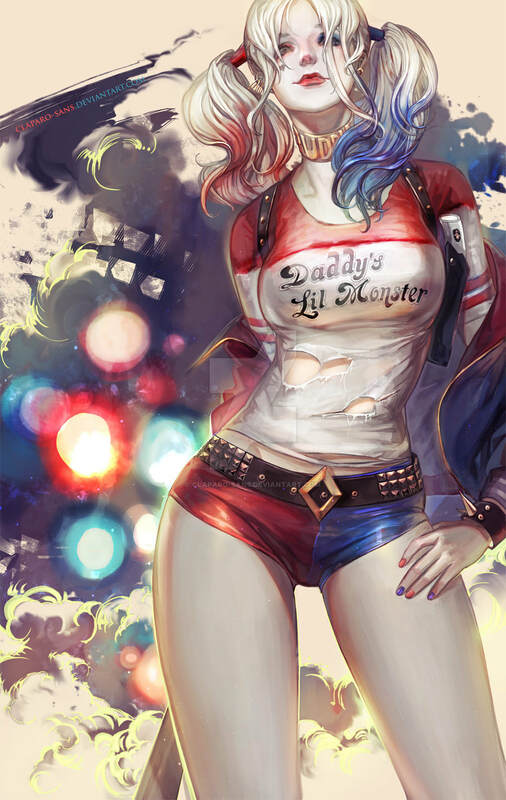 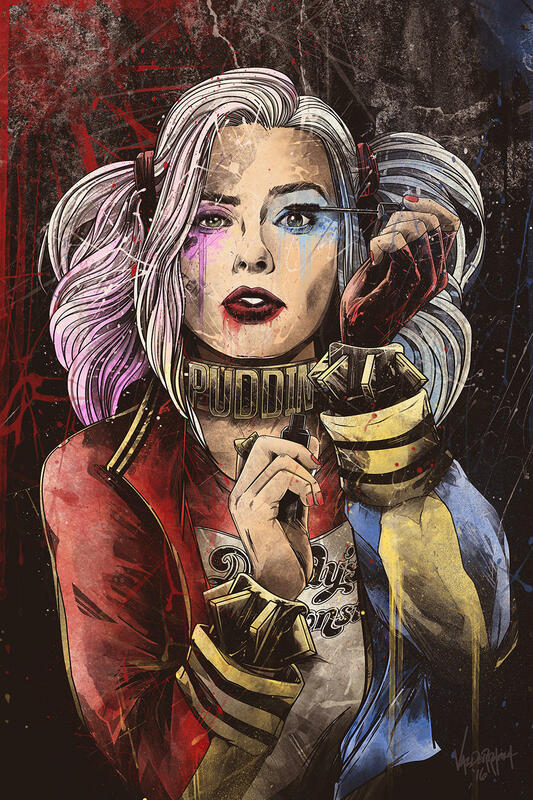 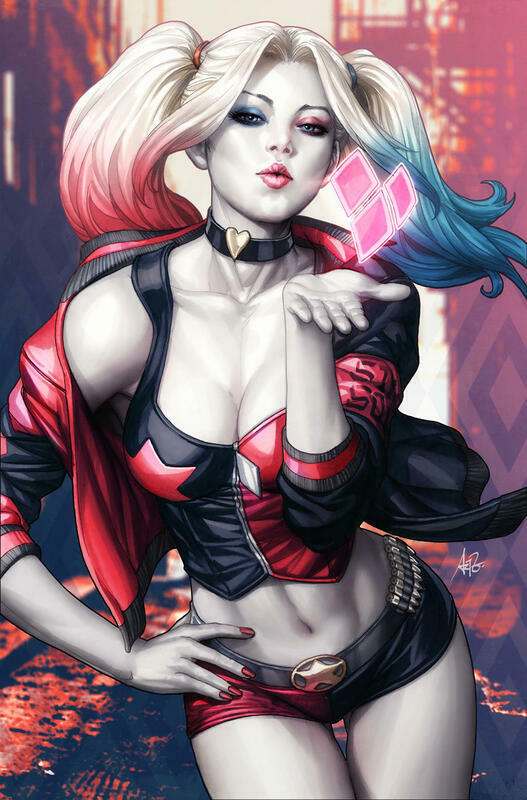 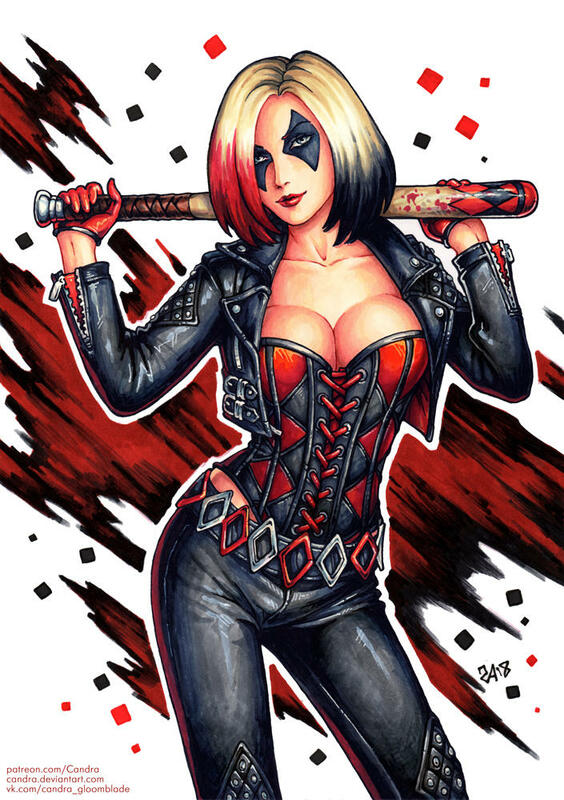 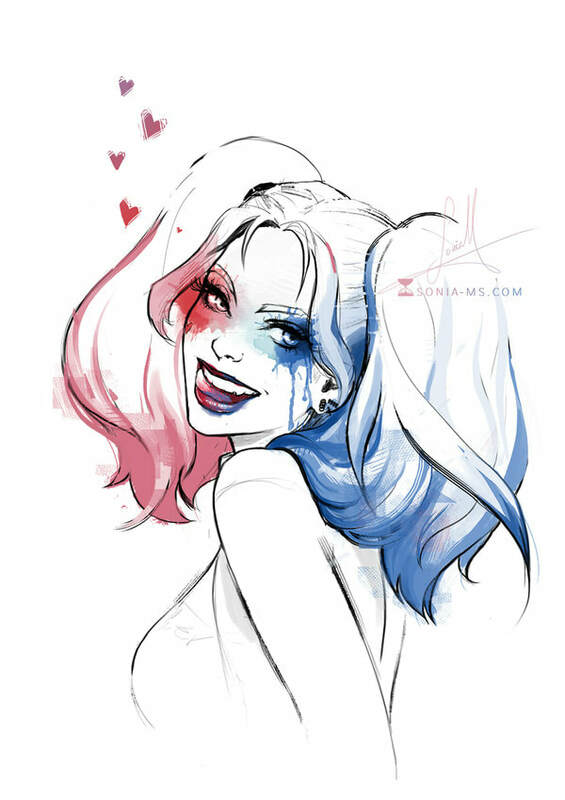 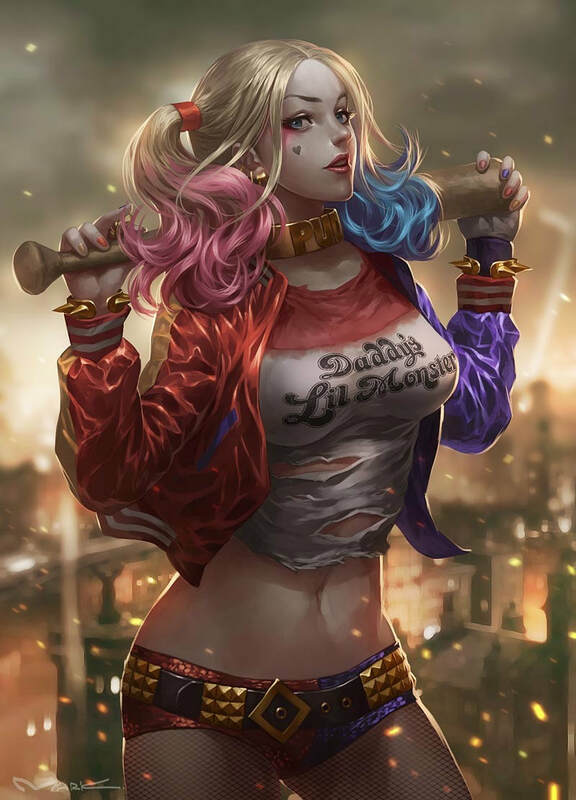 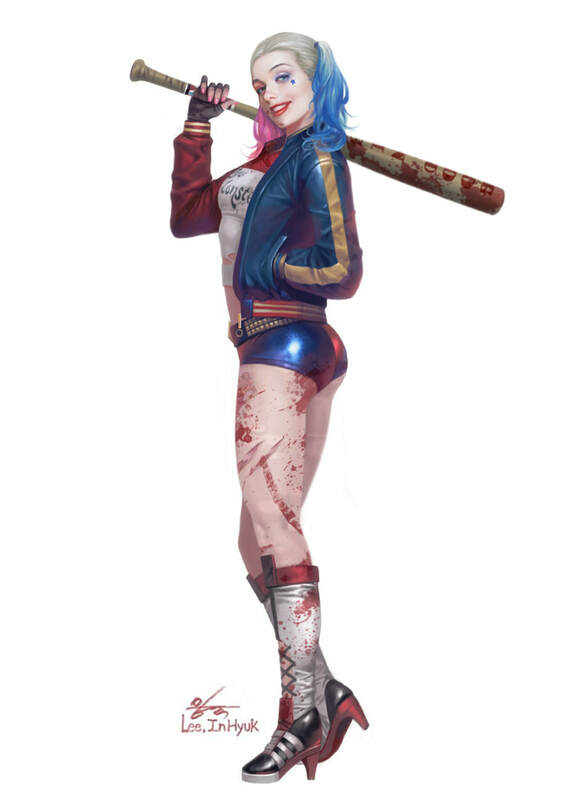 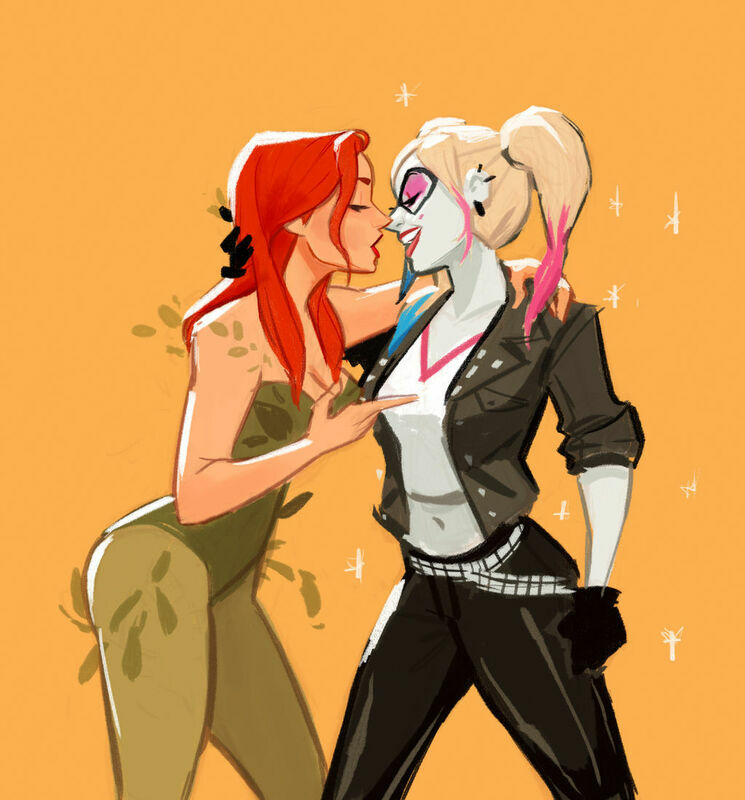 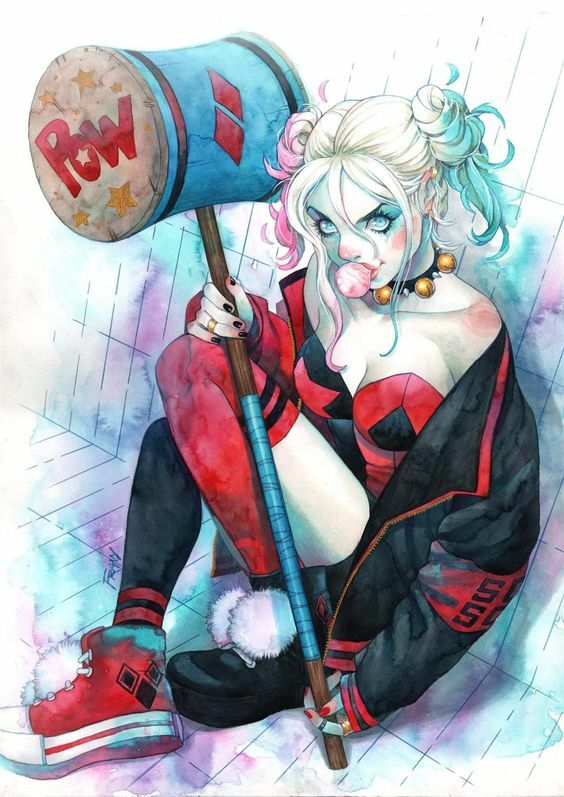 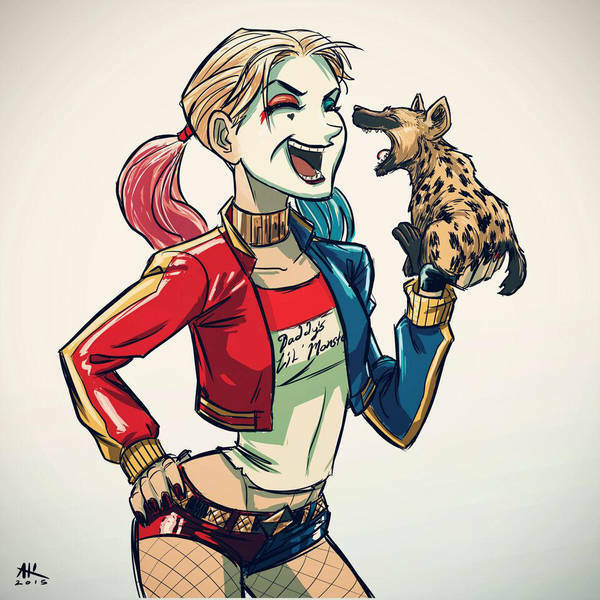 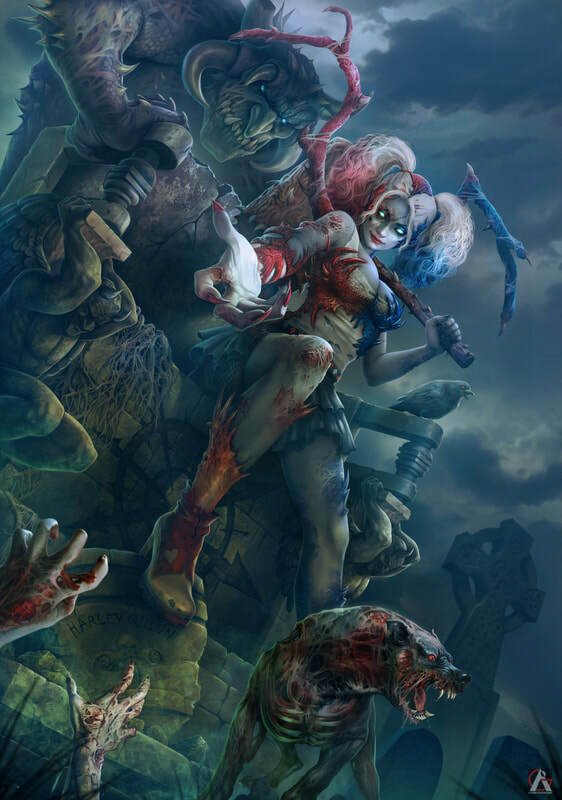 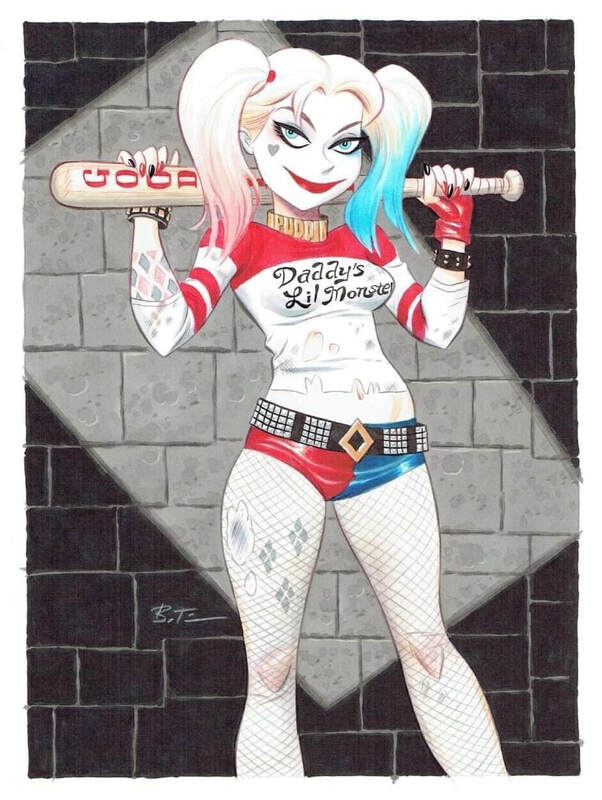 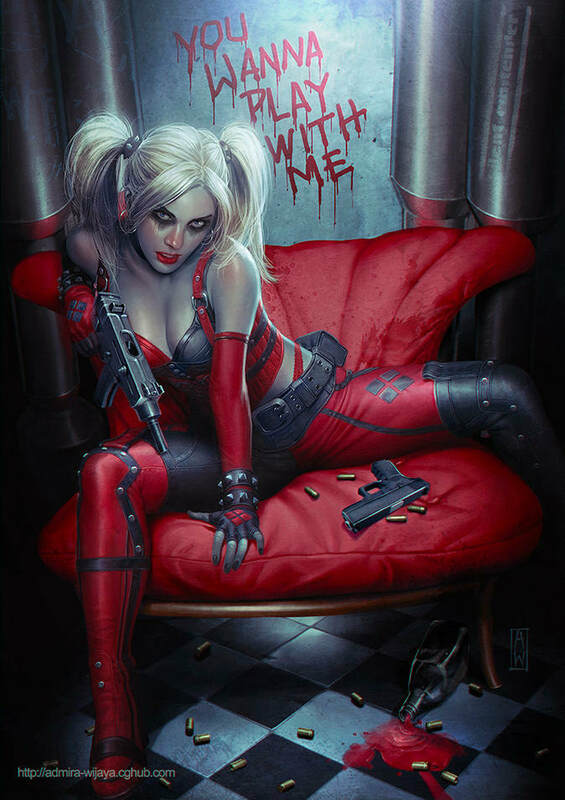 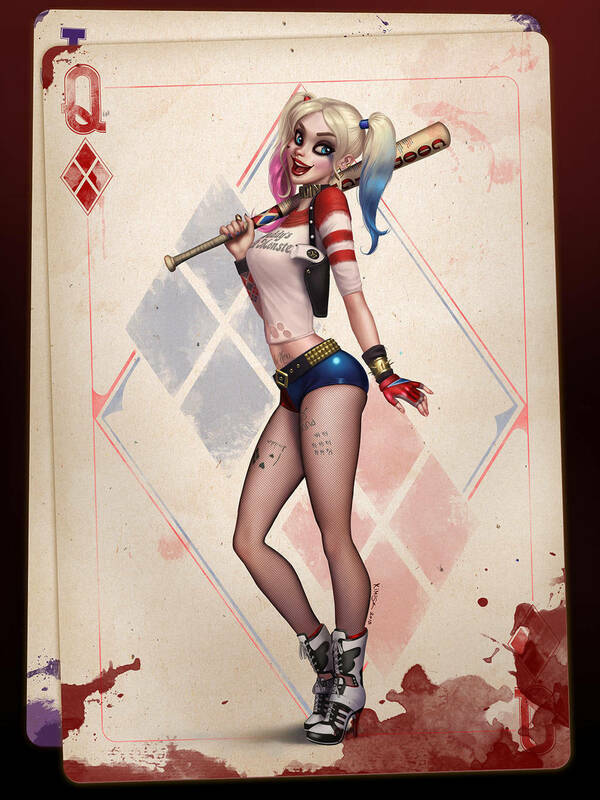 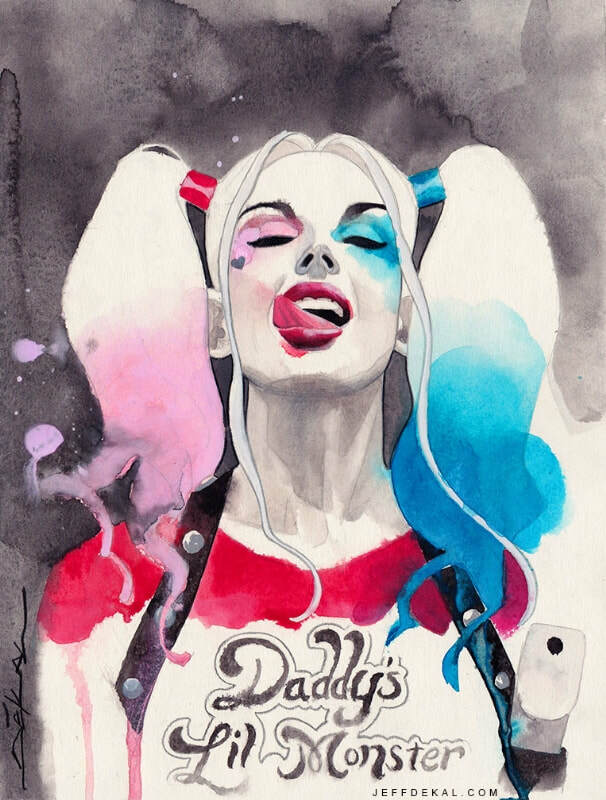 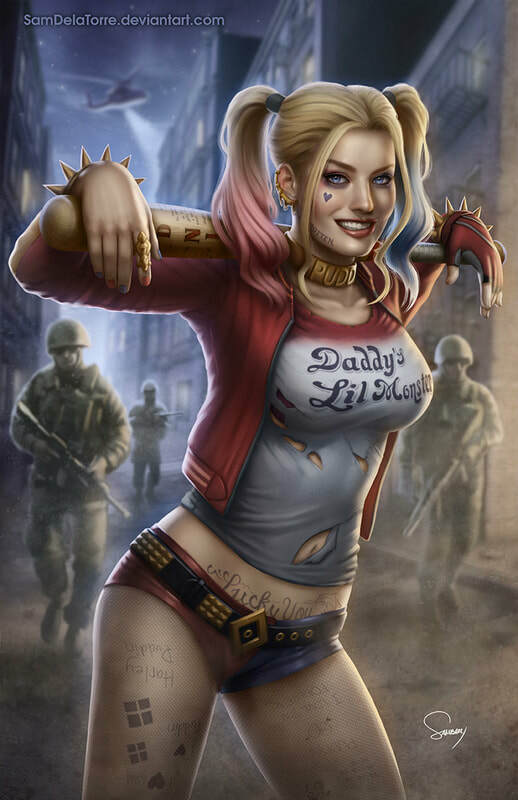 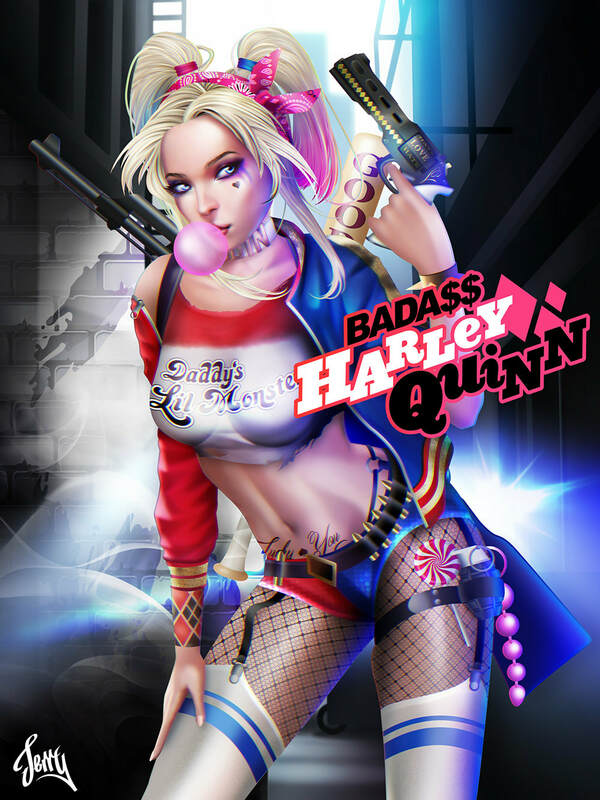 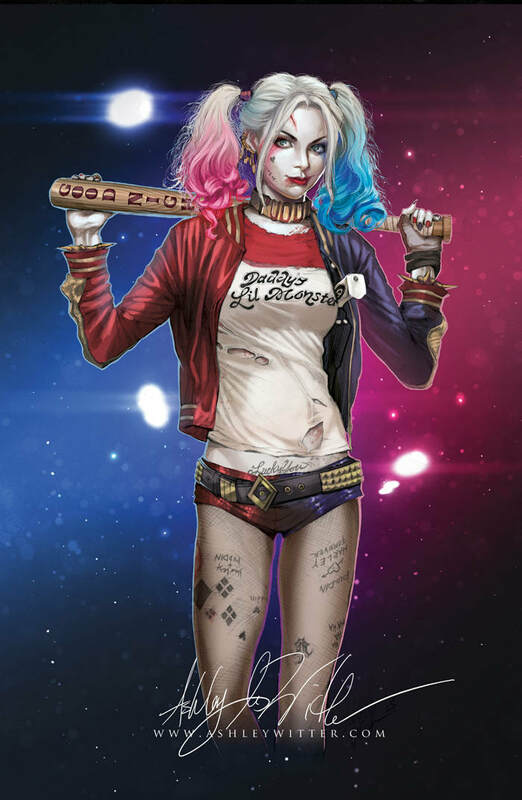 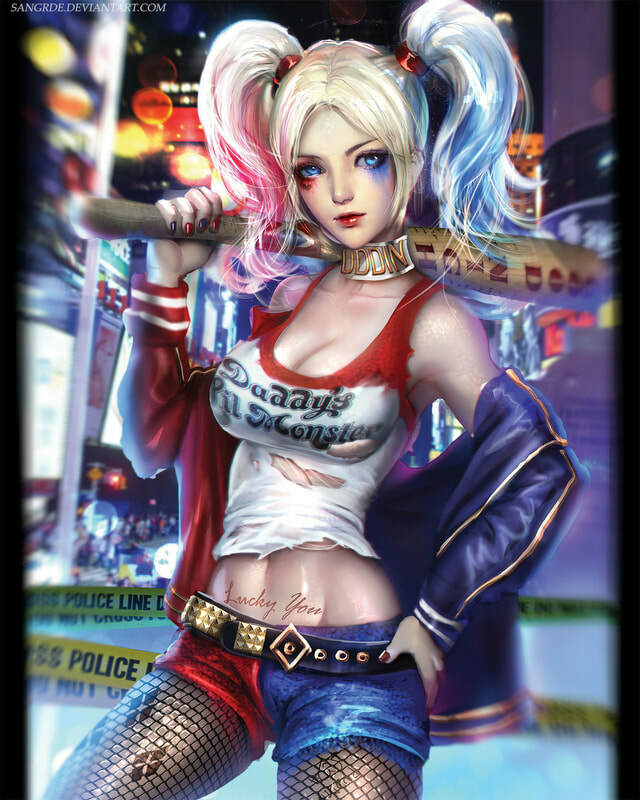 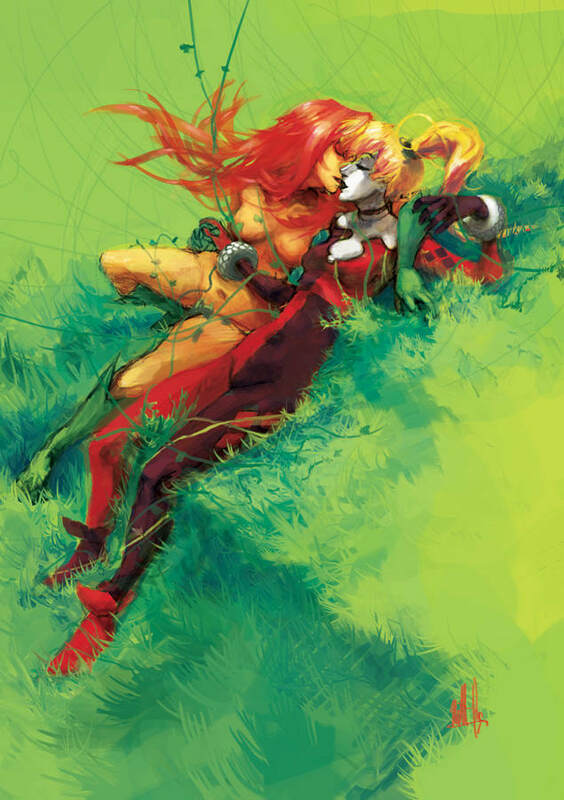 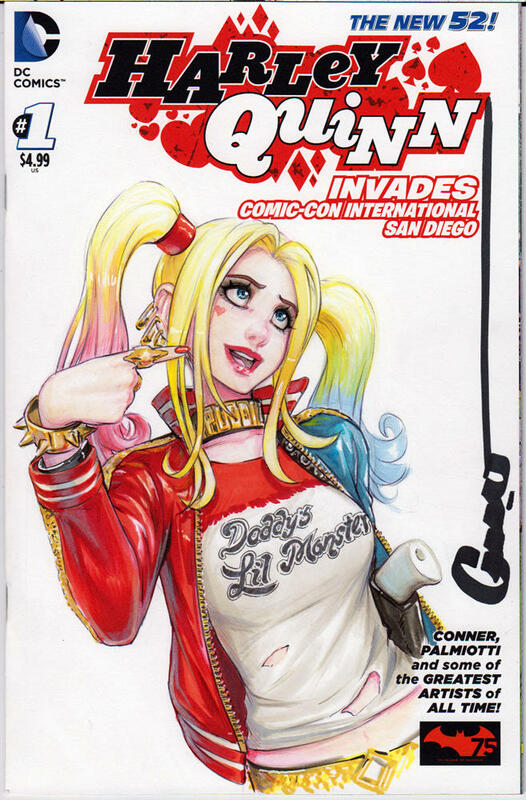 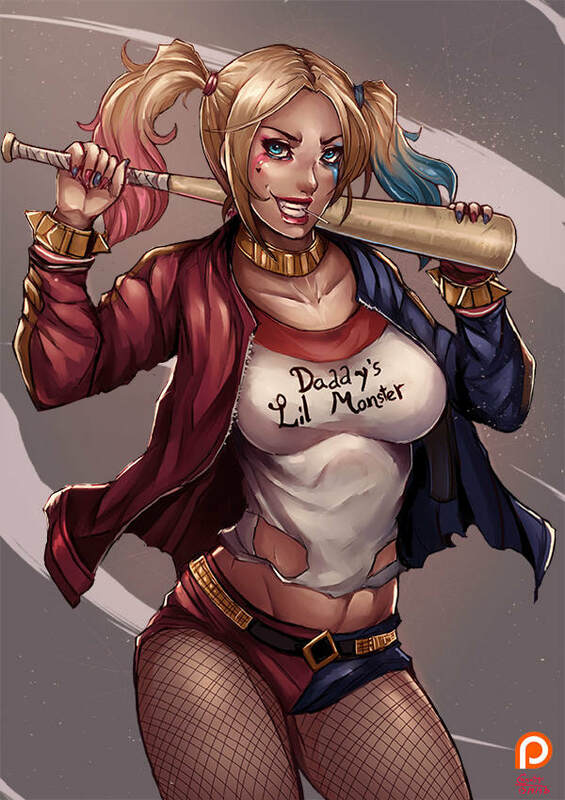 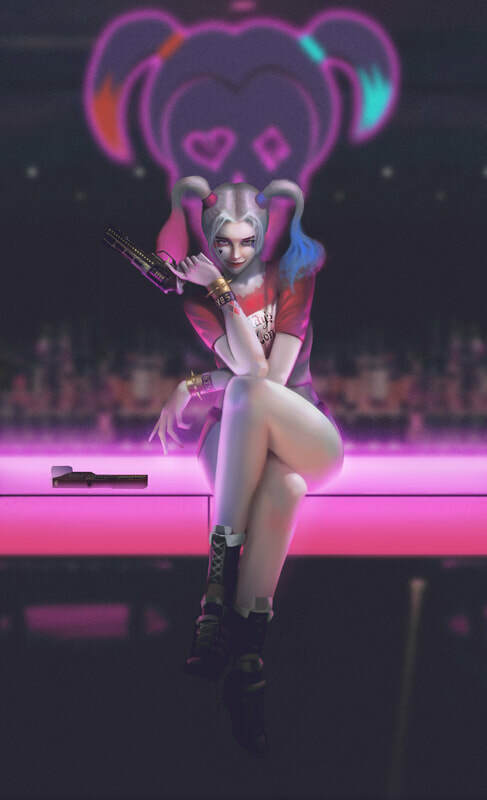 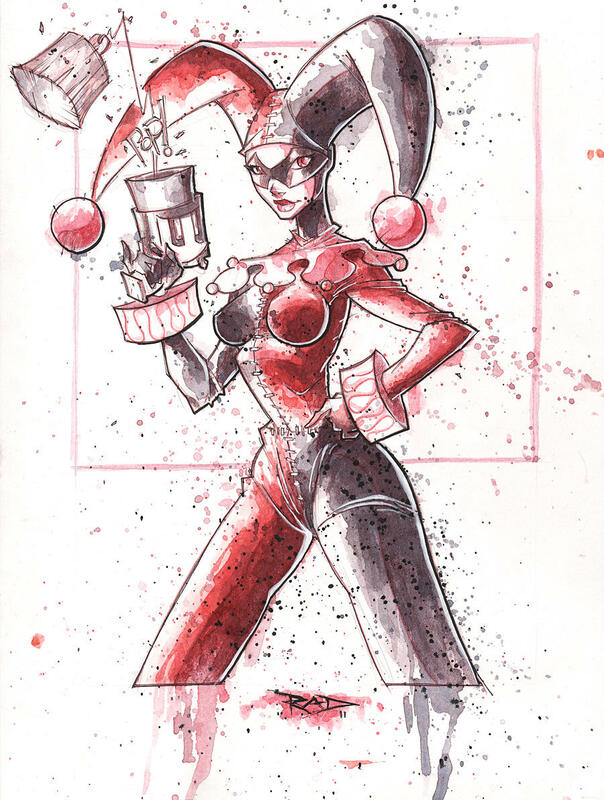 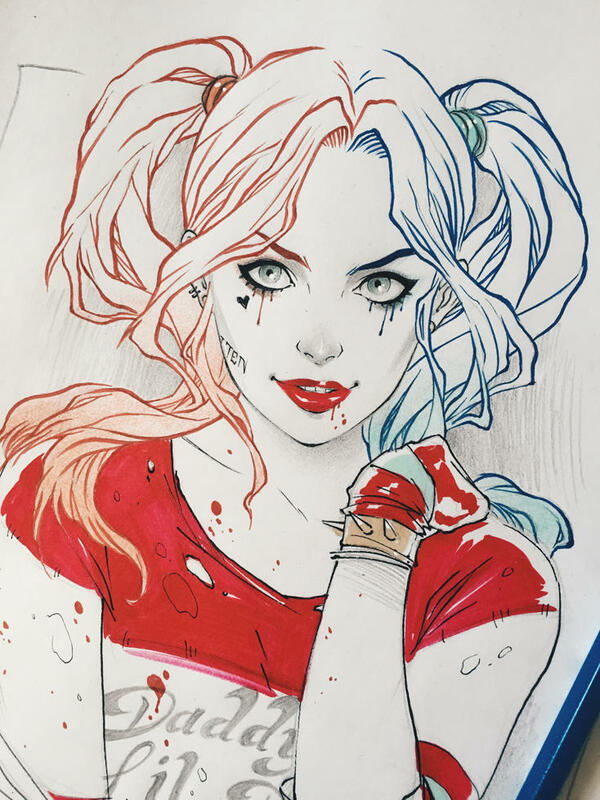 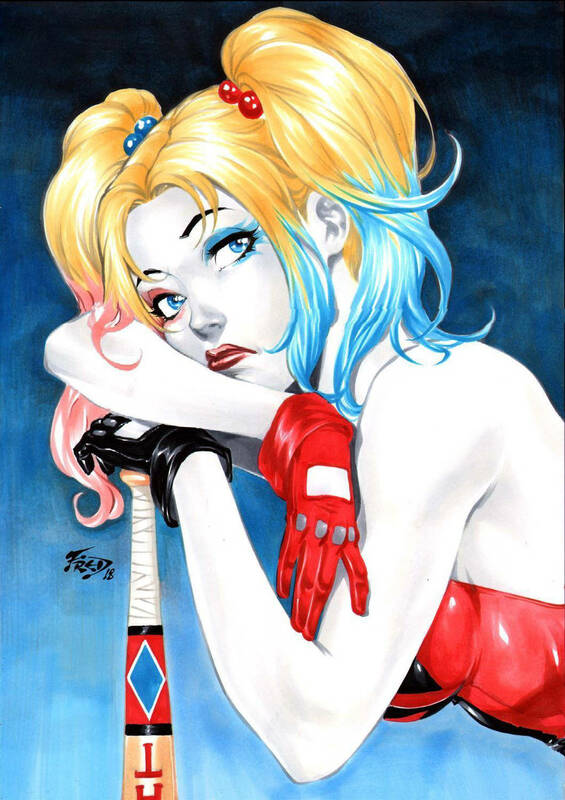 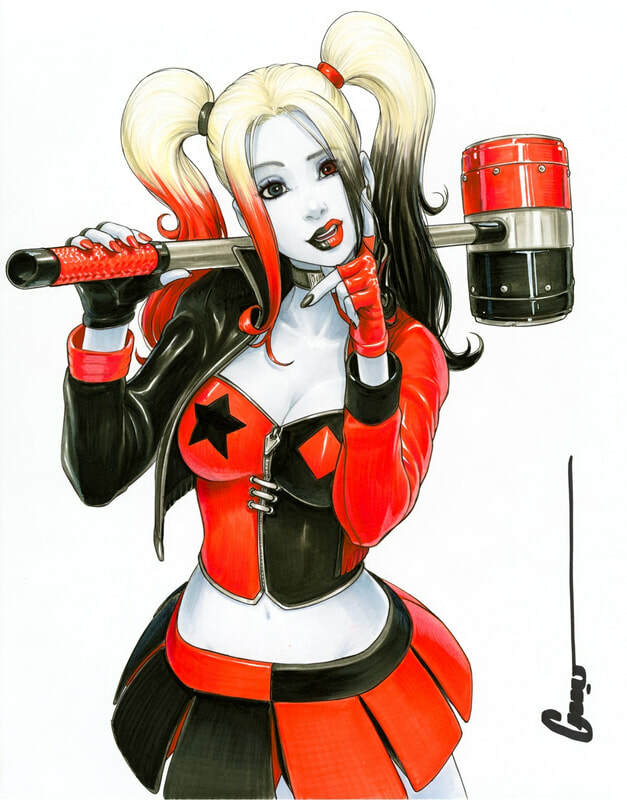 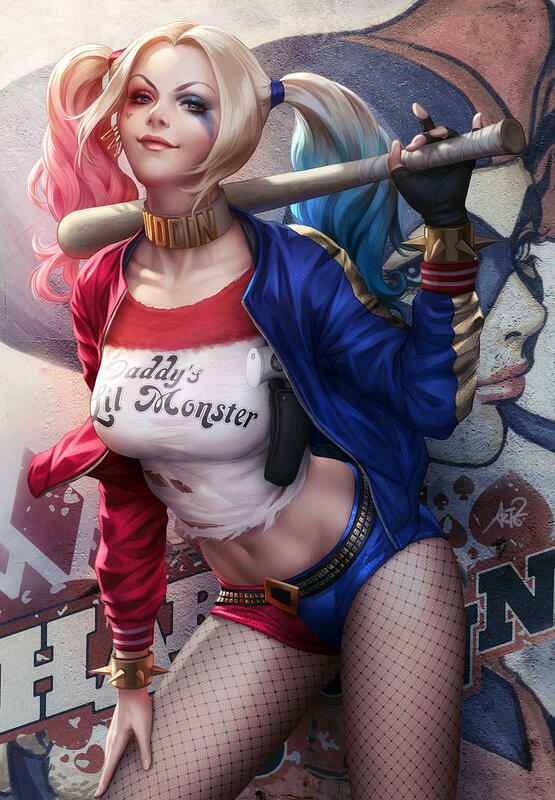 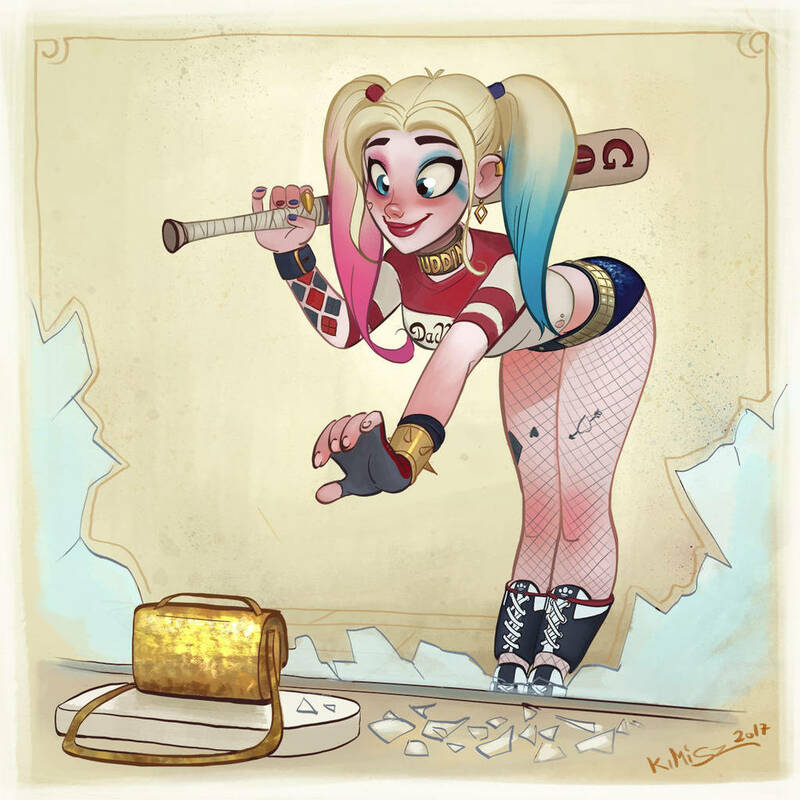 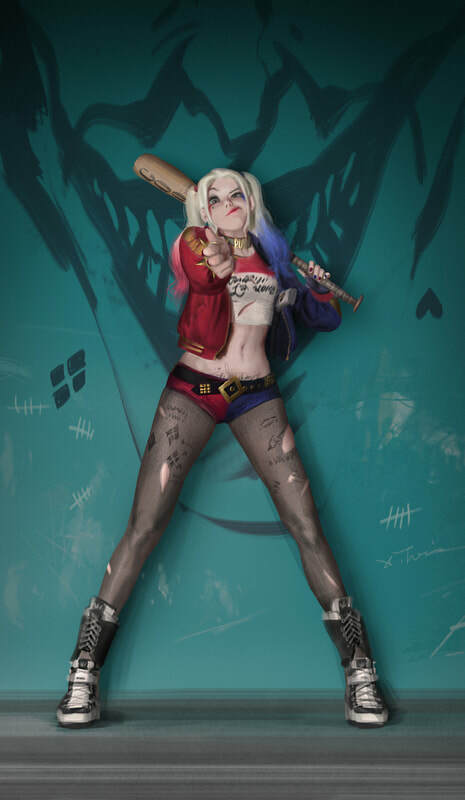 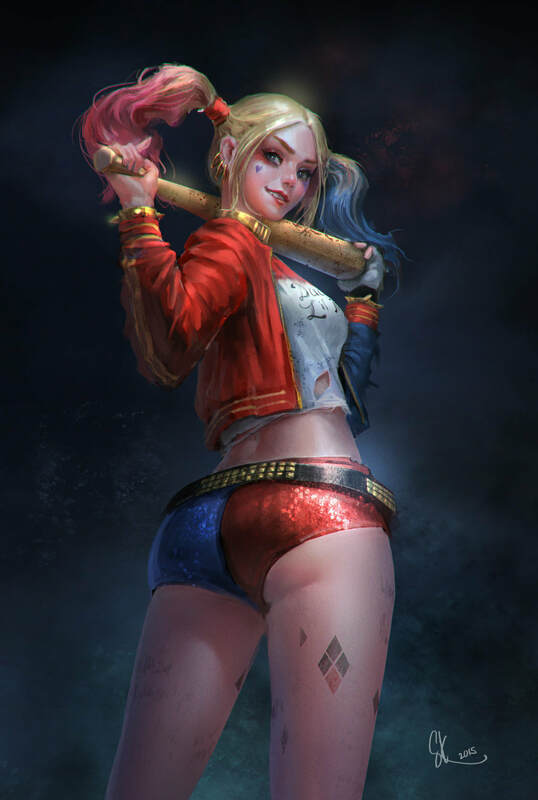 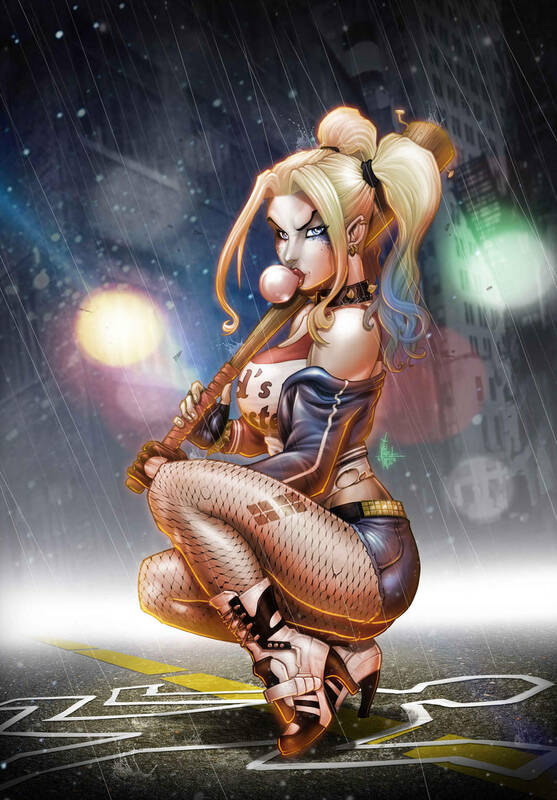 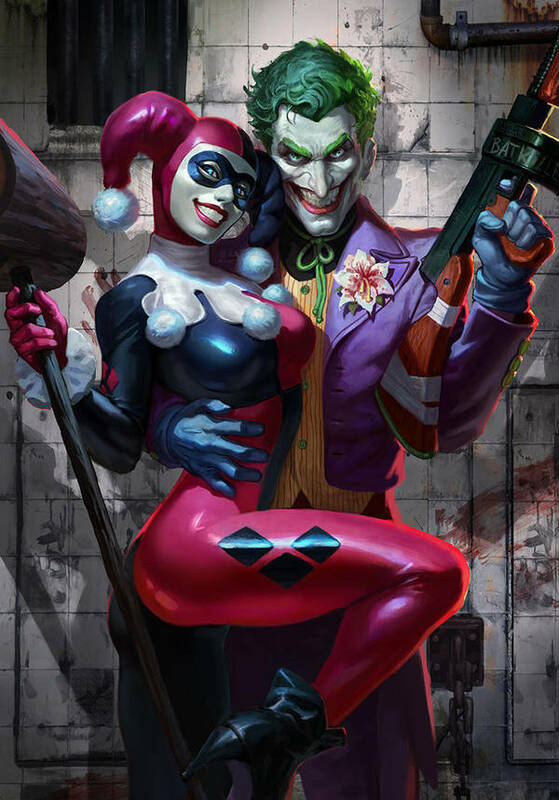 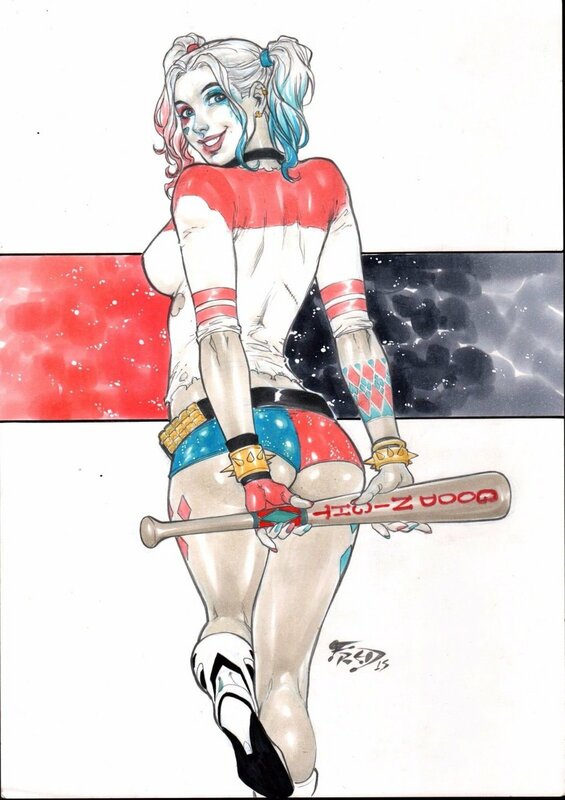 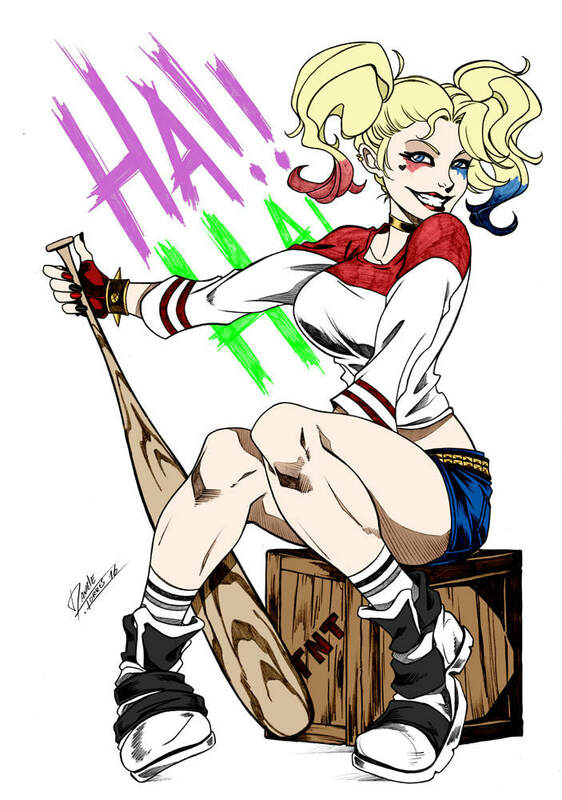 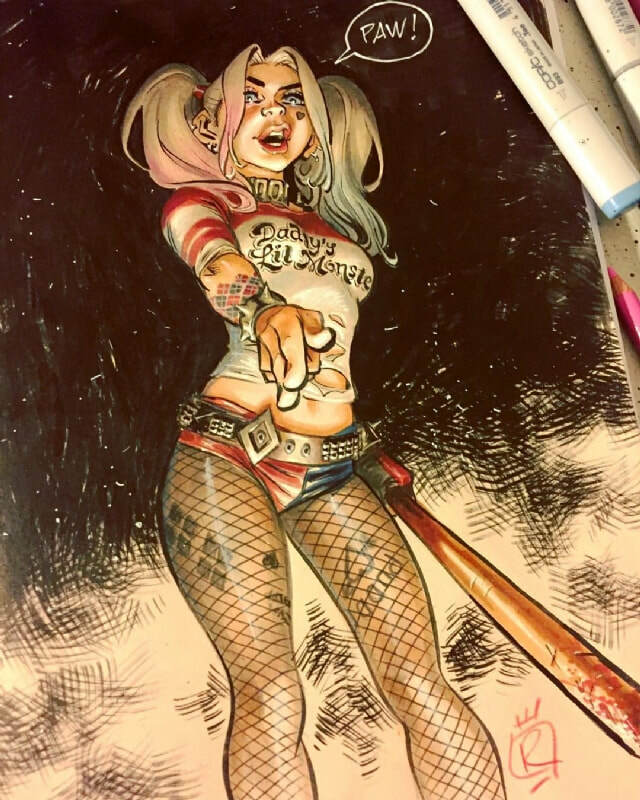 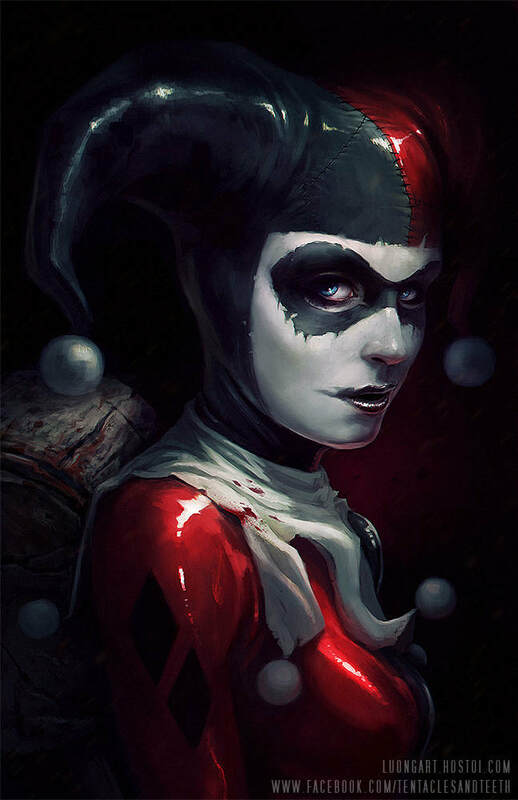 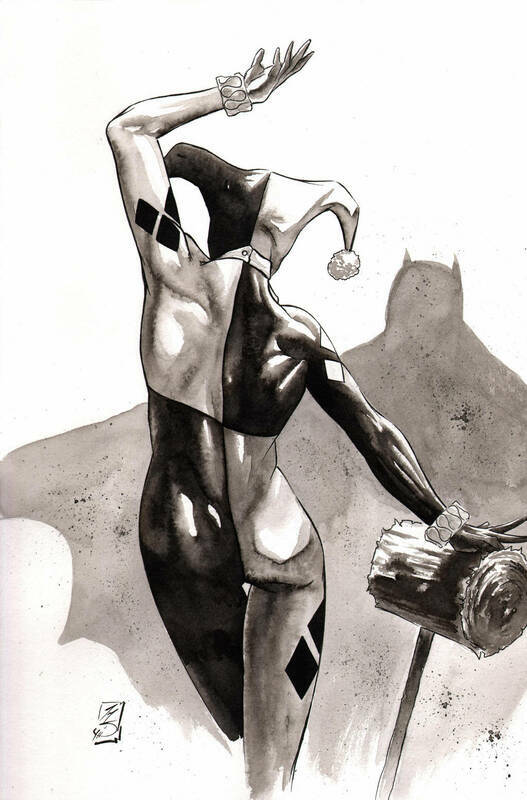 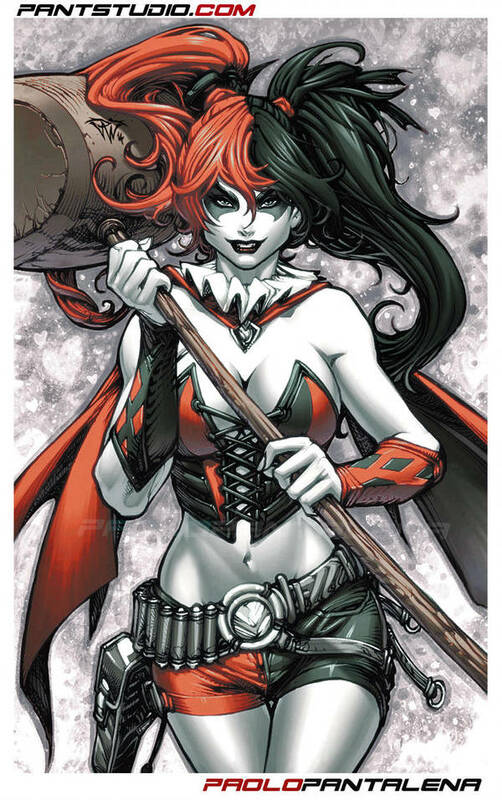 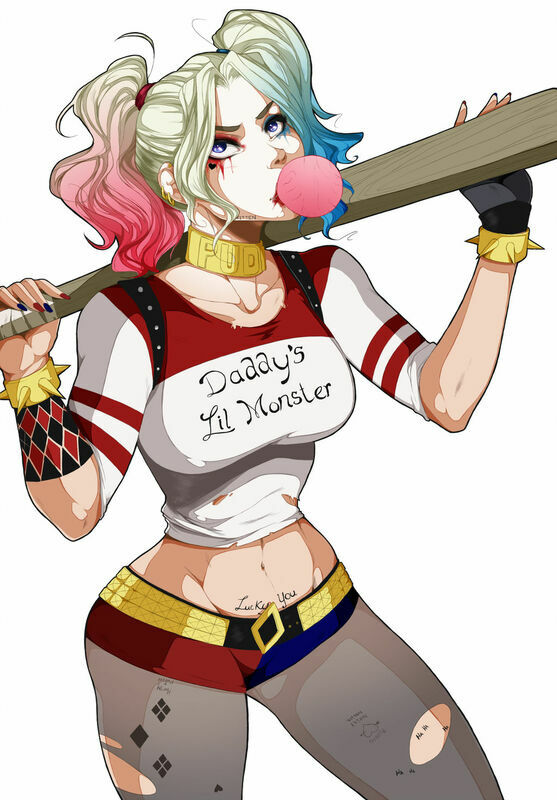 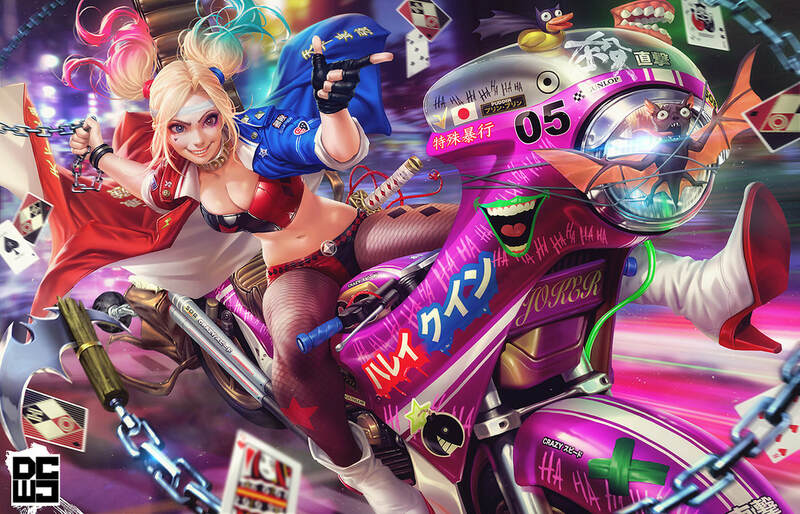 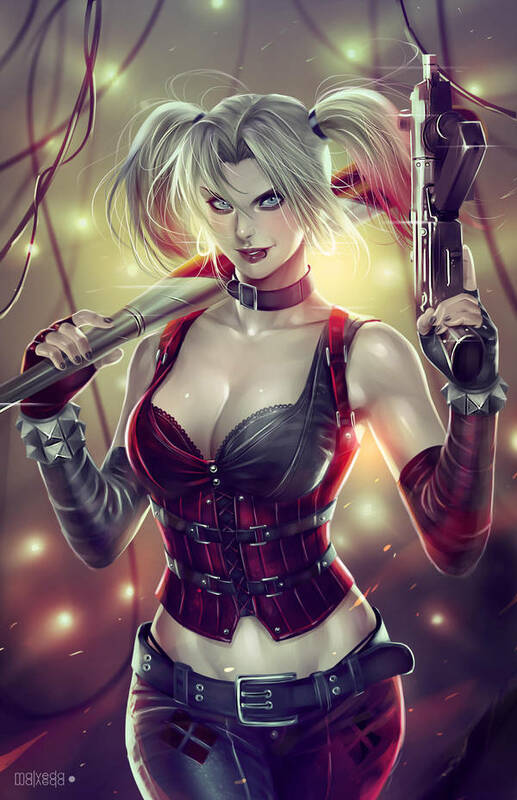 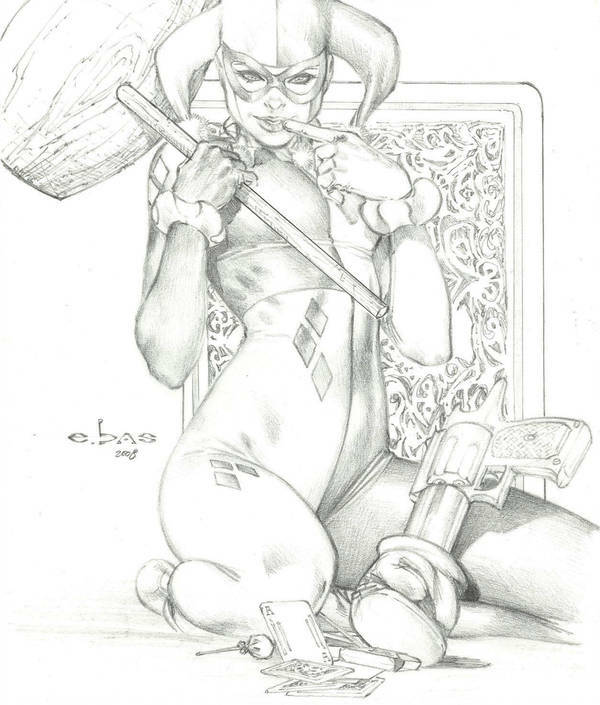 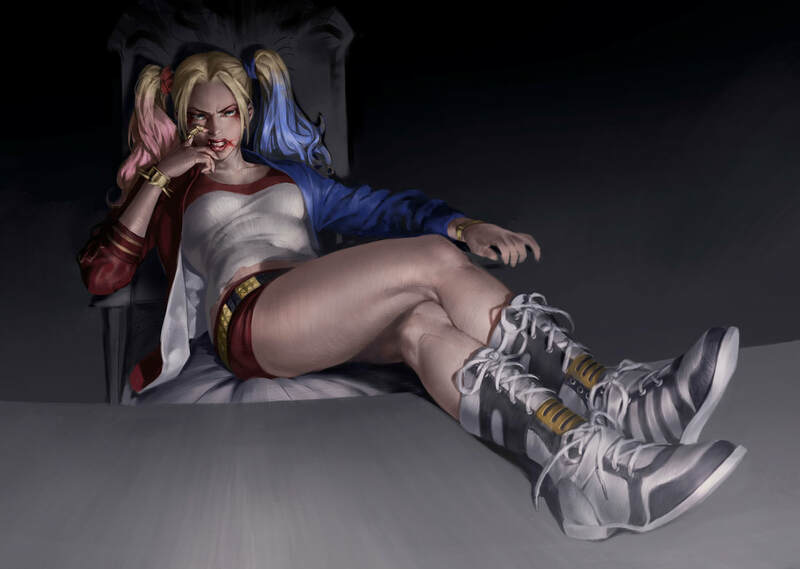 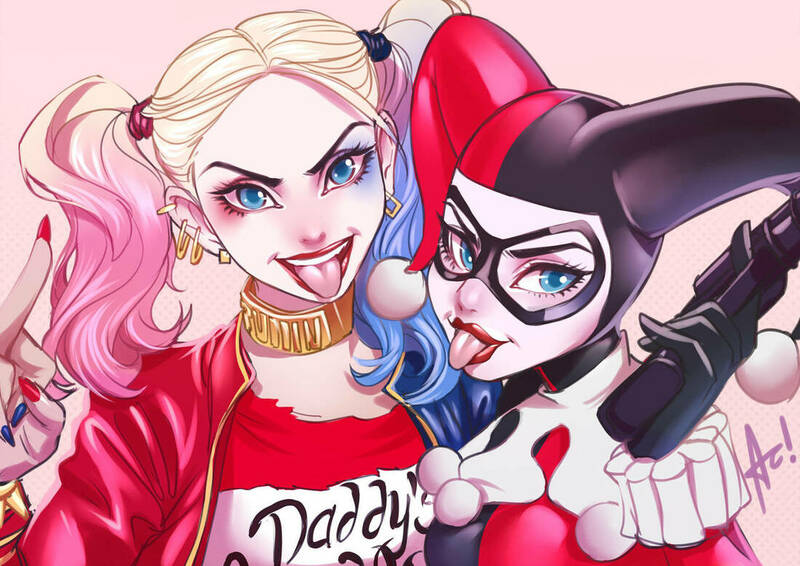 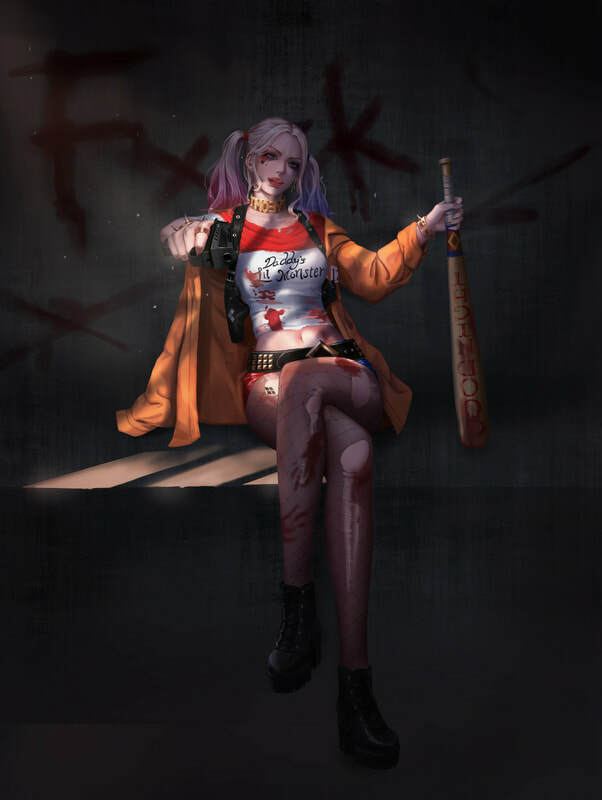 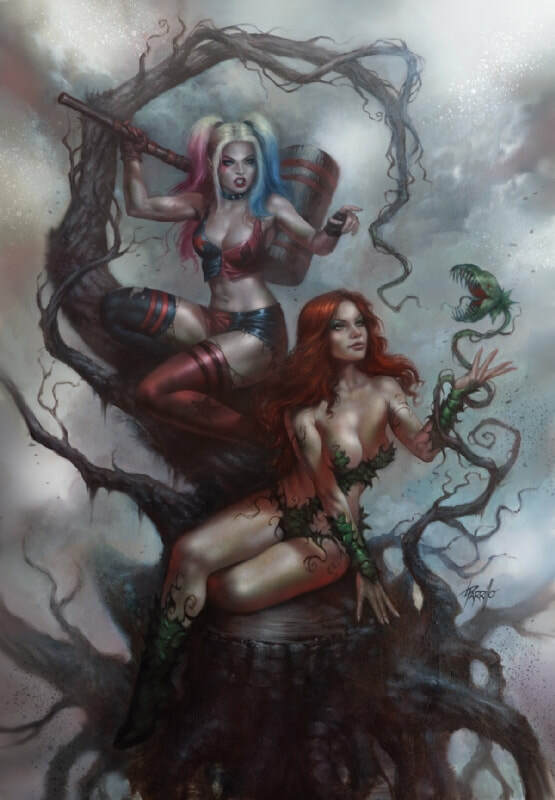 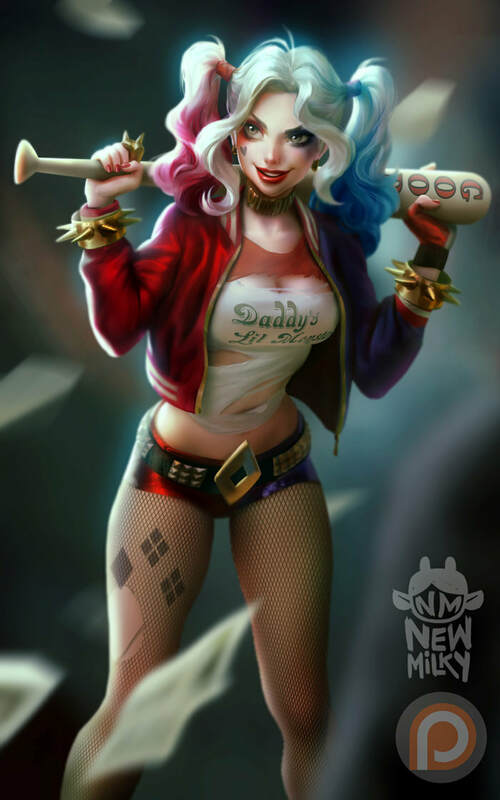 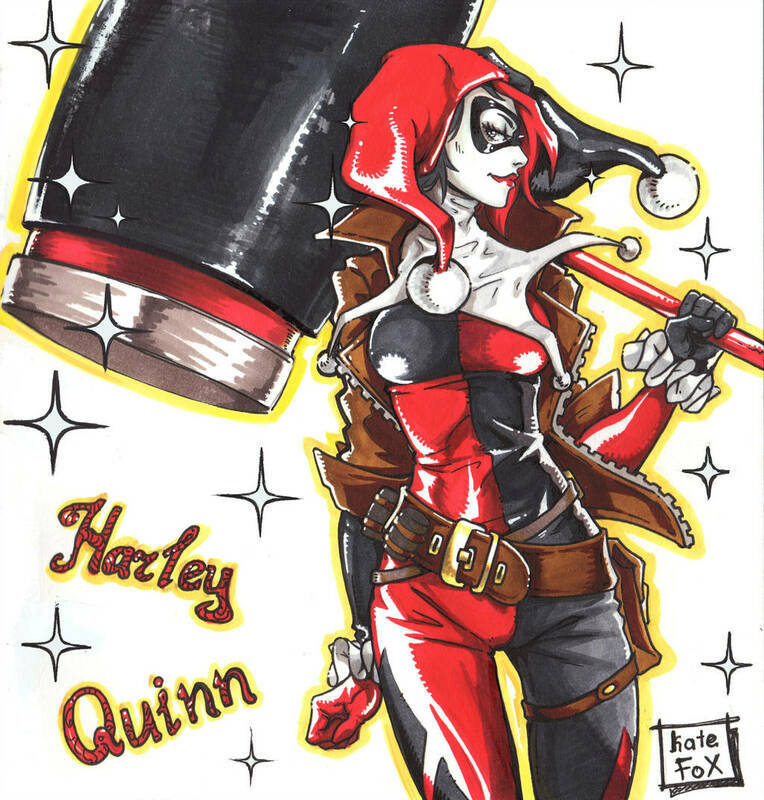 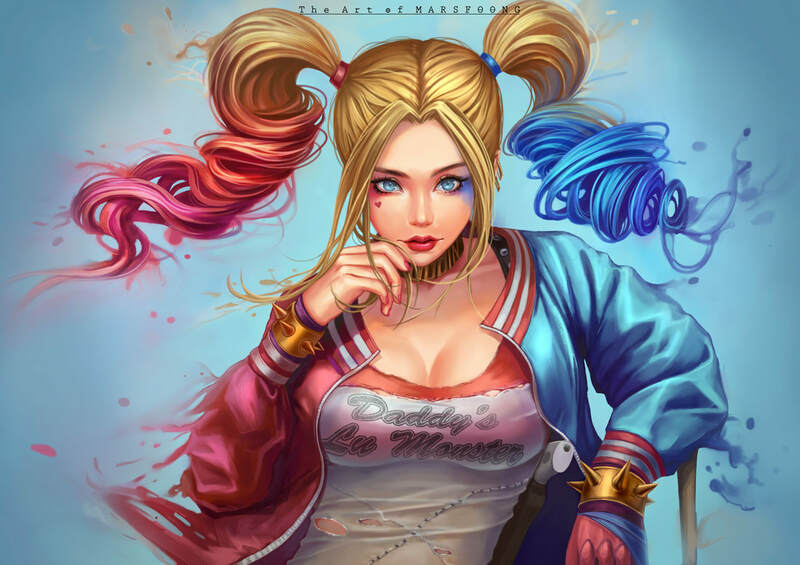 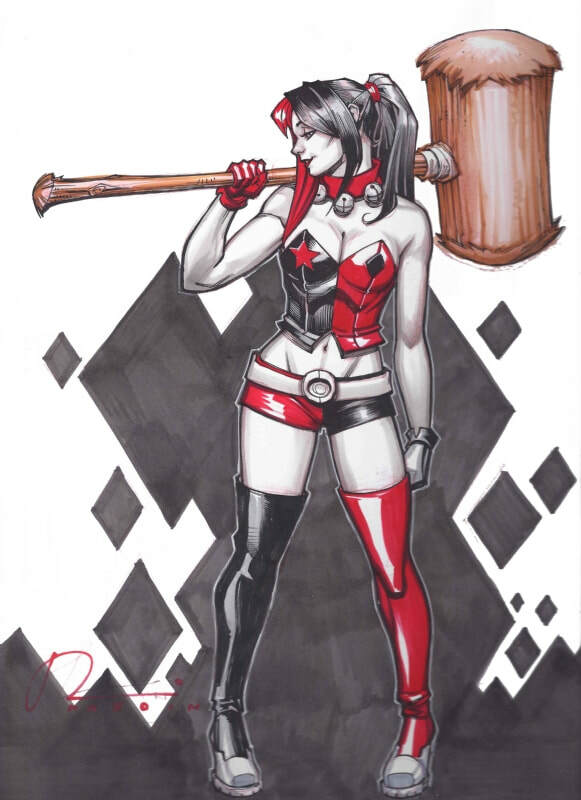 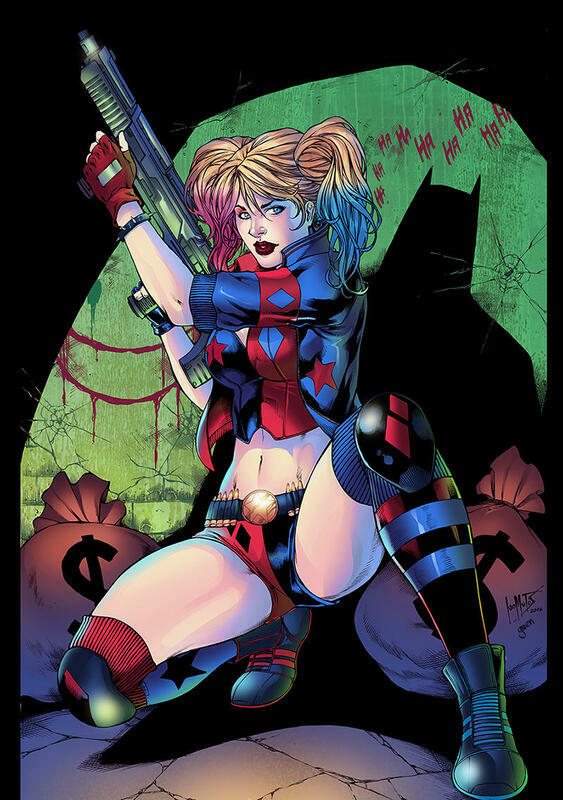 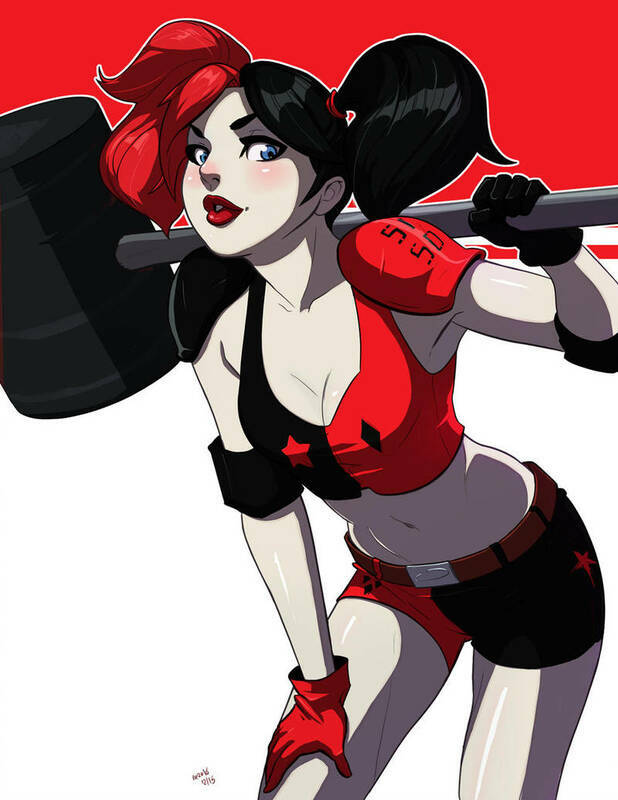 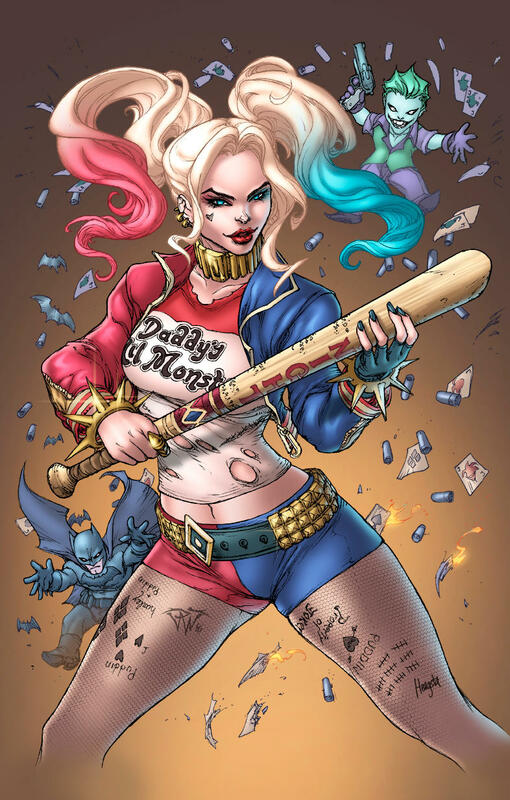 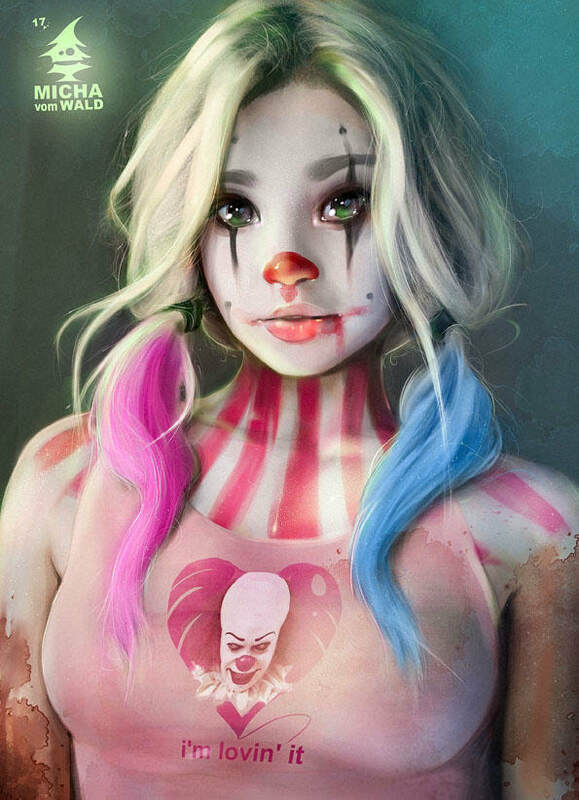 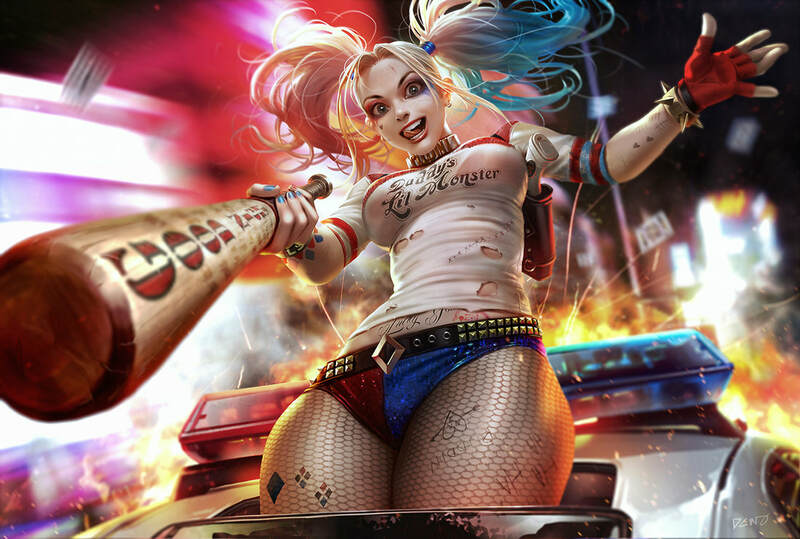 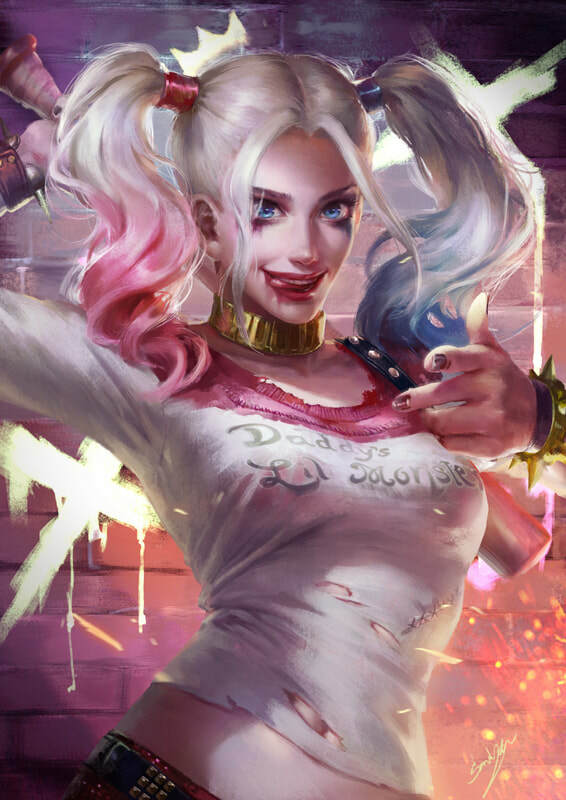 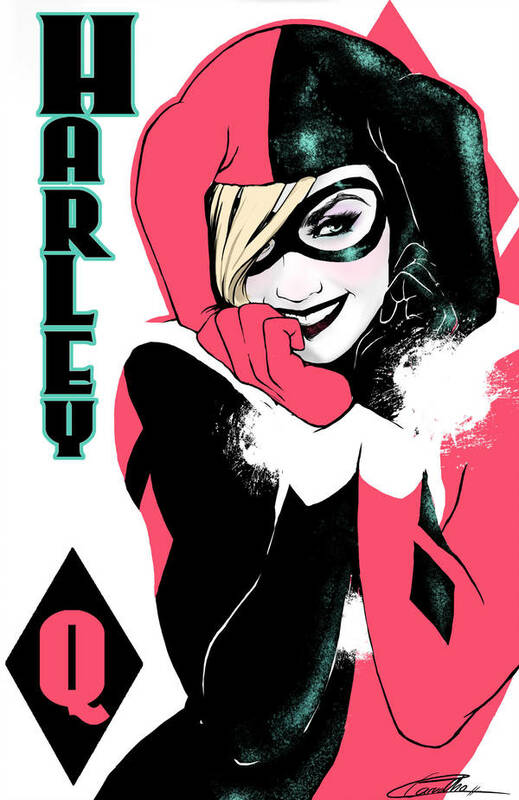 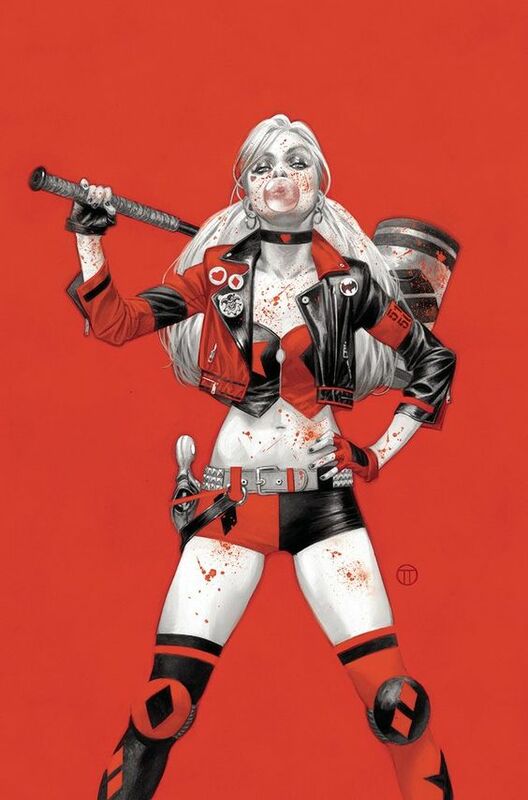 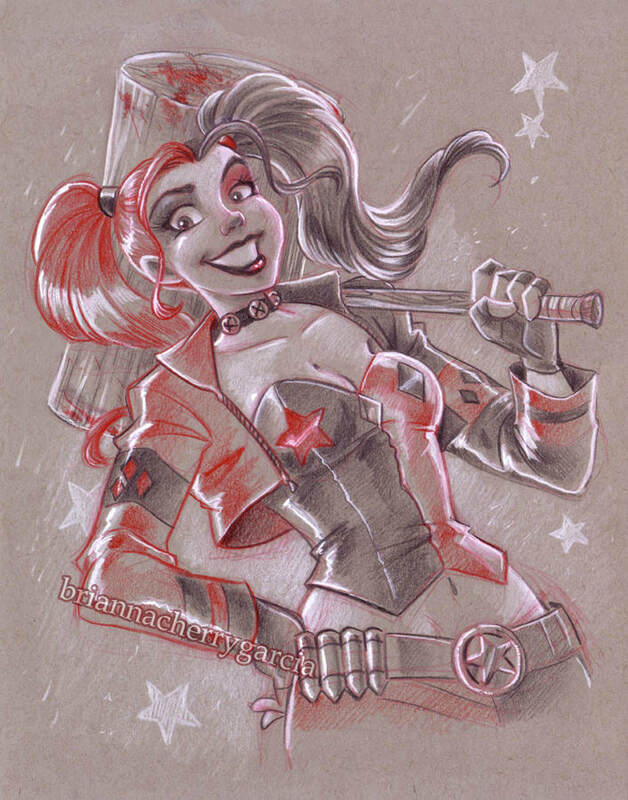 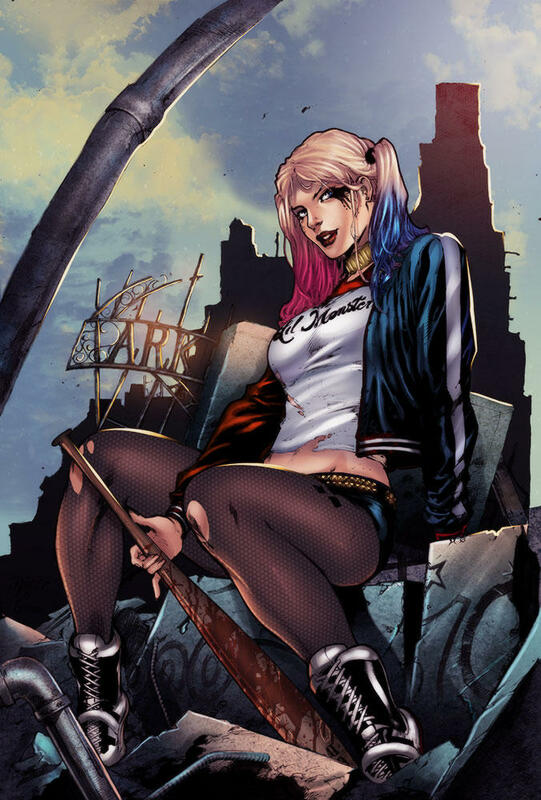 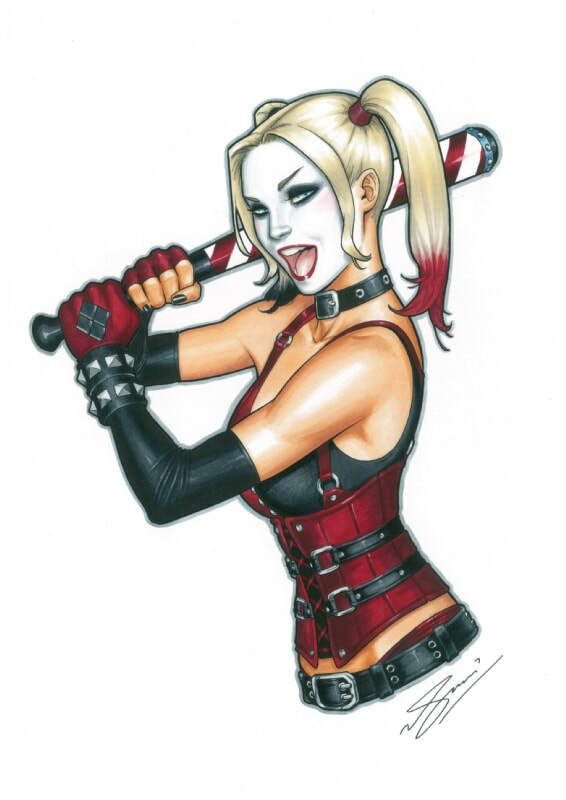 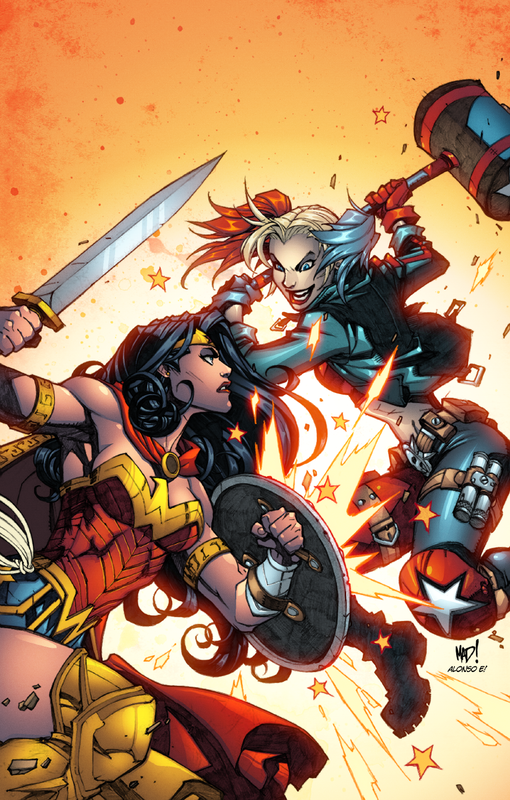 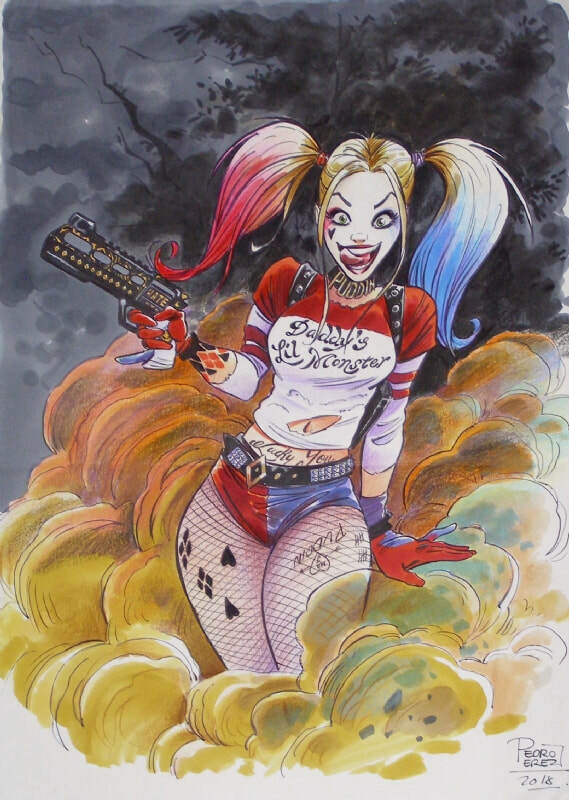 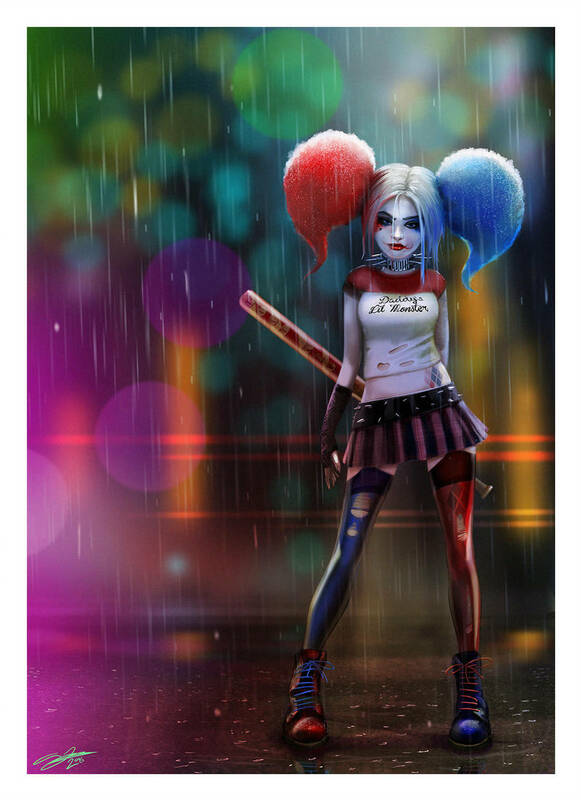 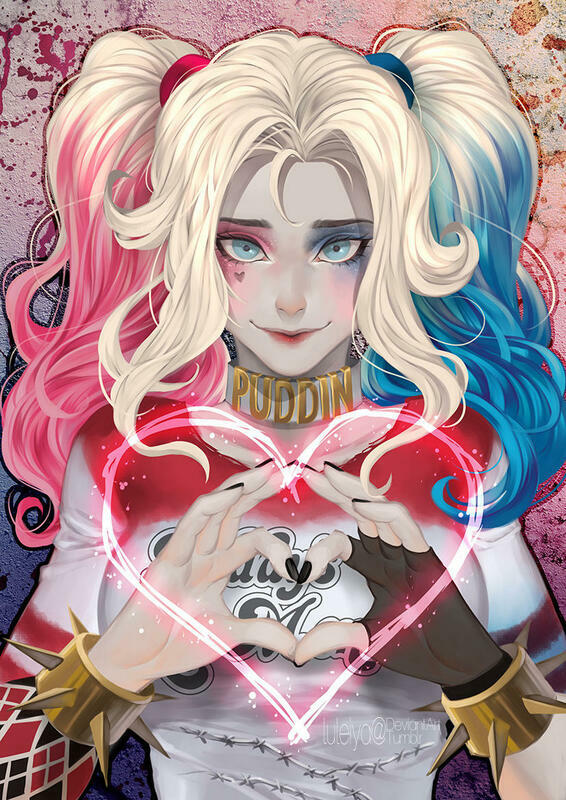 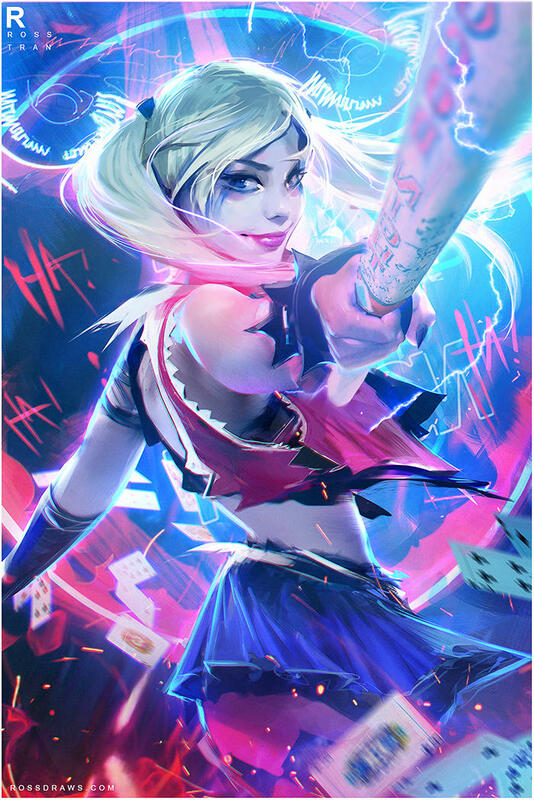 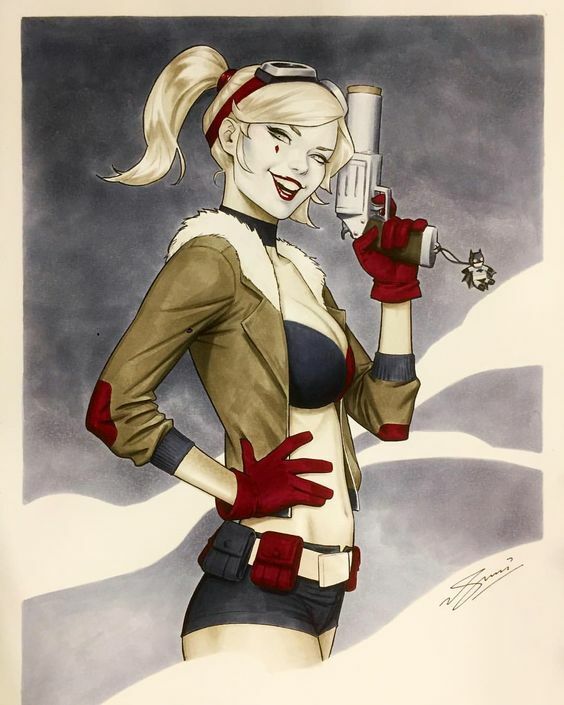 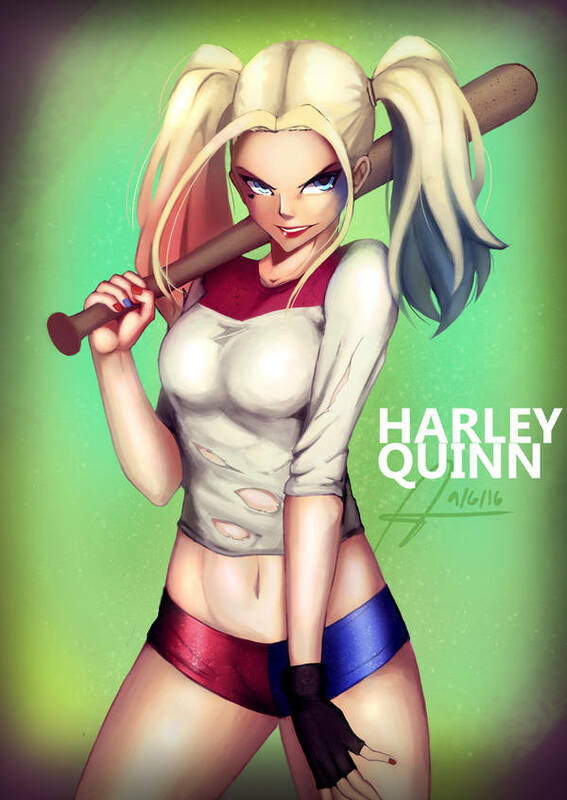 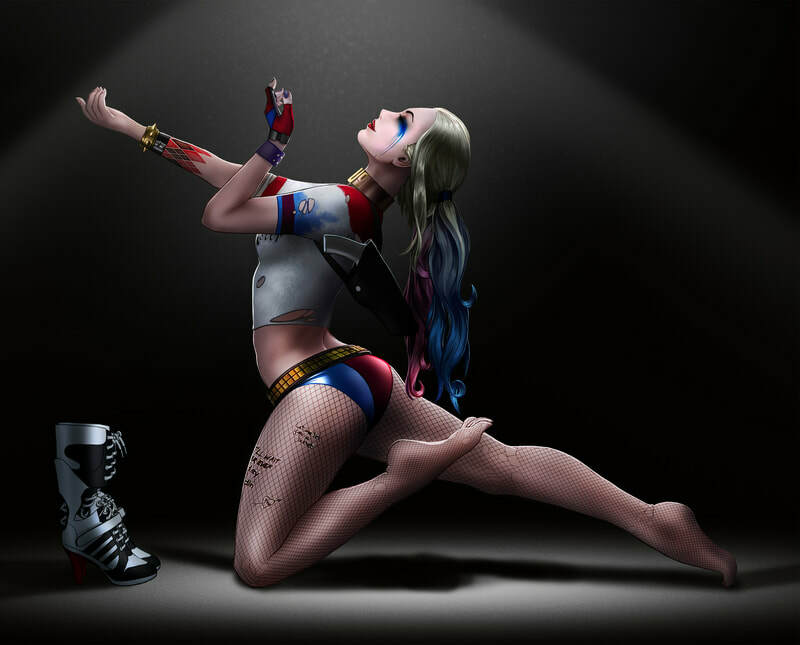 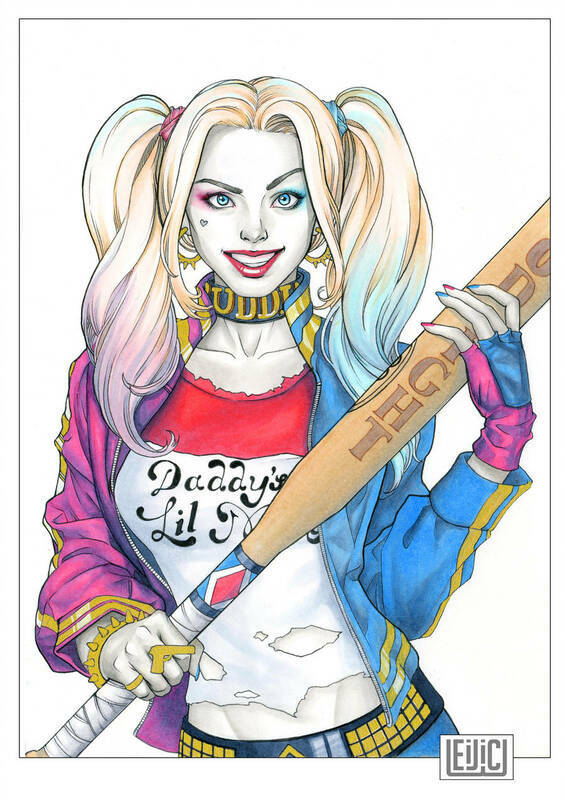 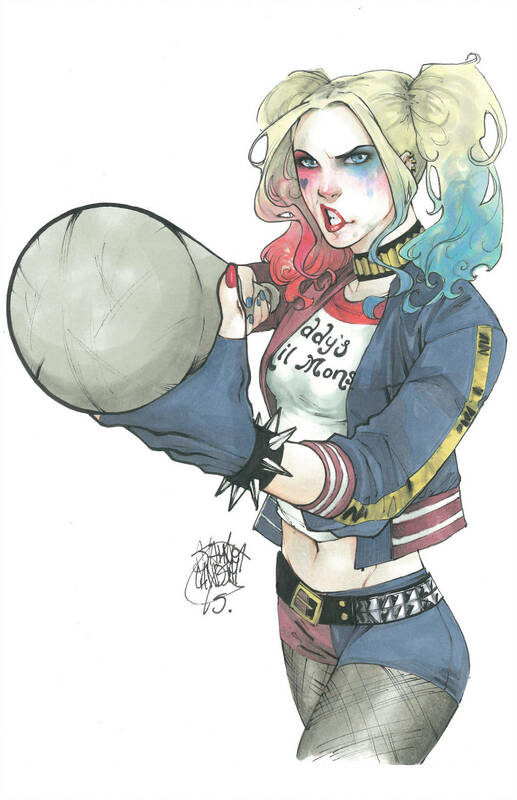 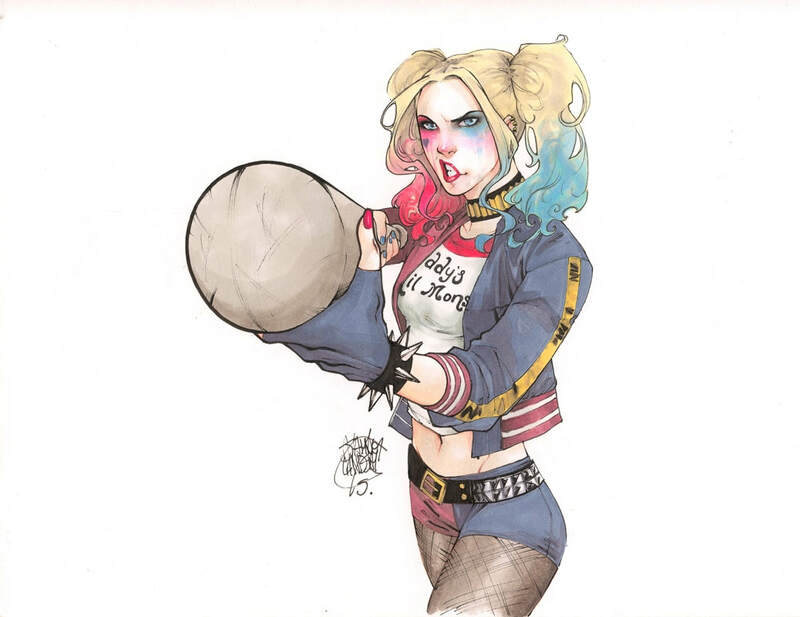 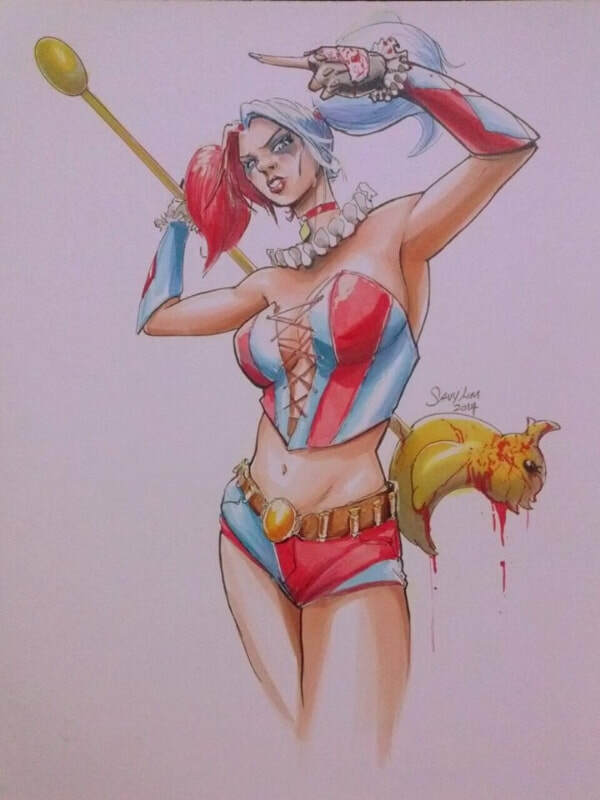 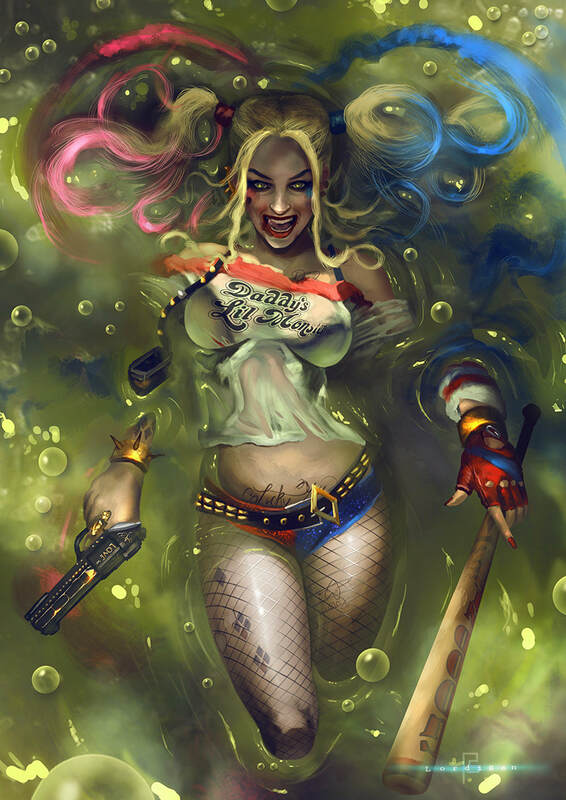 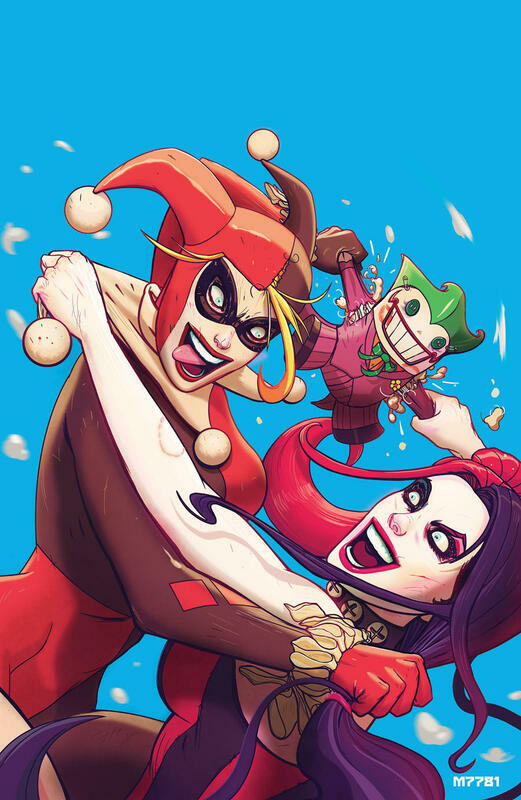 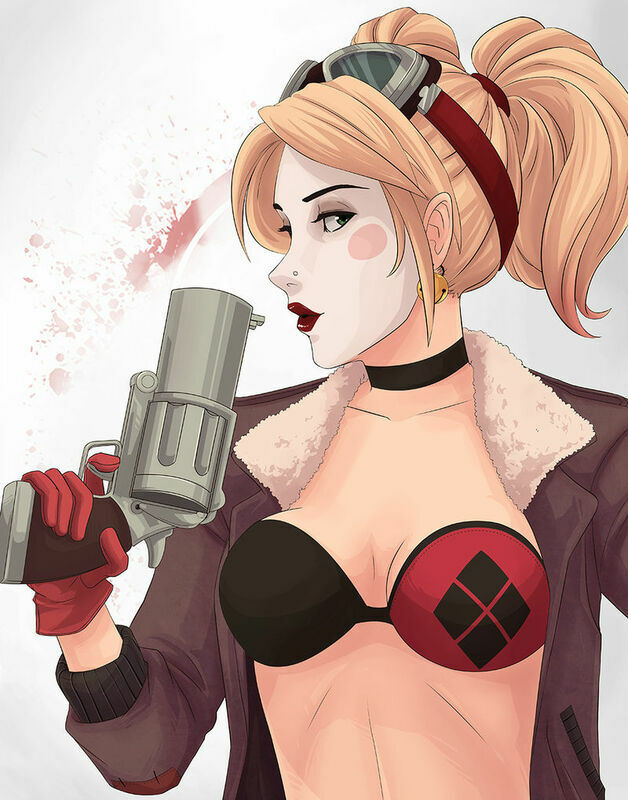 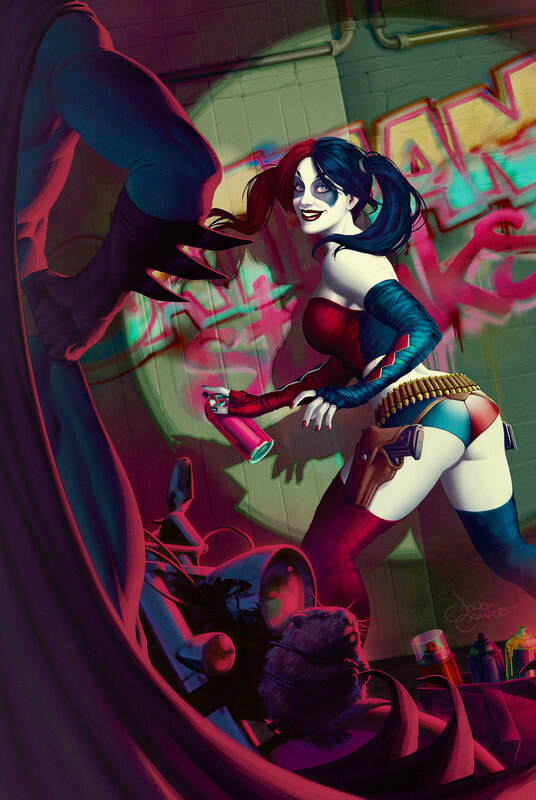 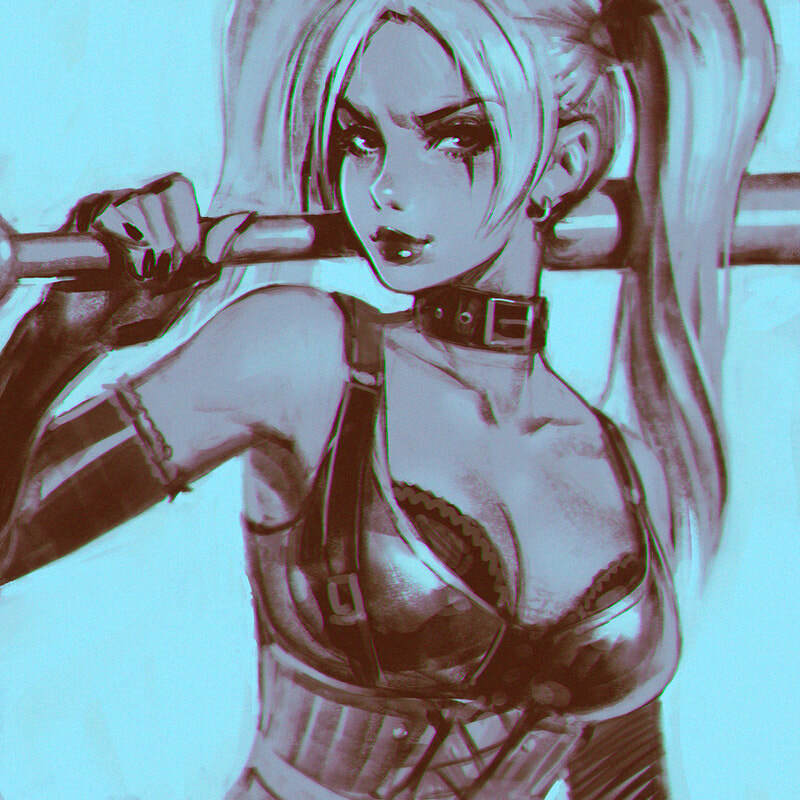 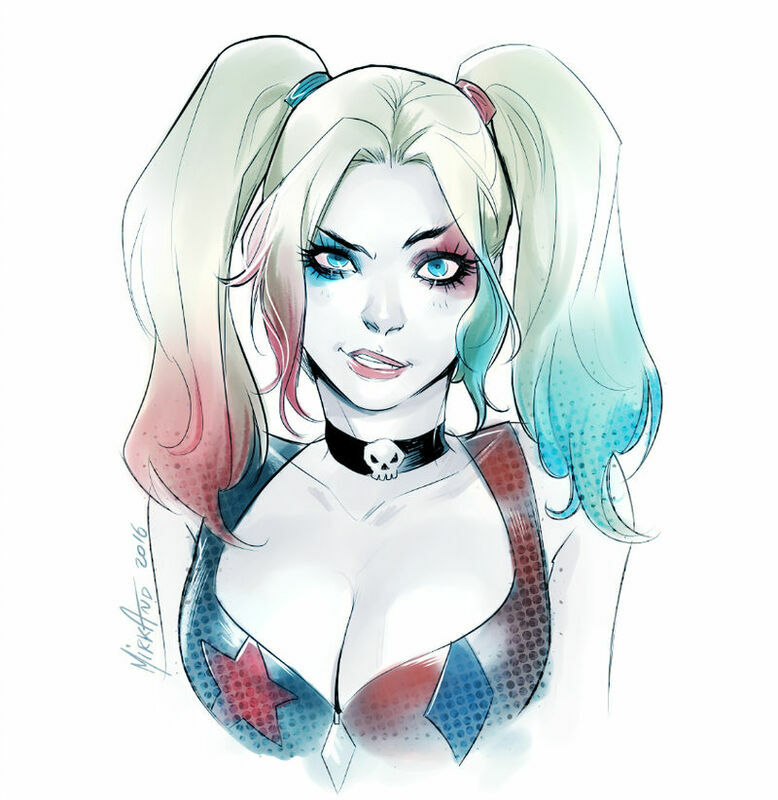 It is difficult for her not to look hot and because all artists are almost expected to have a Harley piece in their portfolio, this means that artists will get creative and produce some very interesting takes on DC's beloved character. 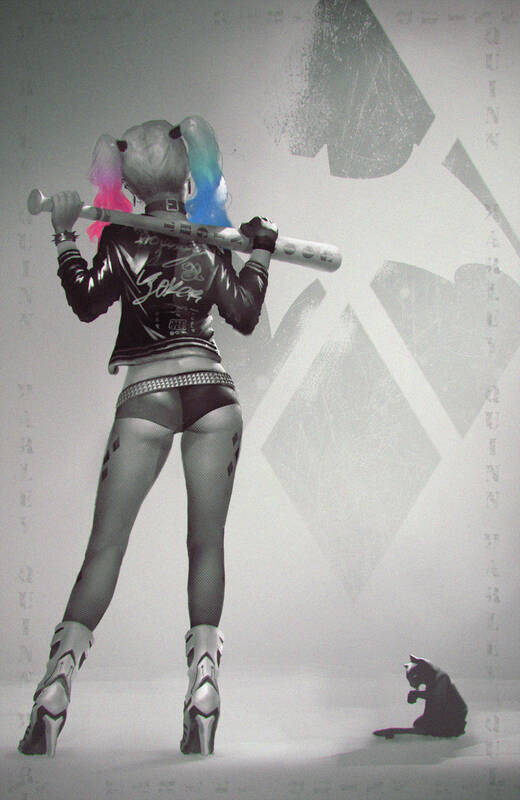 I have split the pieces into groupings. 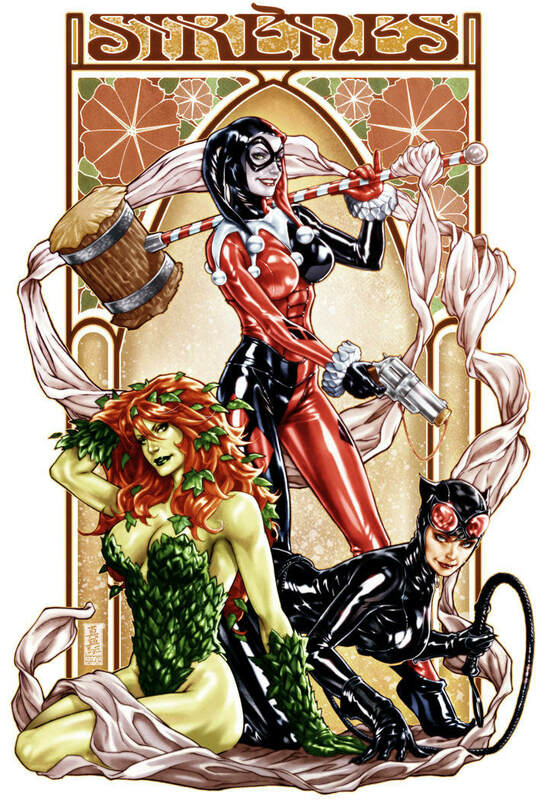 The first group is just my very top picks, full stop. 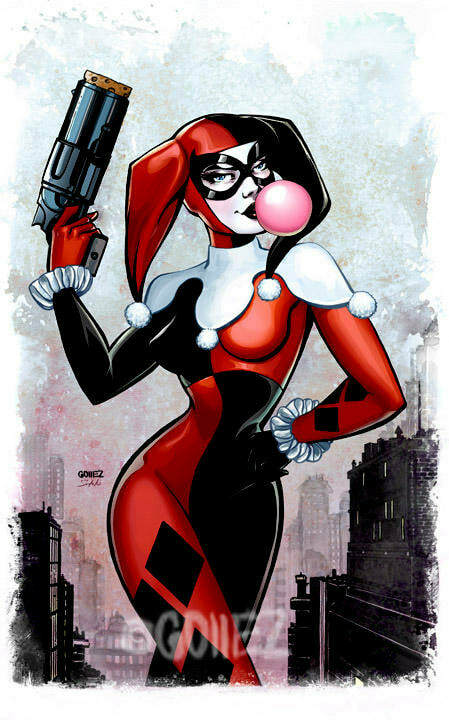 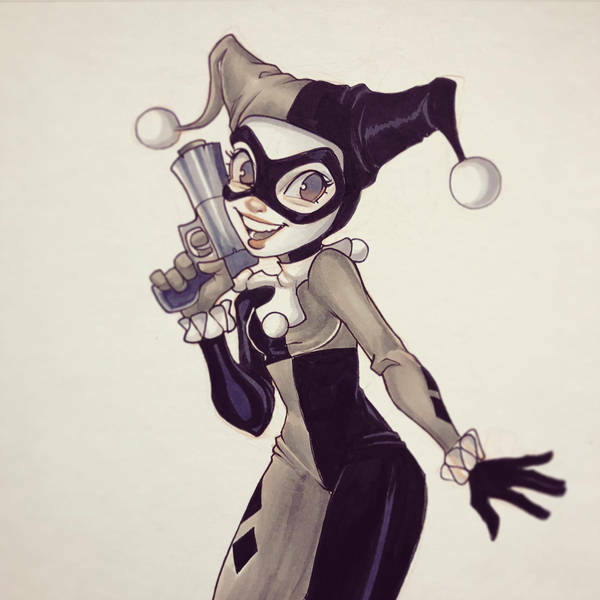 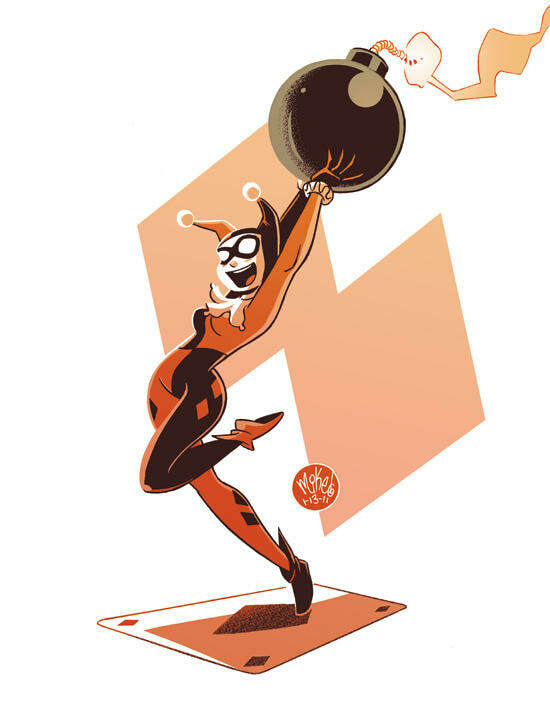 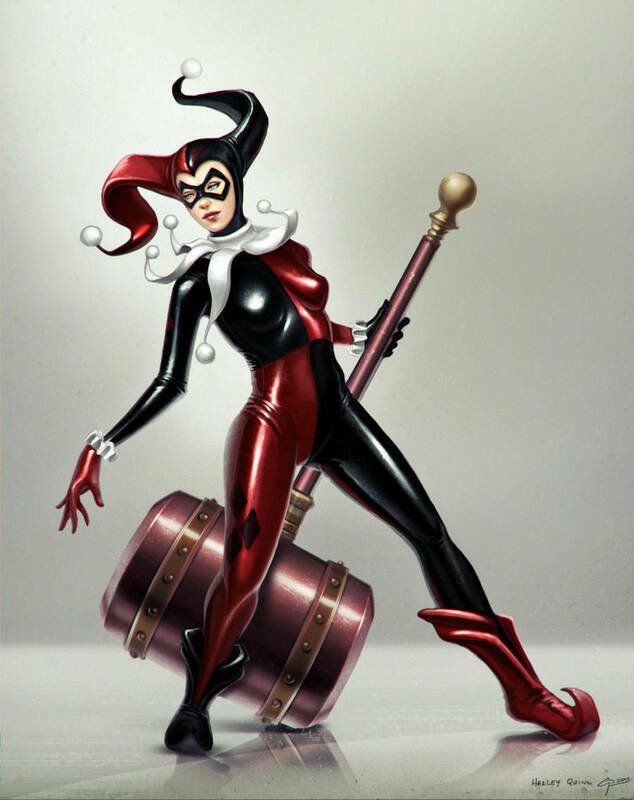 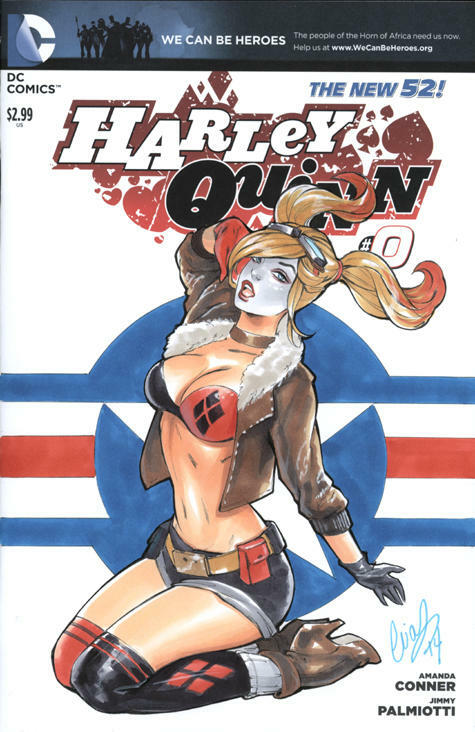 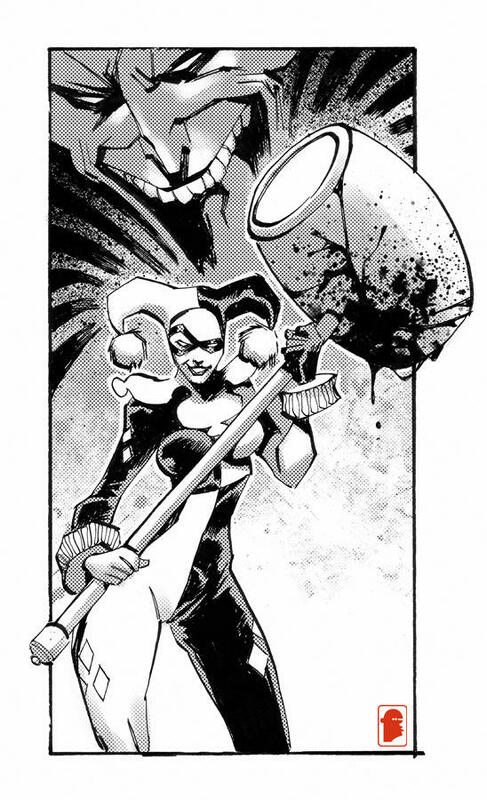 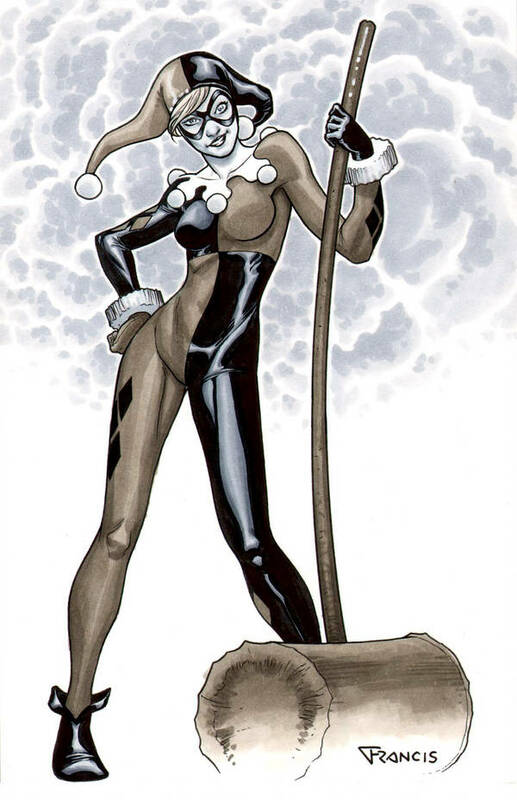 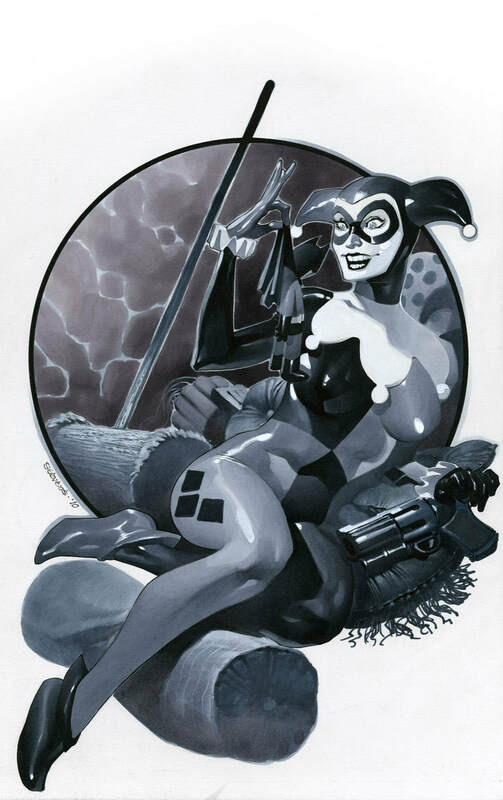 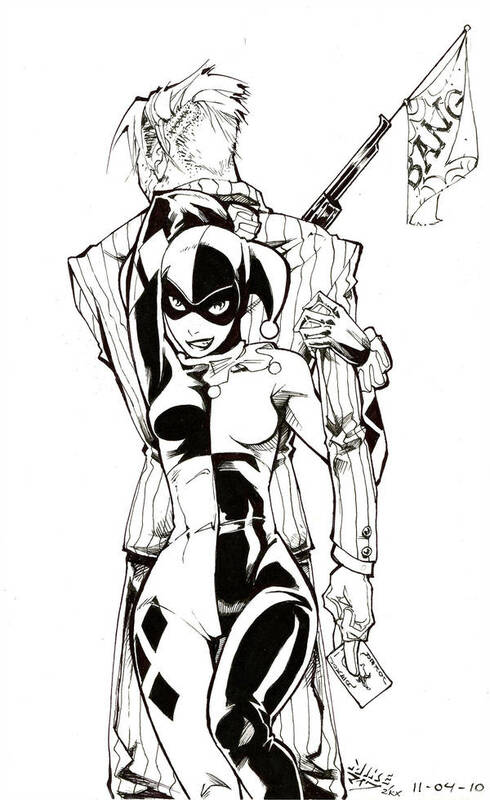 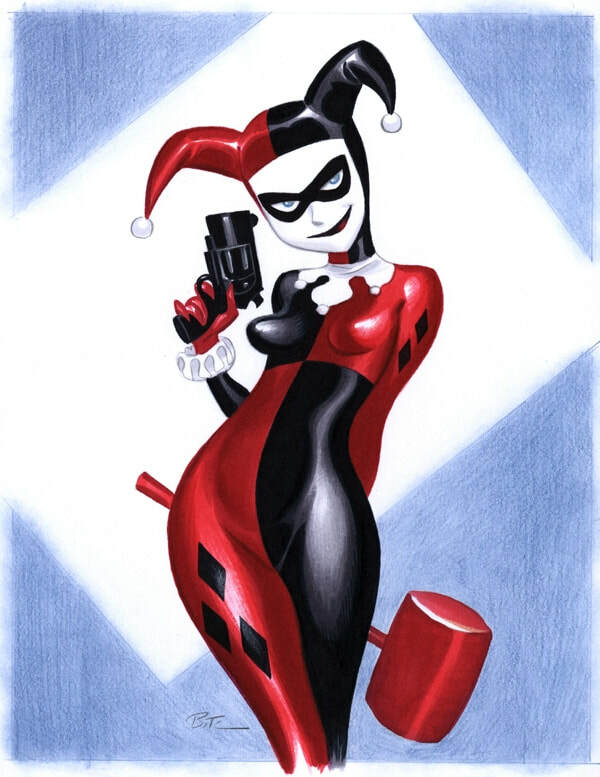 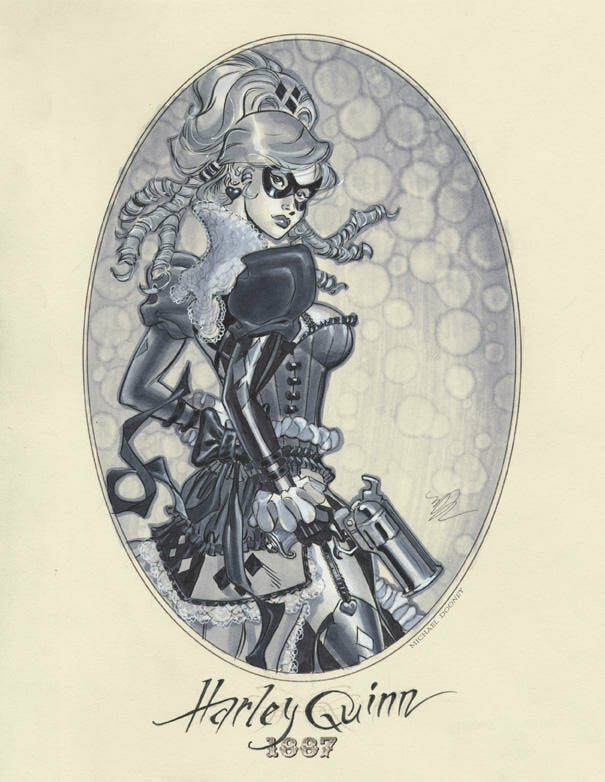 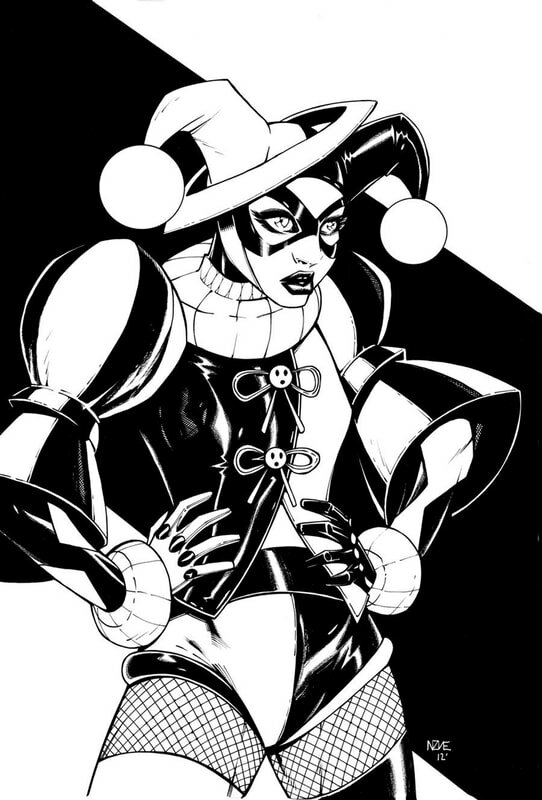 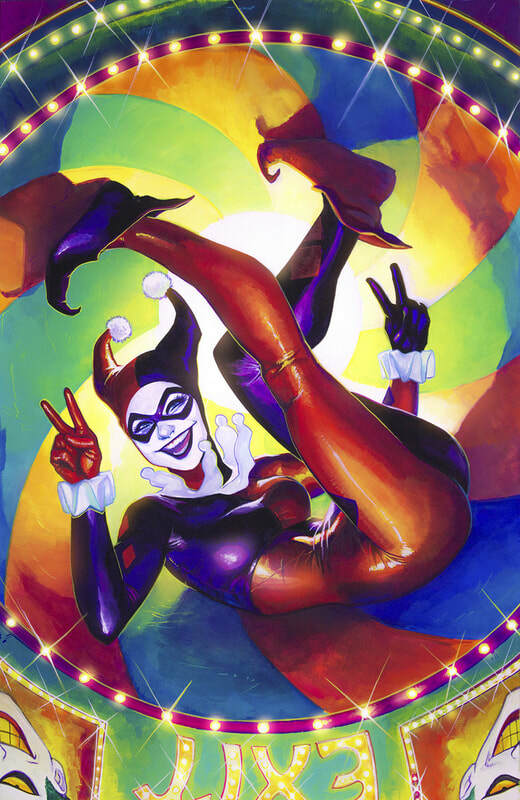 Then there is classic Harlequin Harley​​​ Quinn as first drawn by the great Bruce Timm. 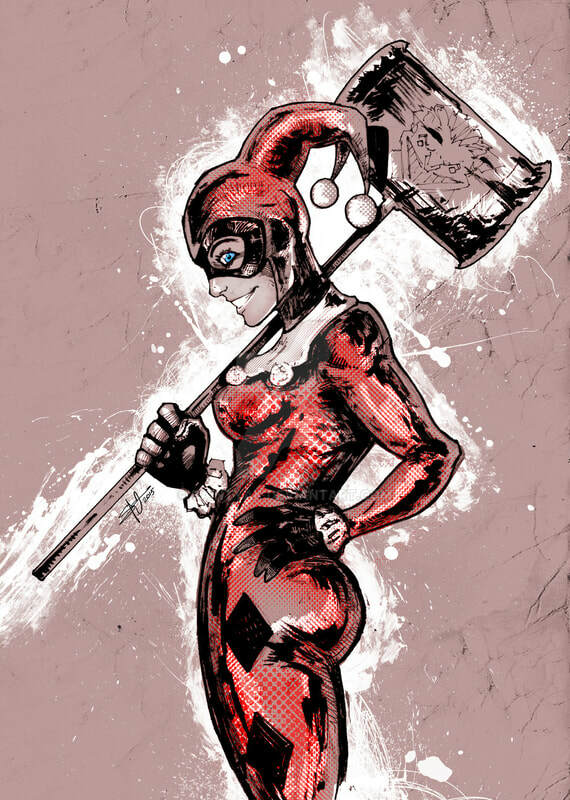 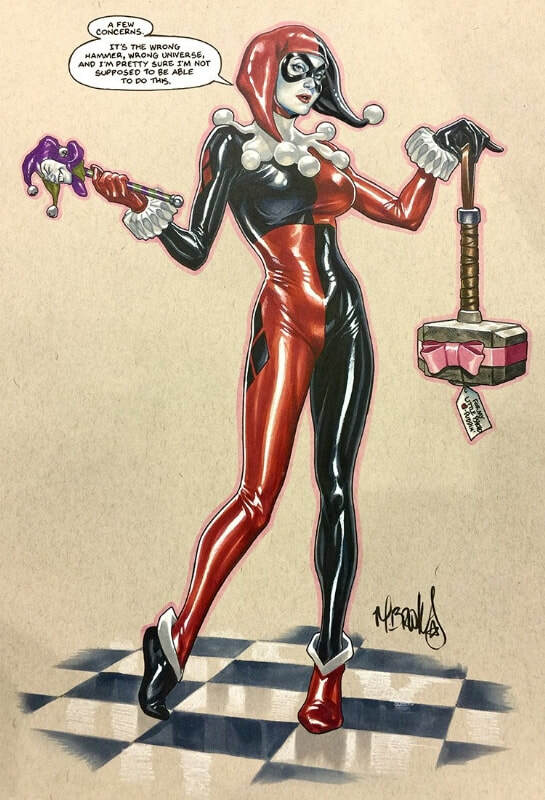 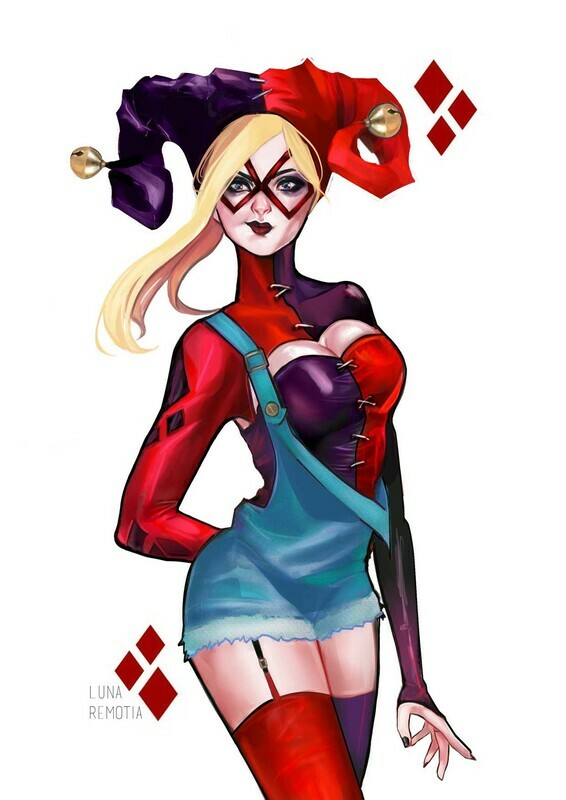 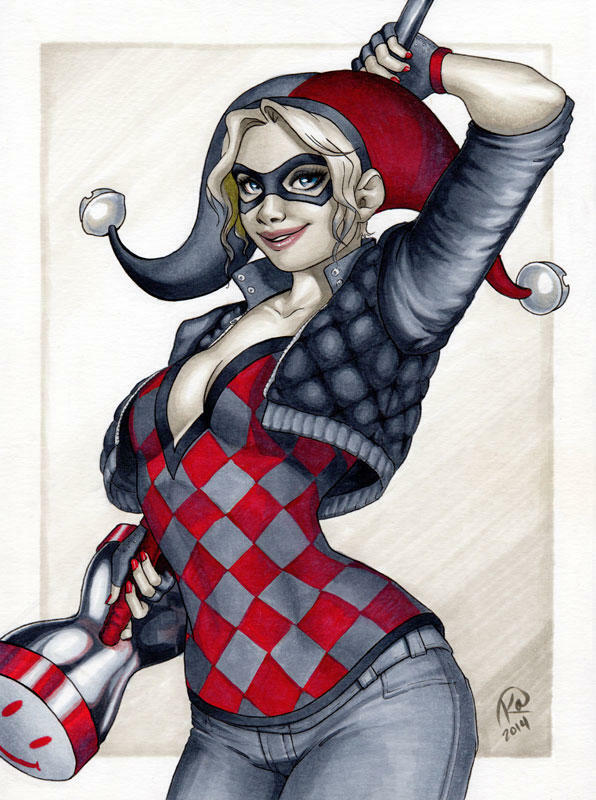 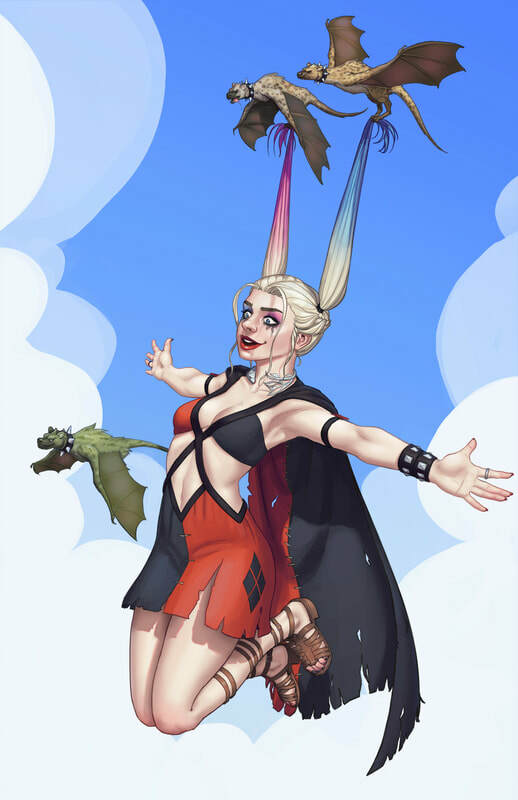 If the piece has the jester hat and neck tassels then it is in this category even if the artist took liberties with other details. 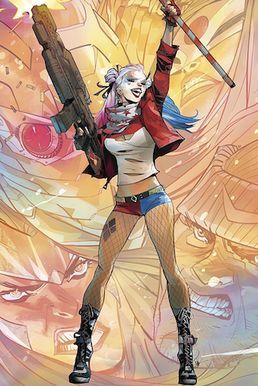 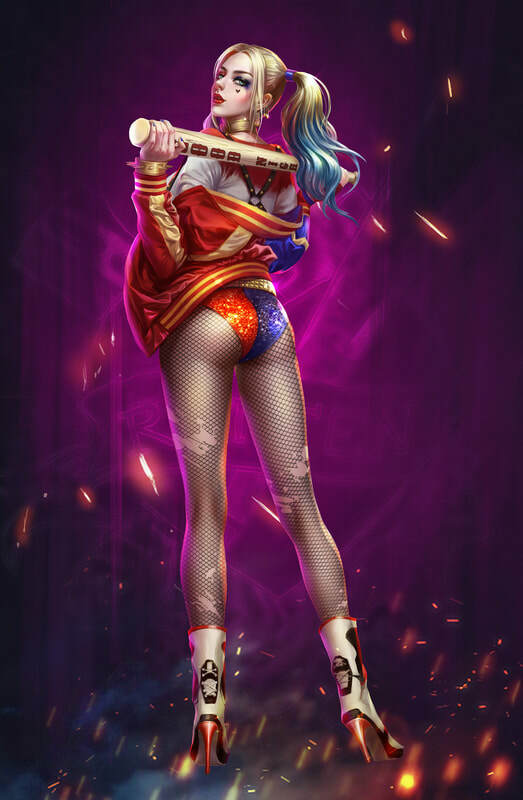 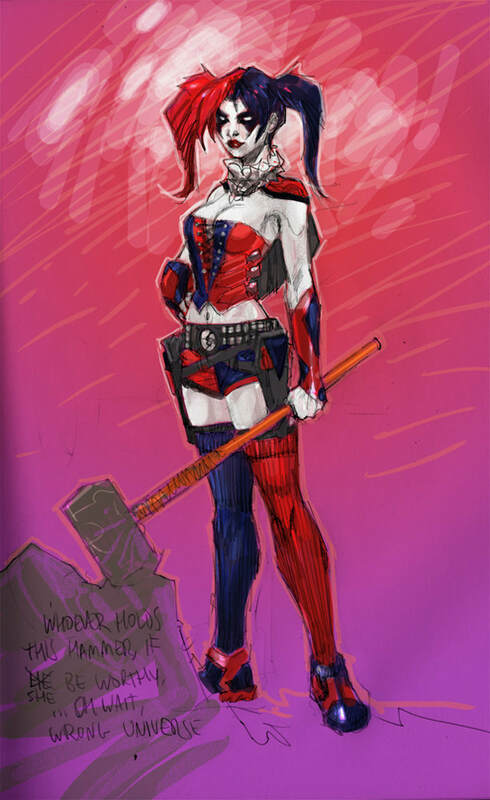 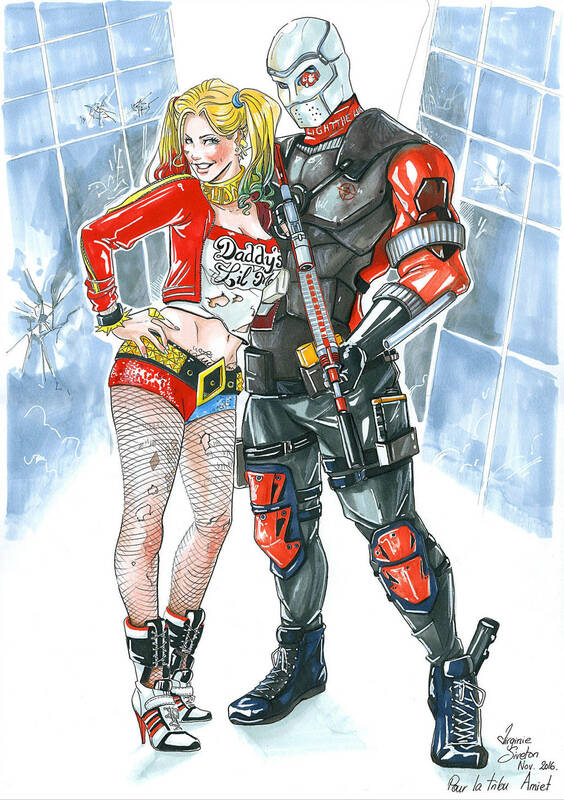 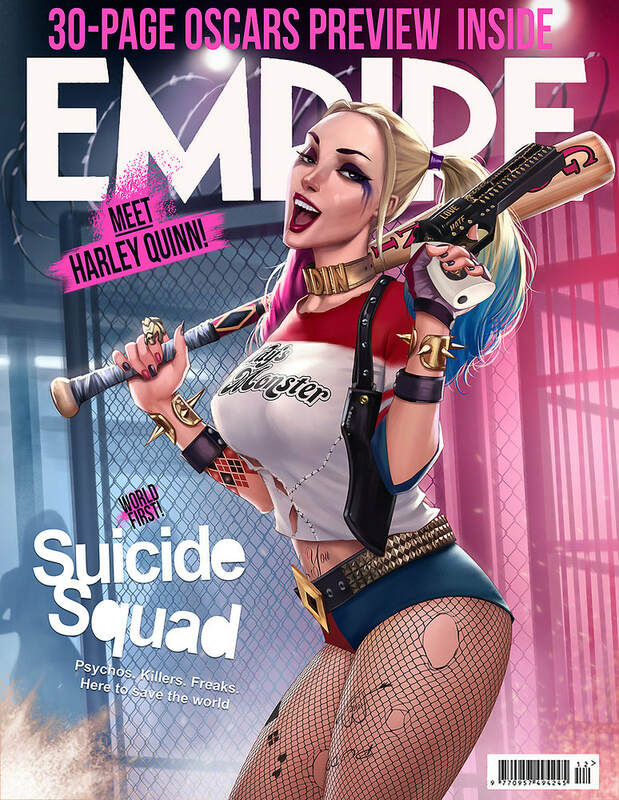 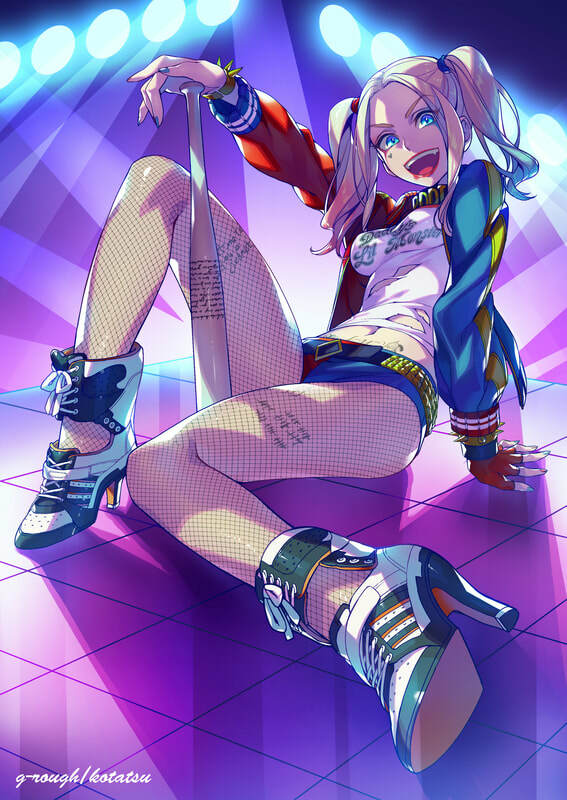 Then there is the familiar Suicide Squad Harley Quinn, recognizable through the Daddy shirt, dual-colored shorts, and heeled Adidas boots. 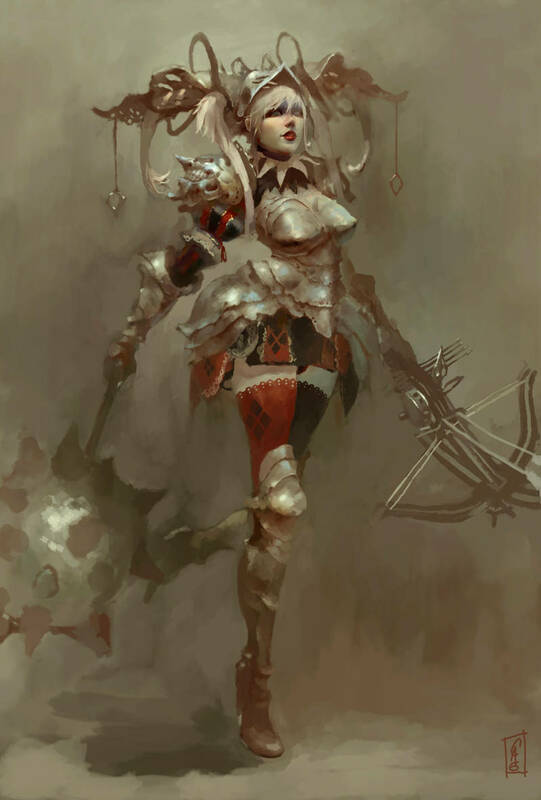 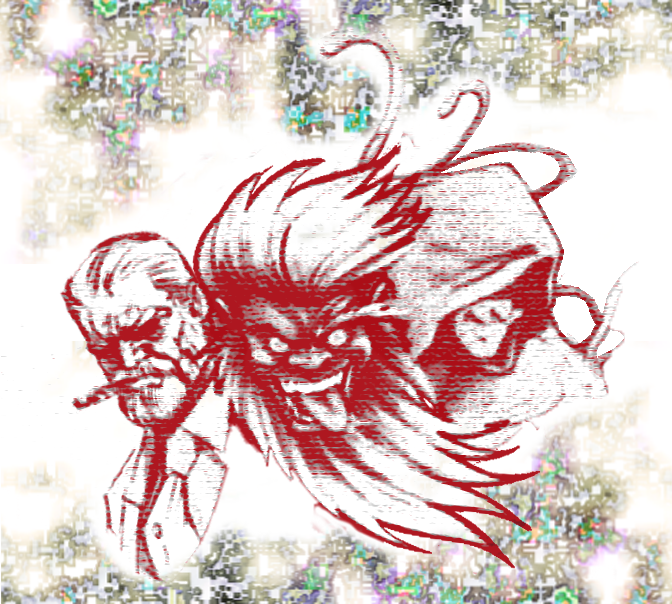 If any of those elements are present in the piece then it fits in this category. 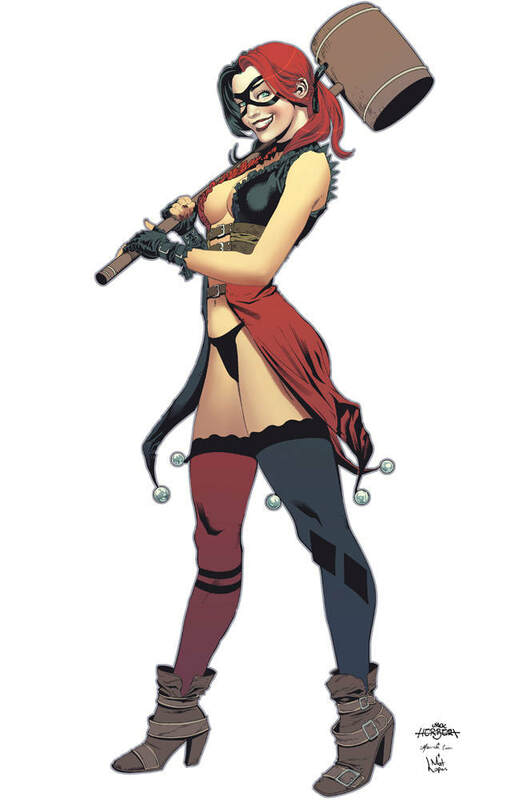 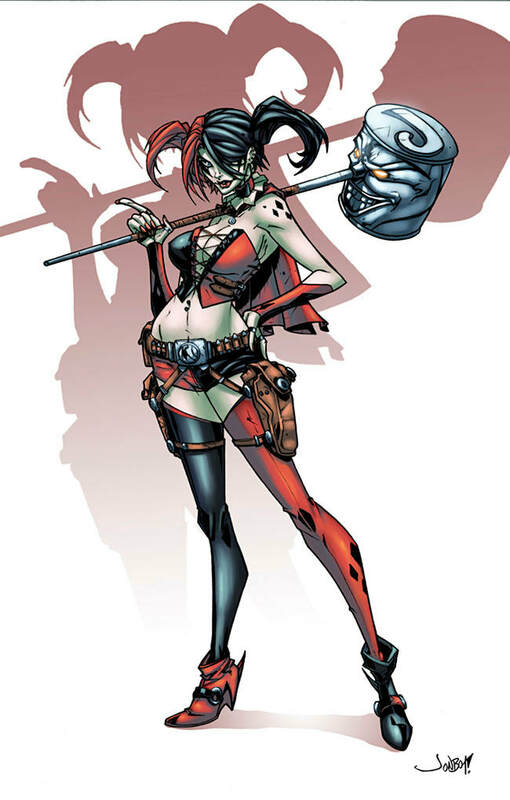 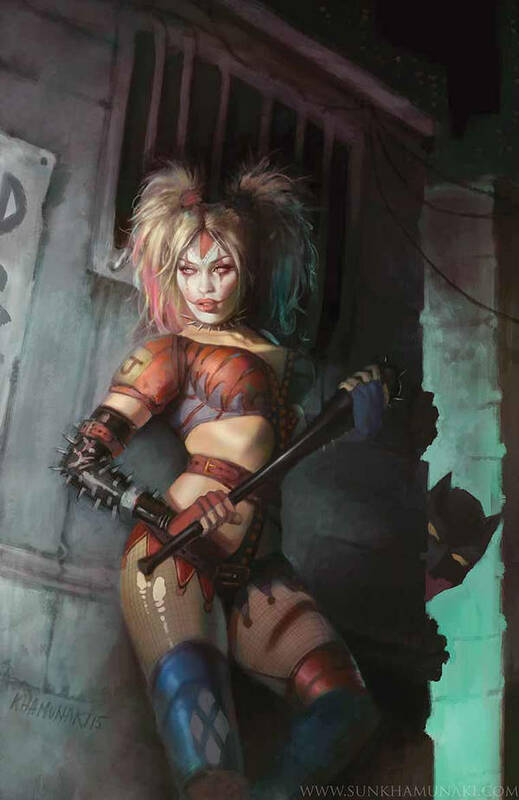 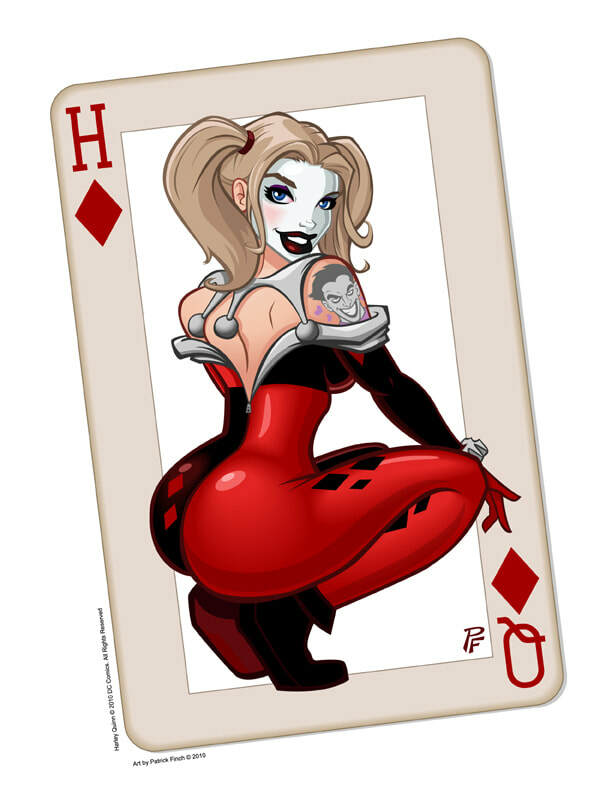 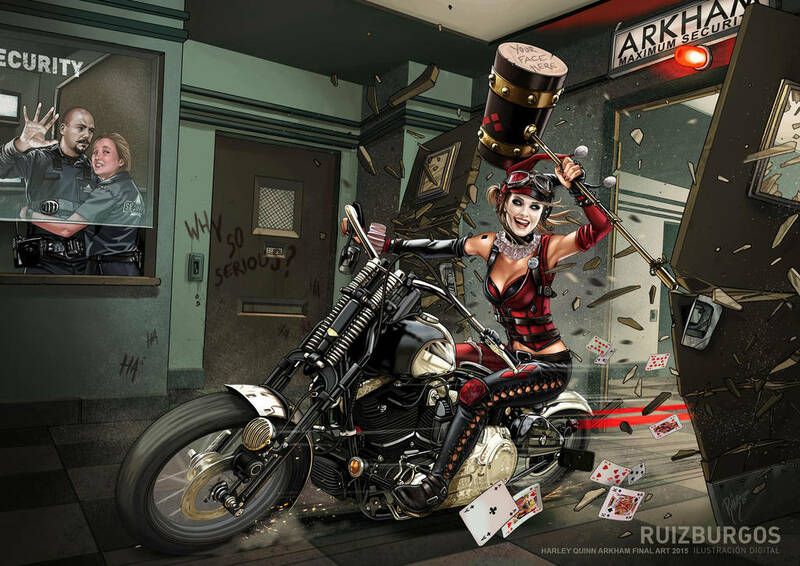 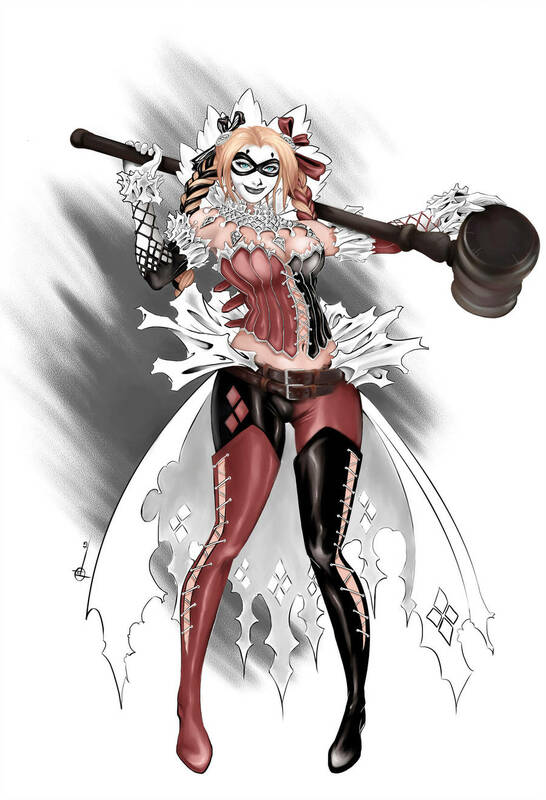 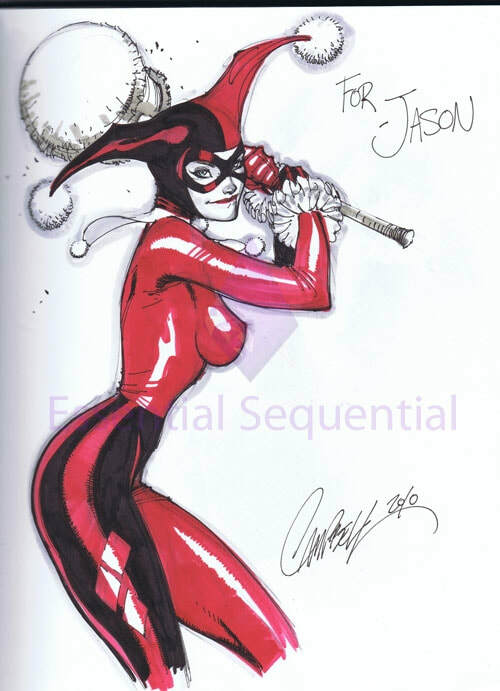 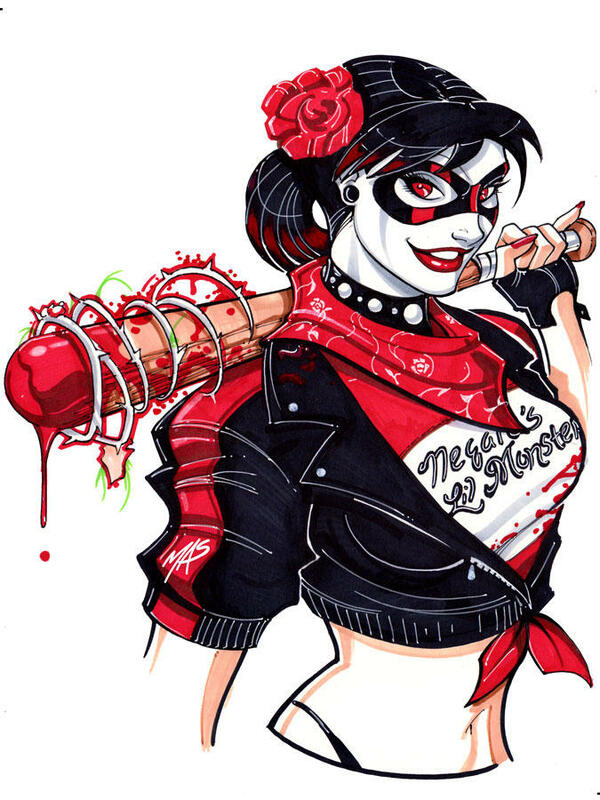 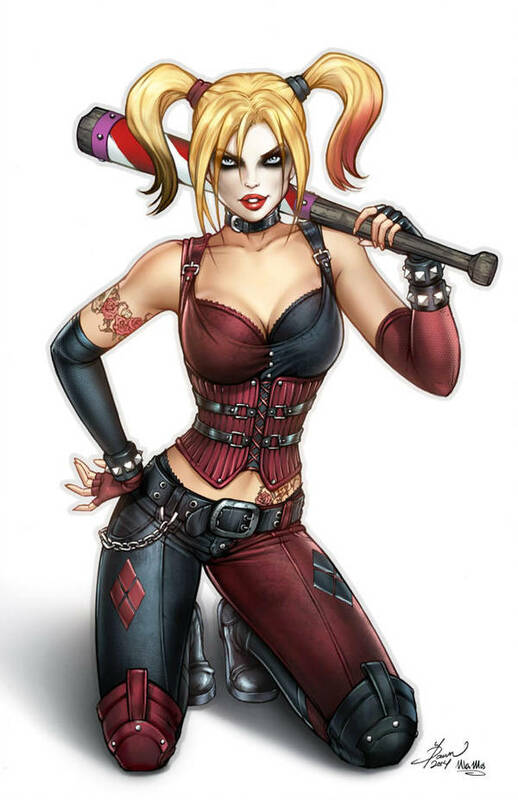 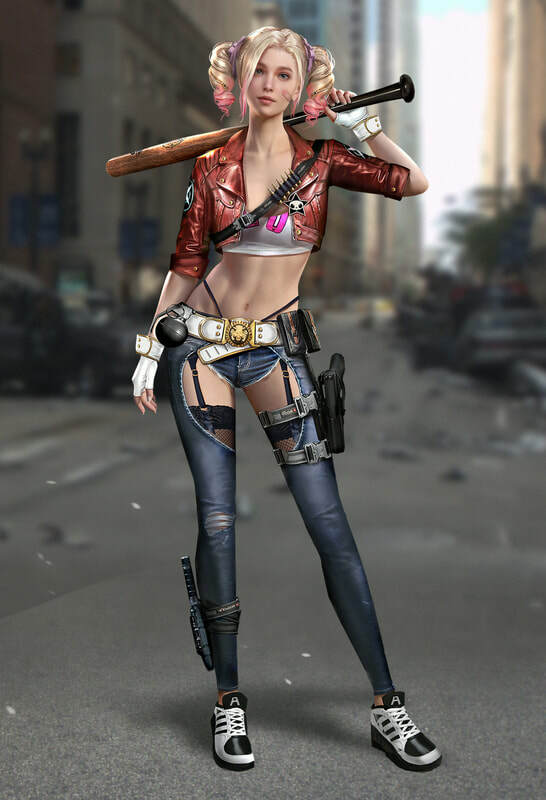 Then it is Arkham Harley Quinn, which includes three costumes and variations - ornate red and black leather outfit, nurse outfit, and bustier plus flowing dress outfit. 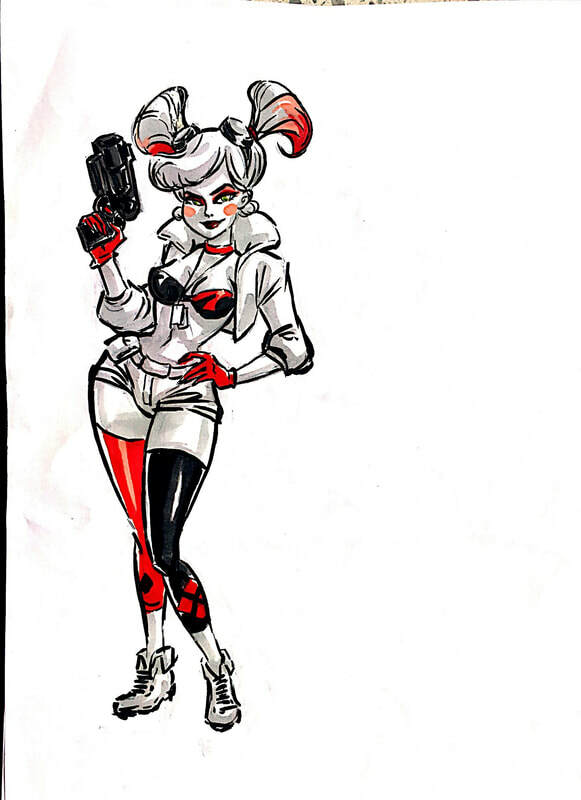 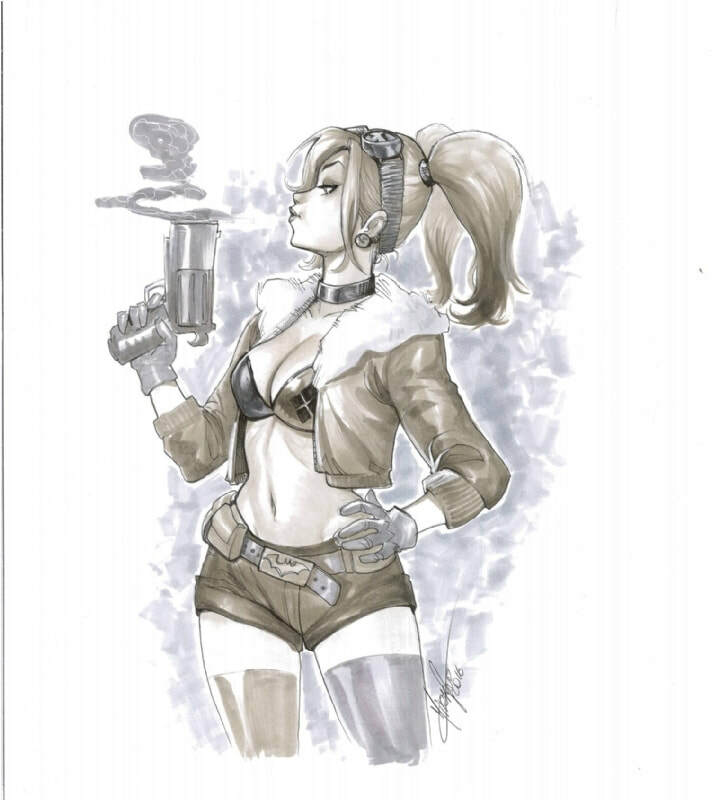 The next is Bombshells Harley Quinn. 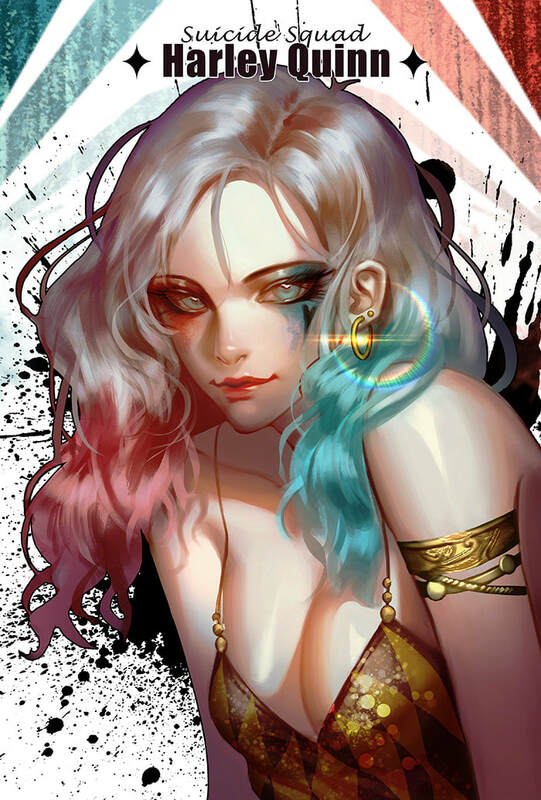 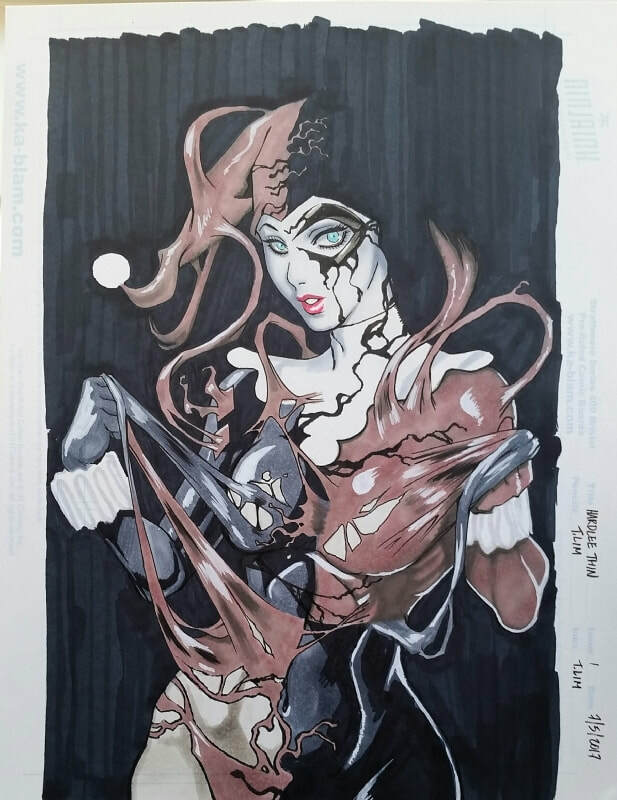 I took some liberties here and added to this group any piece that featured the distinctive dual-colored bra with diamond and star symbols (so Rebirth Harley in other words). 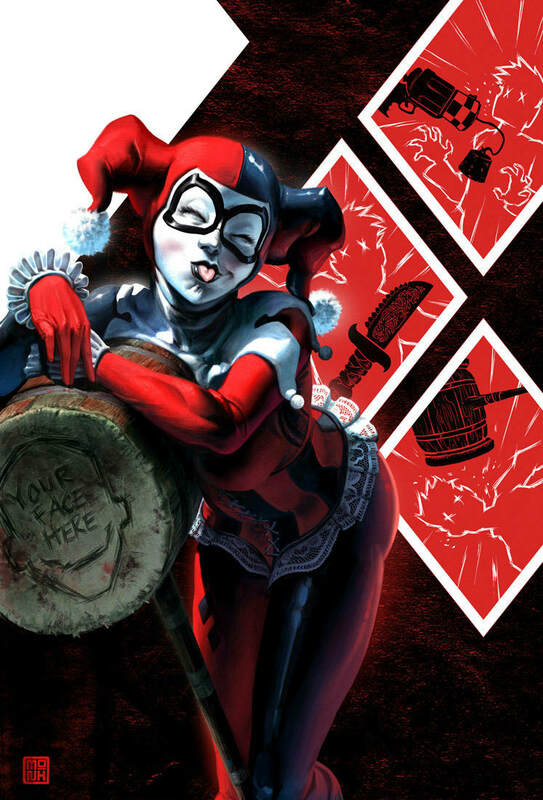 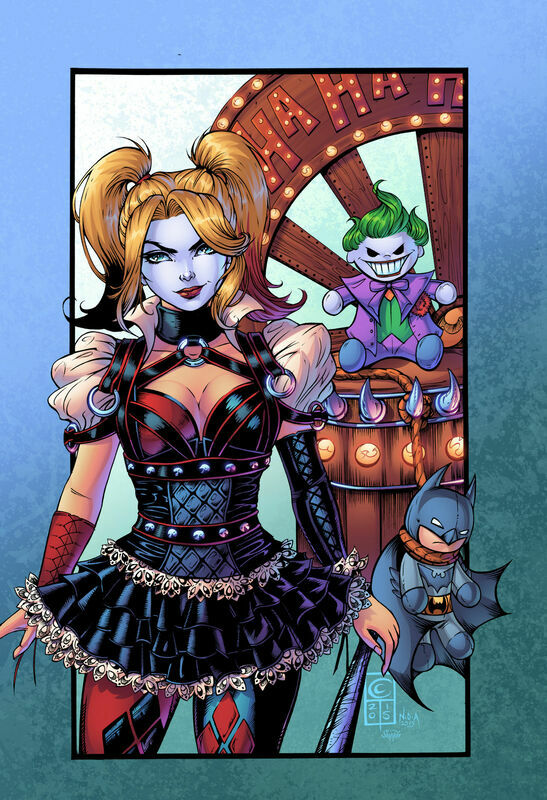 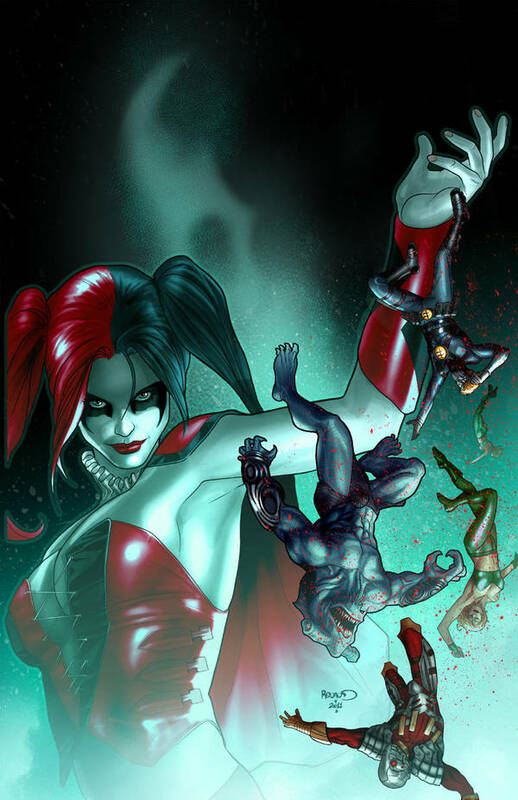 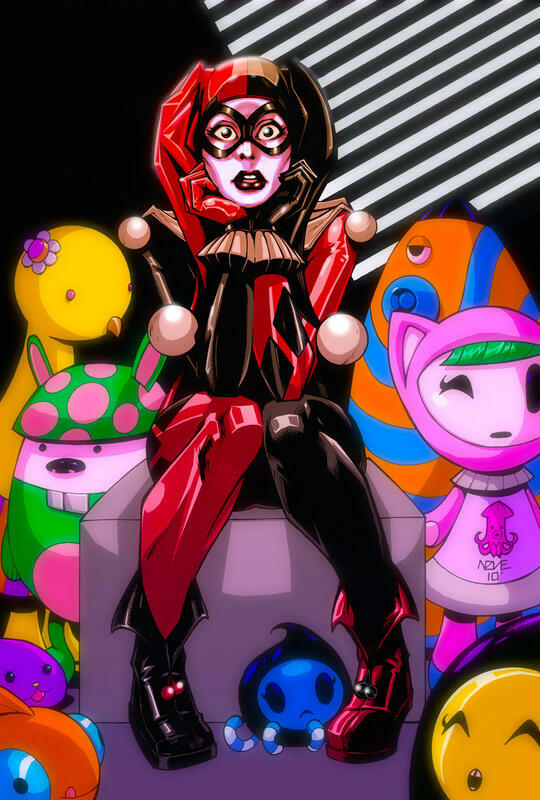 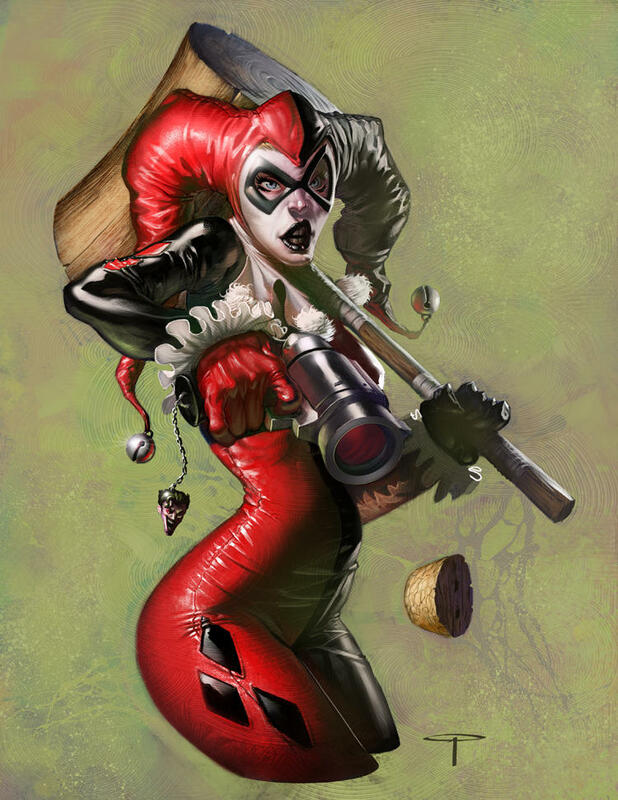 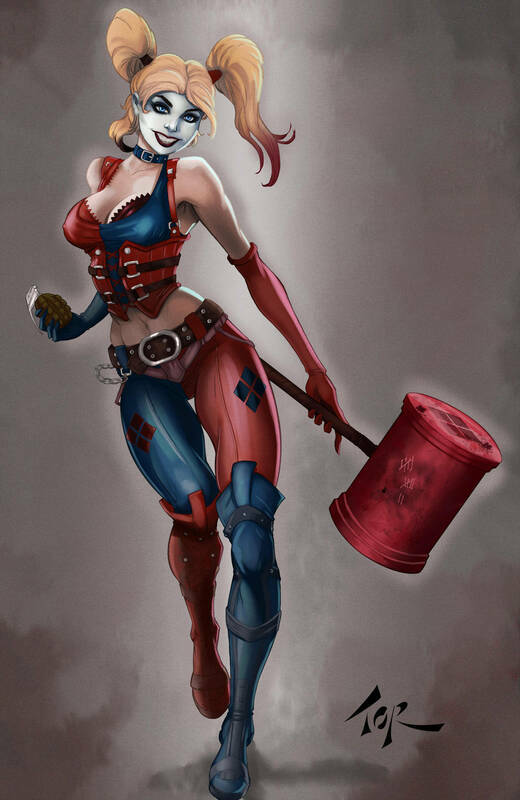 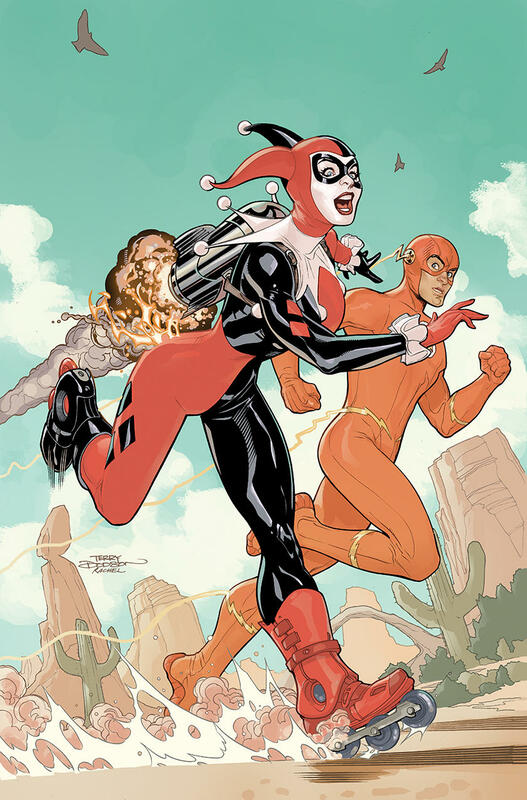 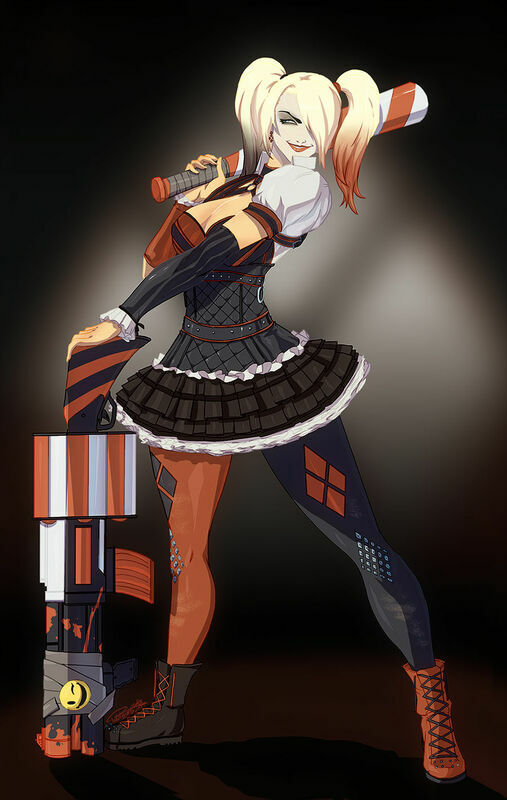 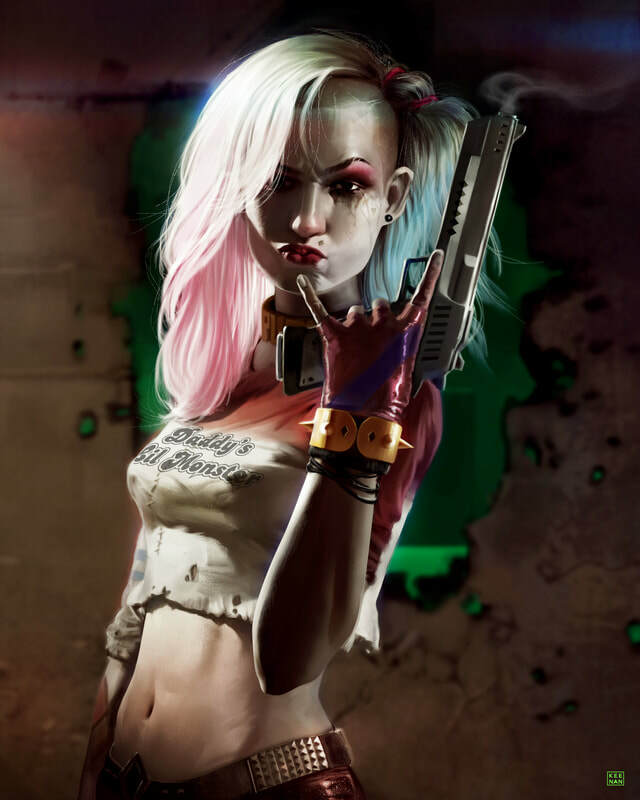 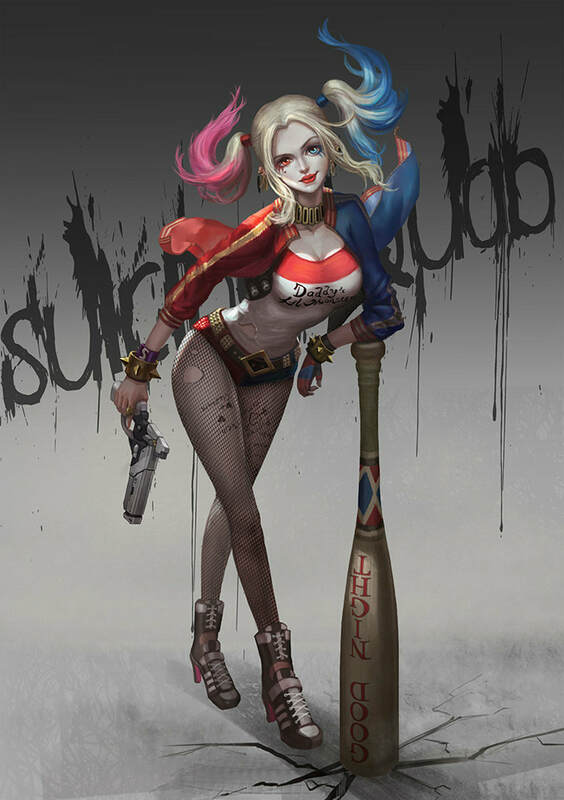 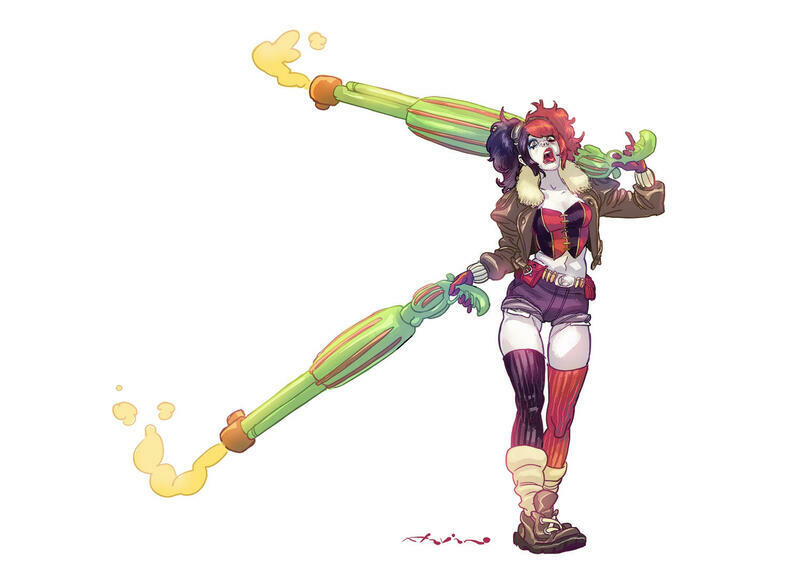 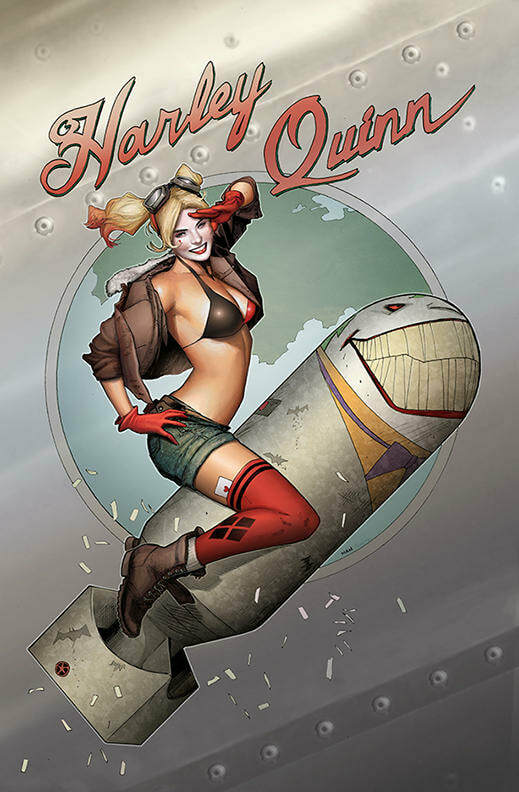 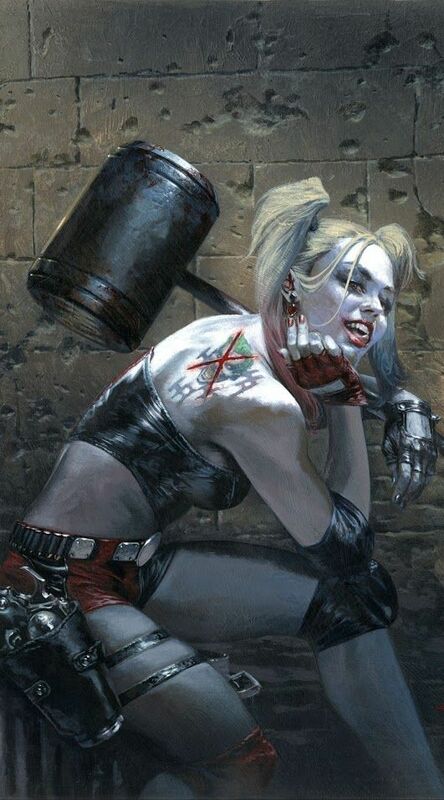 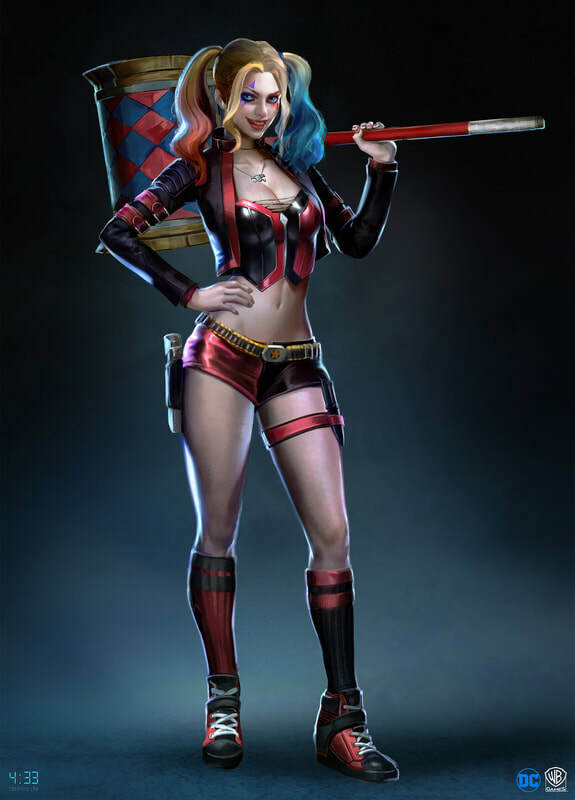 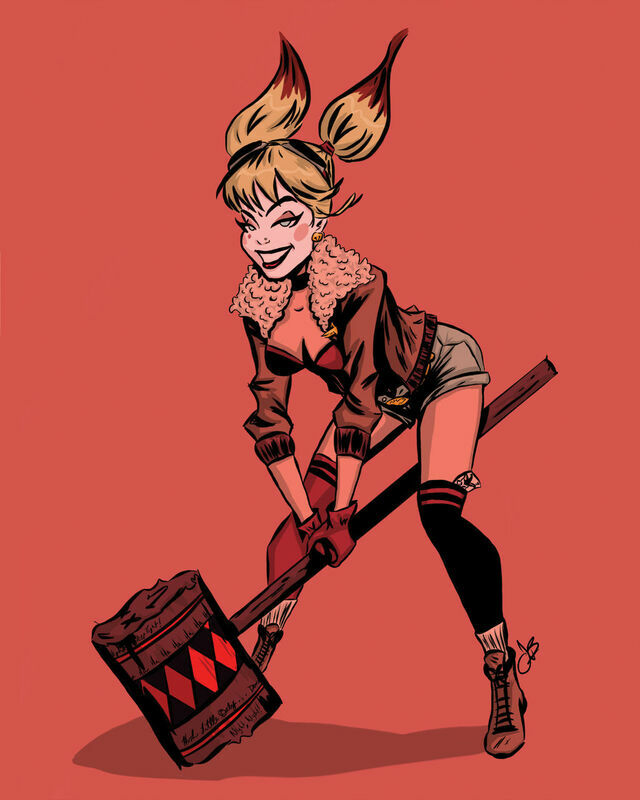 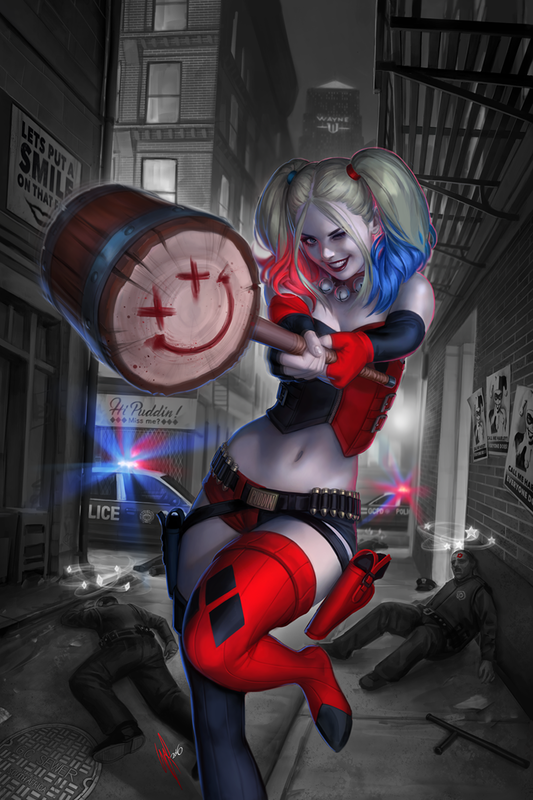 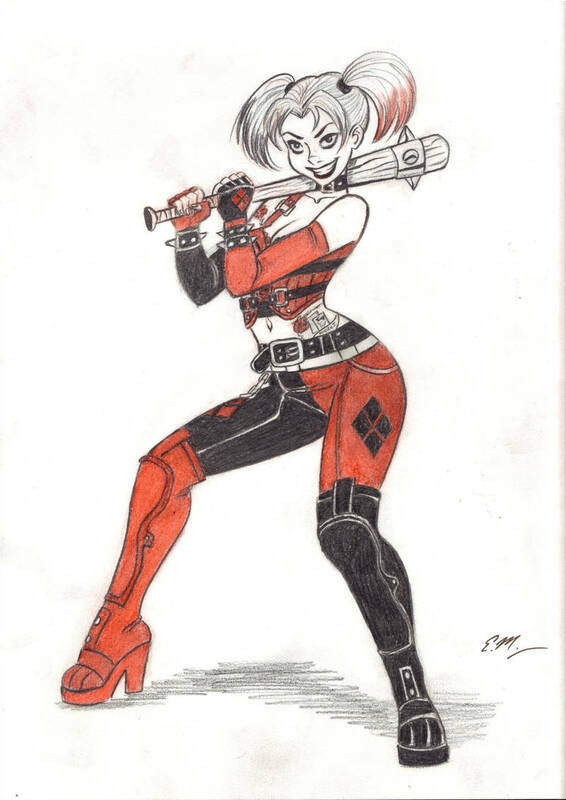 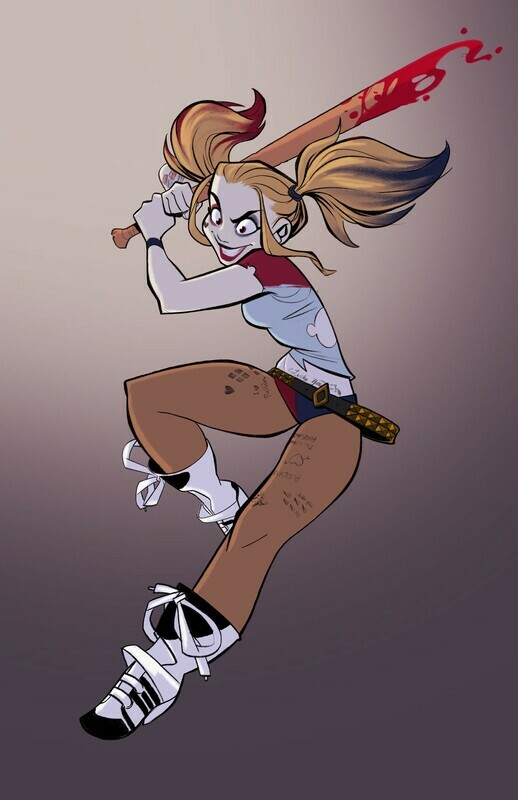 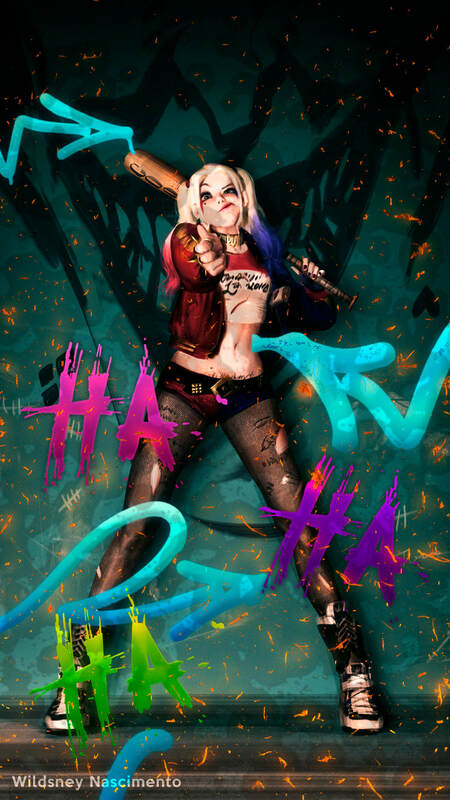 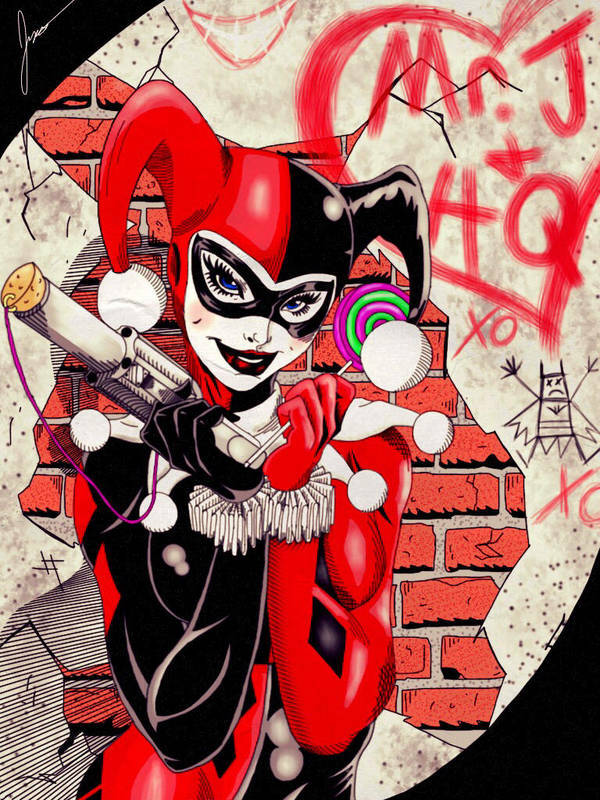 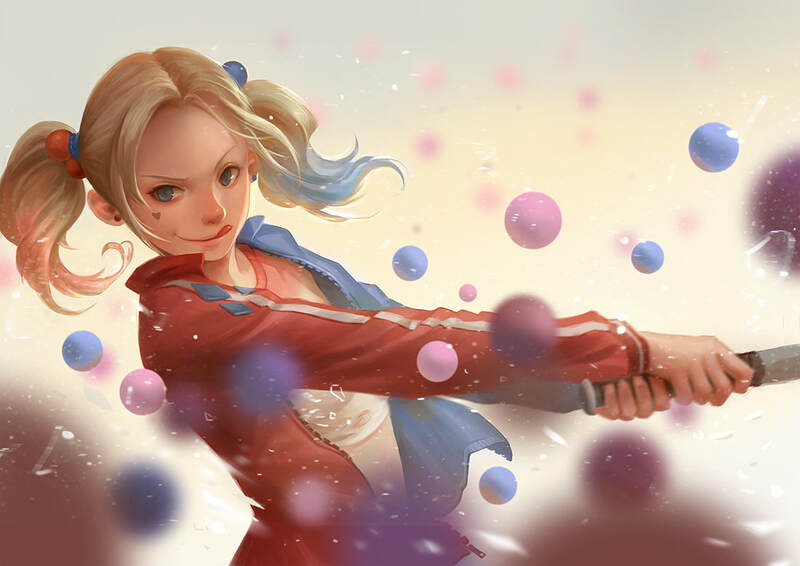 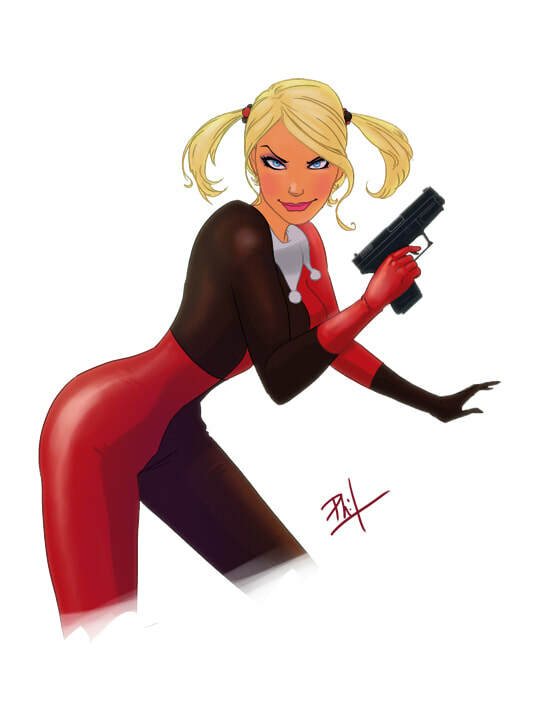 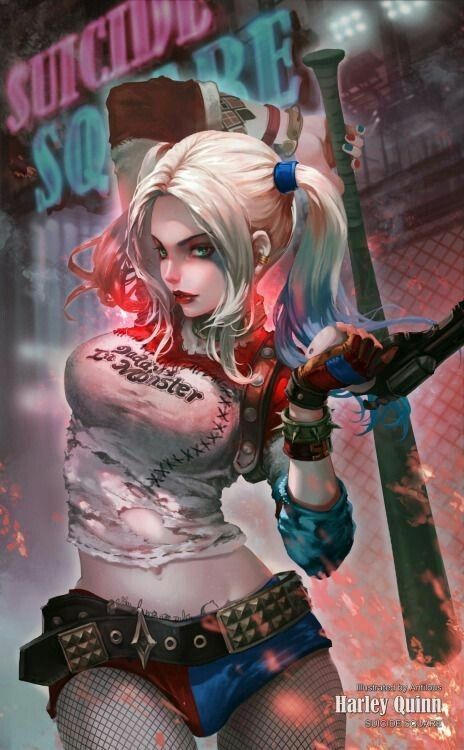 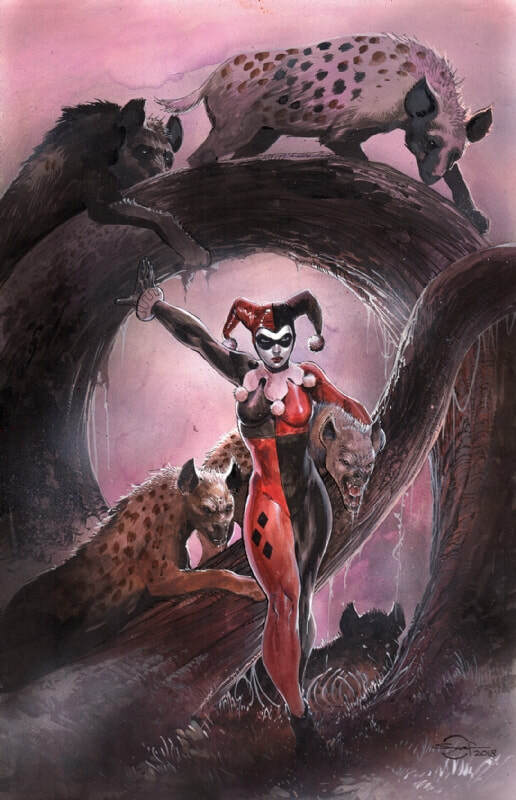 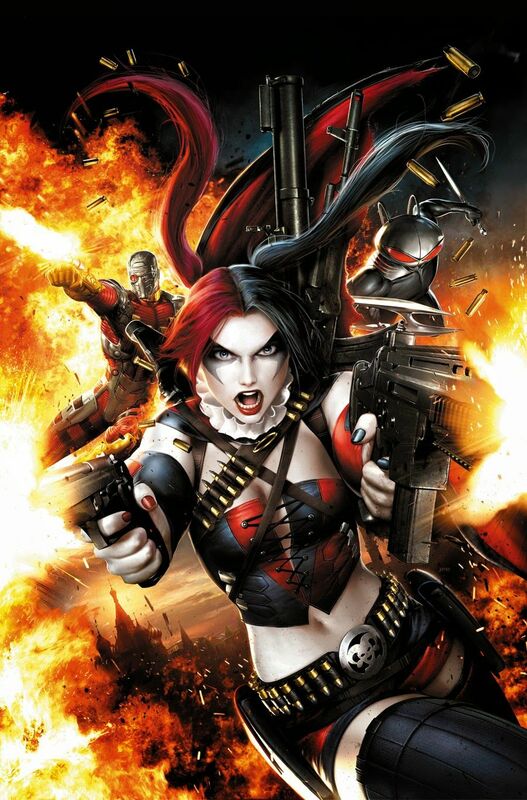 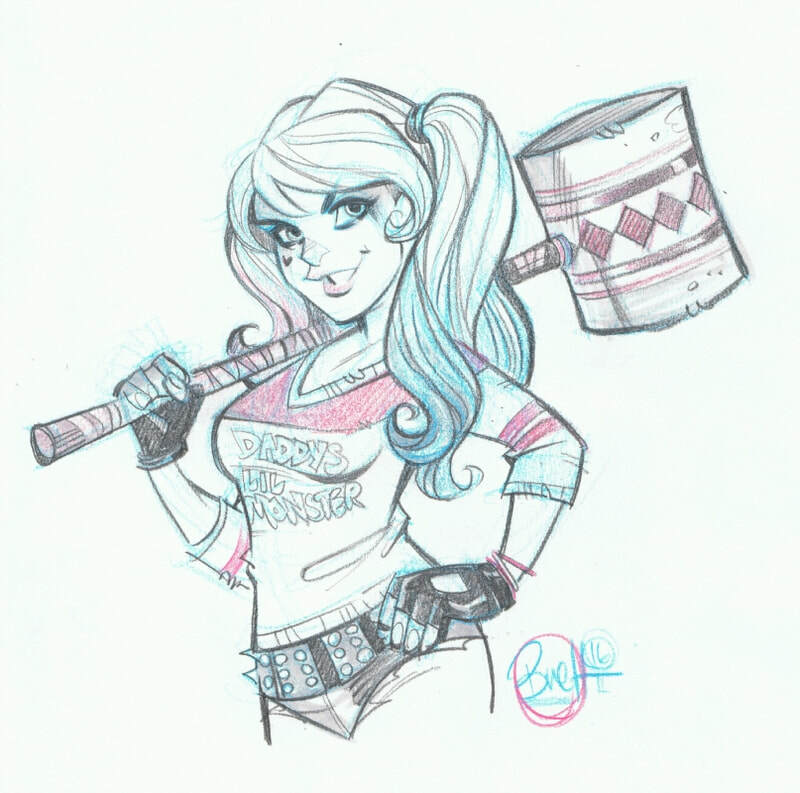 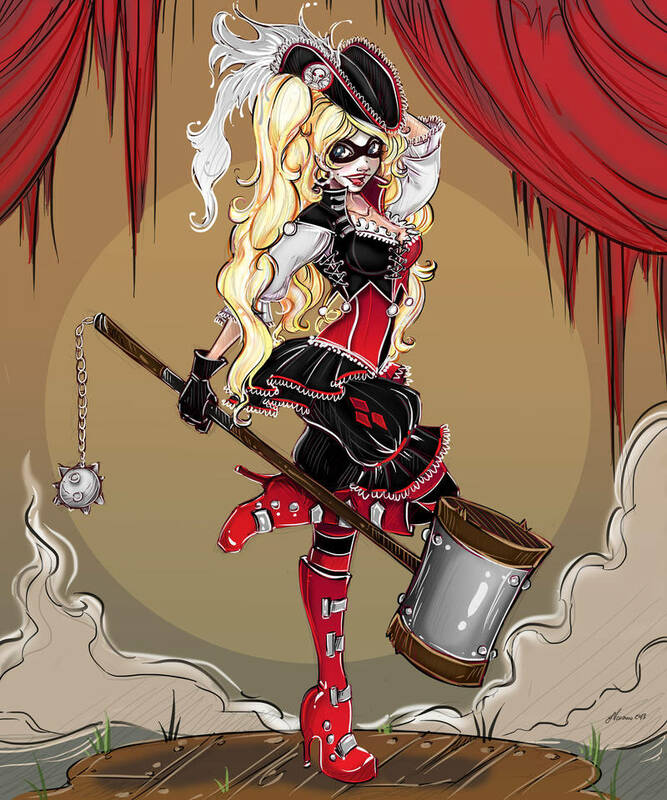 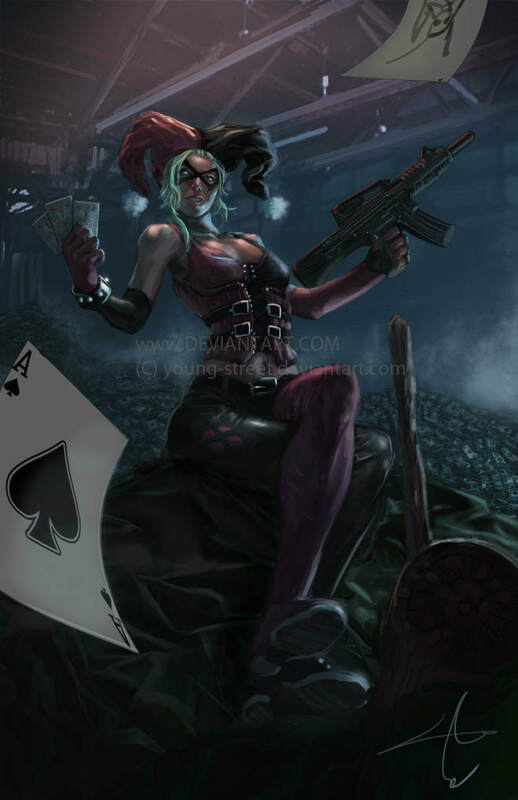 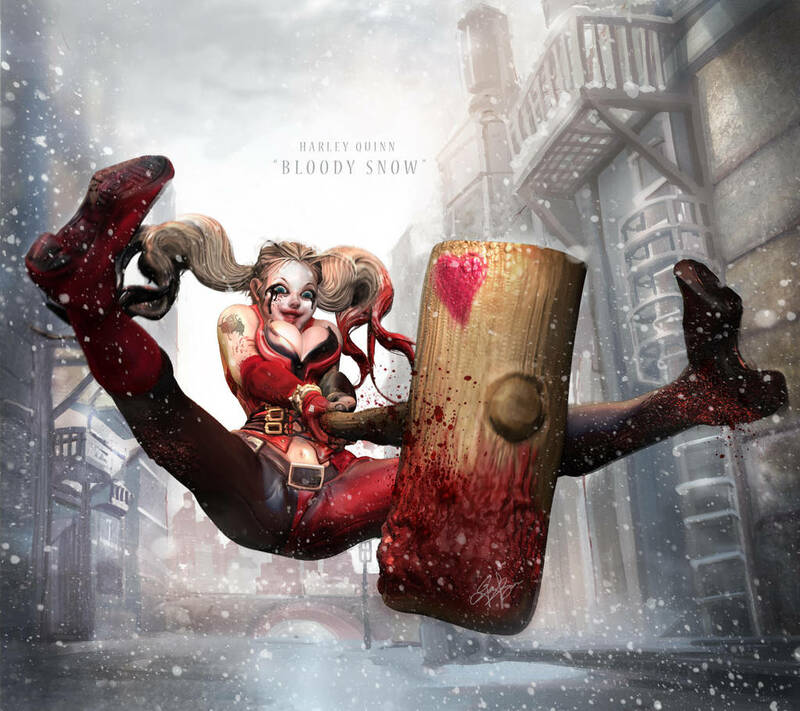 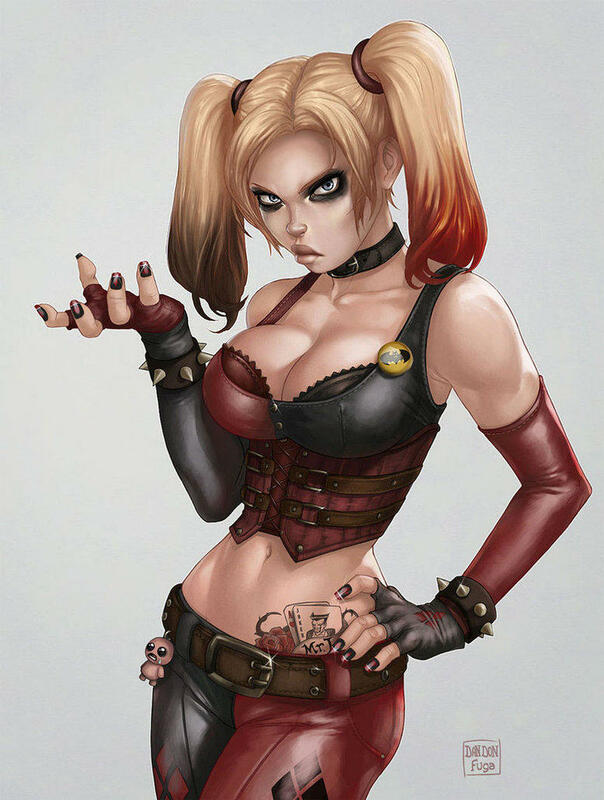 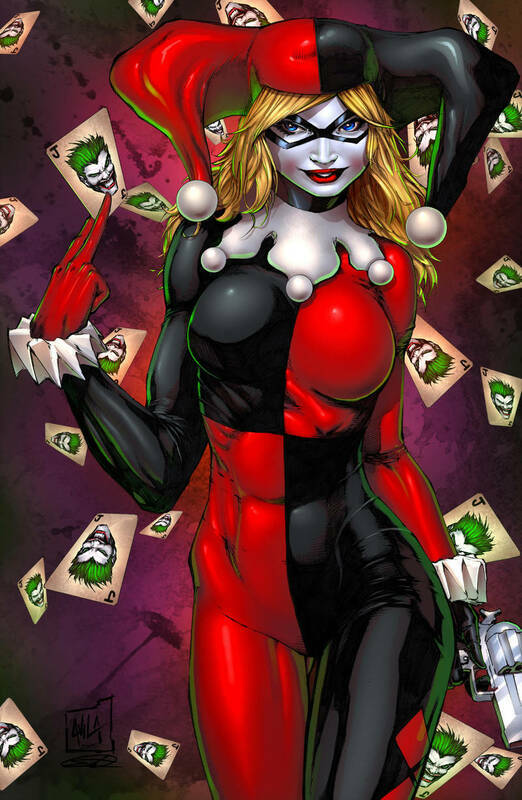 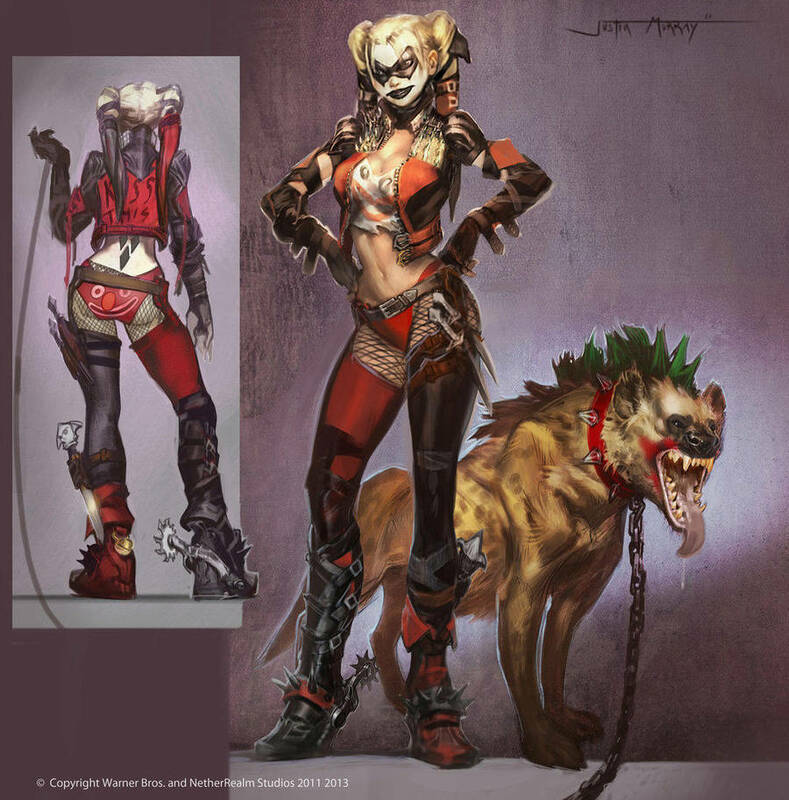 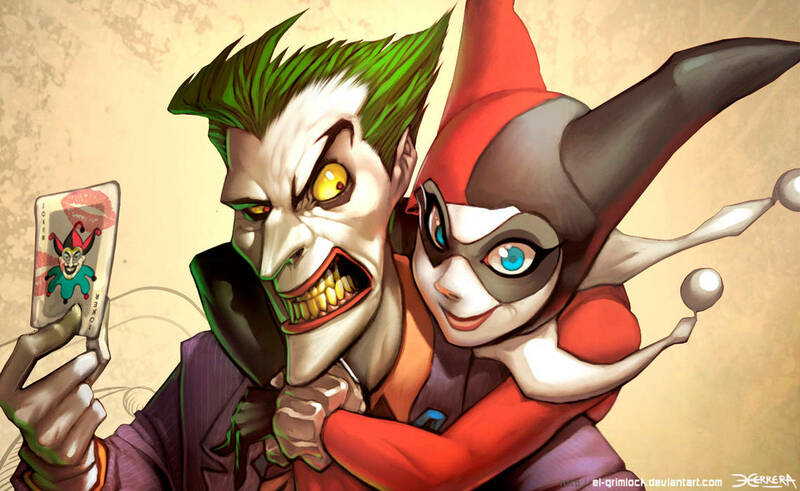 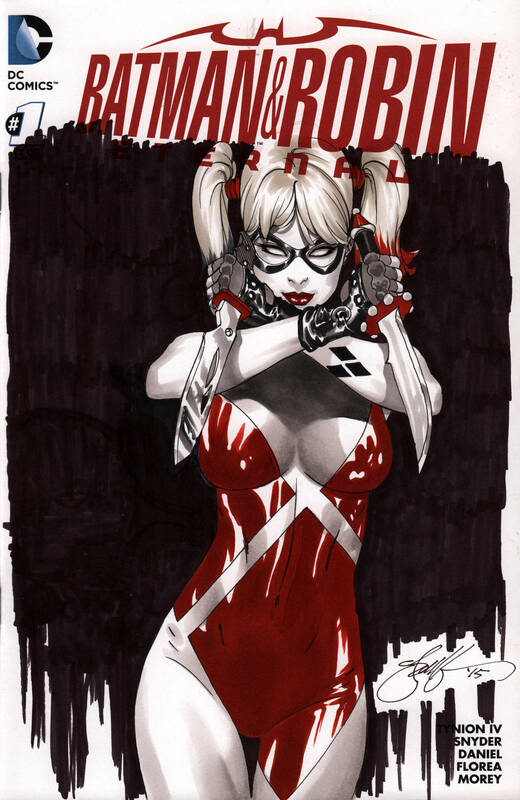 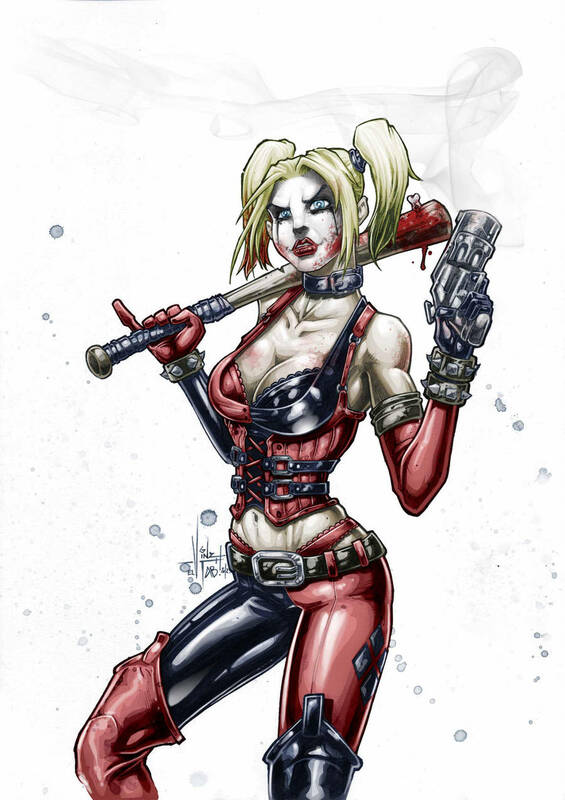 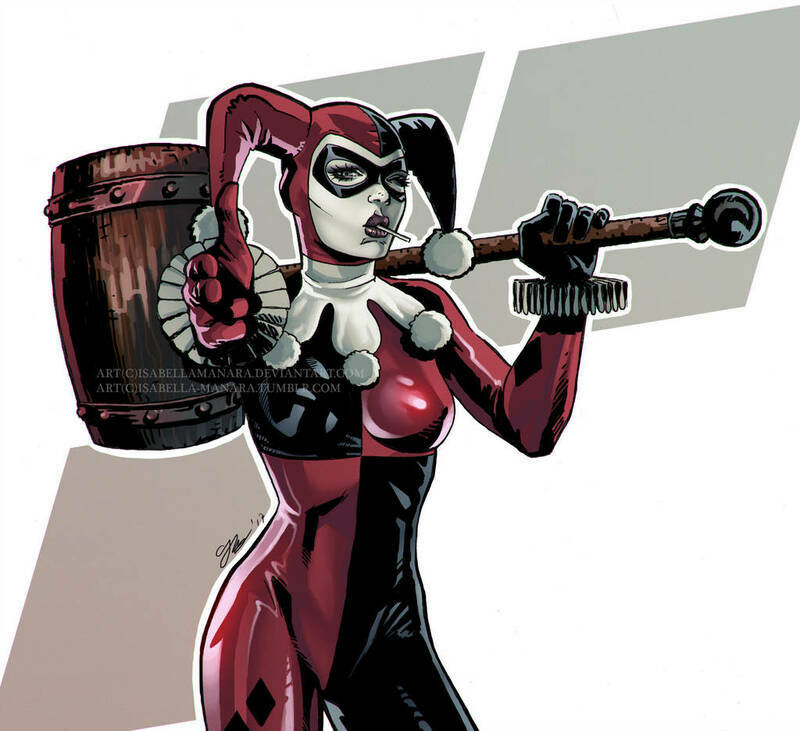 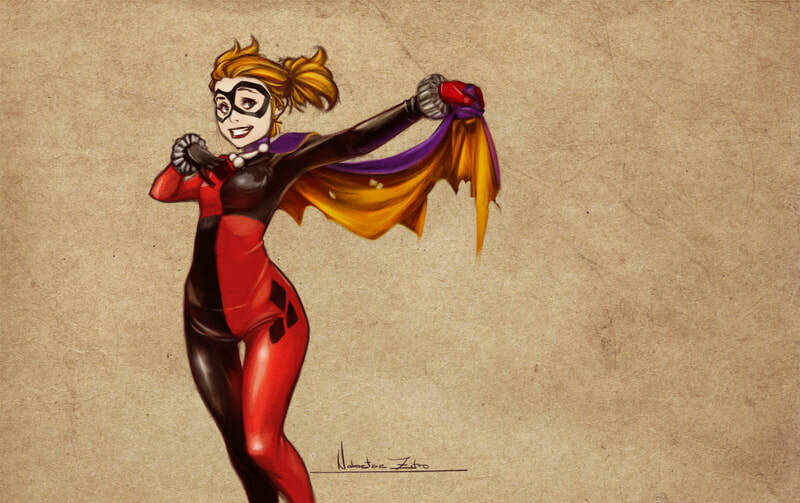 The next is the not-so-popular Reboot Harley Quinn, known in the industry as New 52. 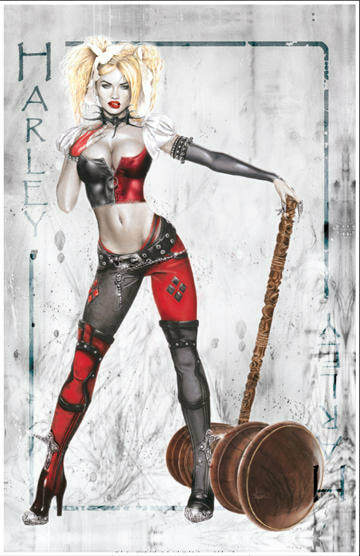 This Harley is no longer a blonde and has dual-hair colors, but both being dark tones. 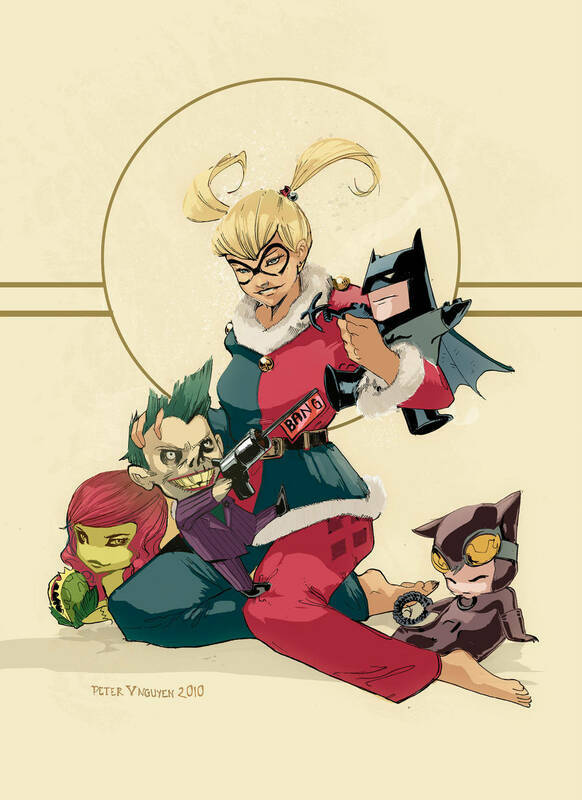 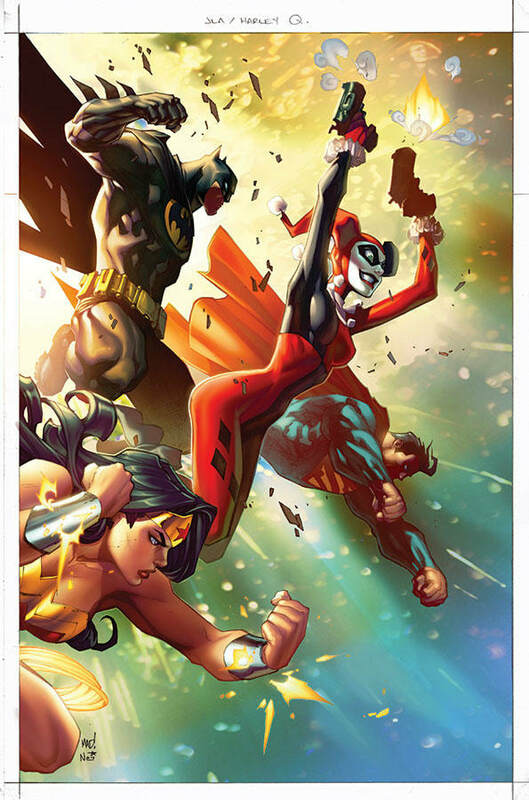 Then a fun category - Harley & Friends - a group for pieces of Harley with other heroes, villains, companions, and confidantes. 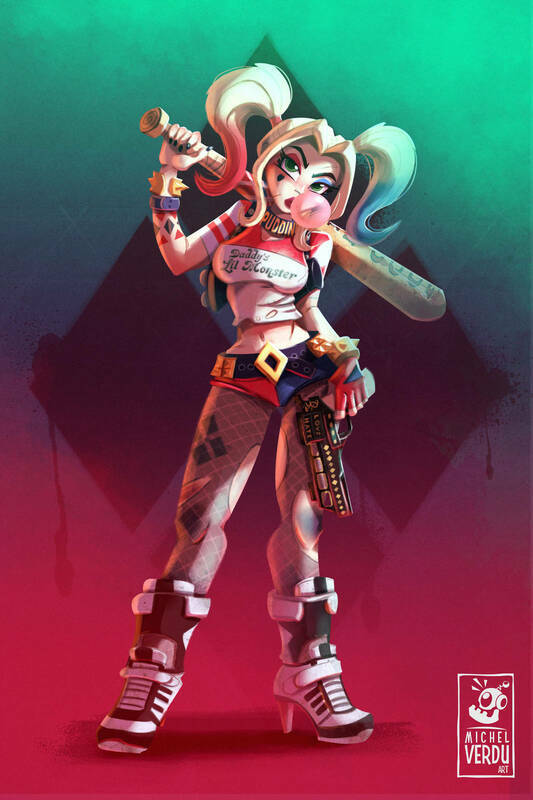 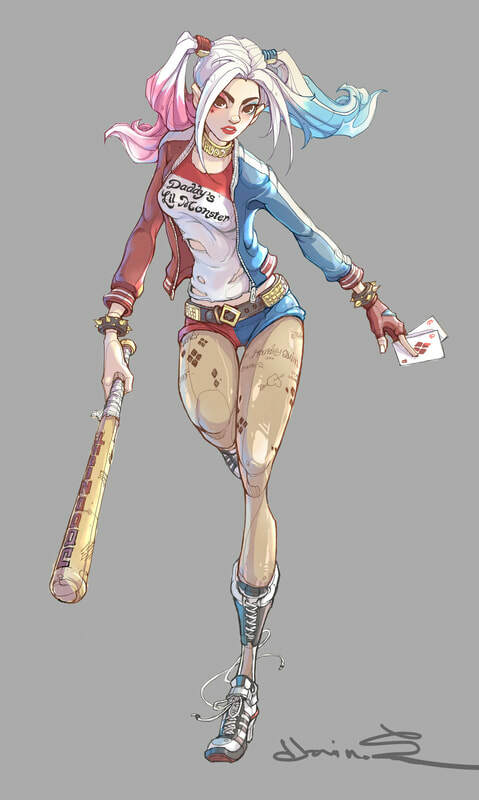 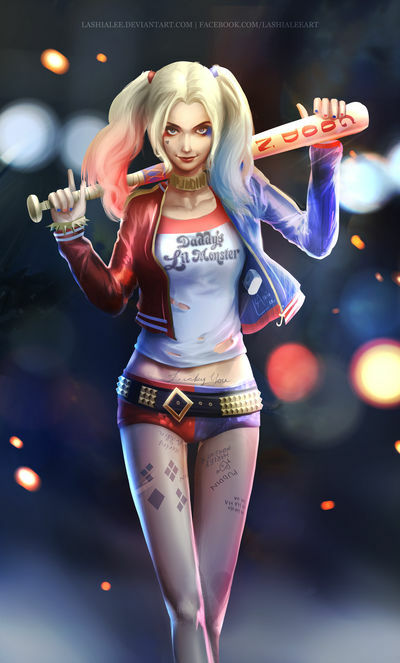 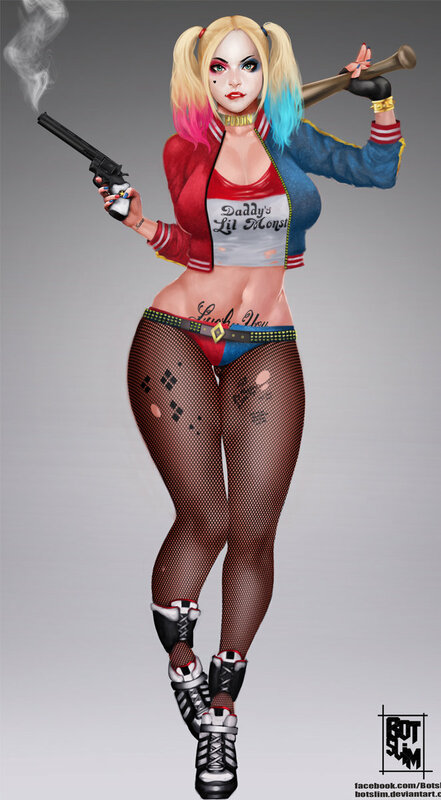 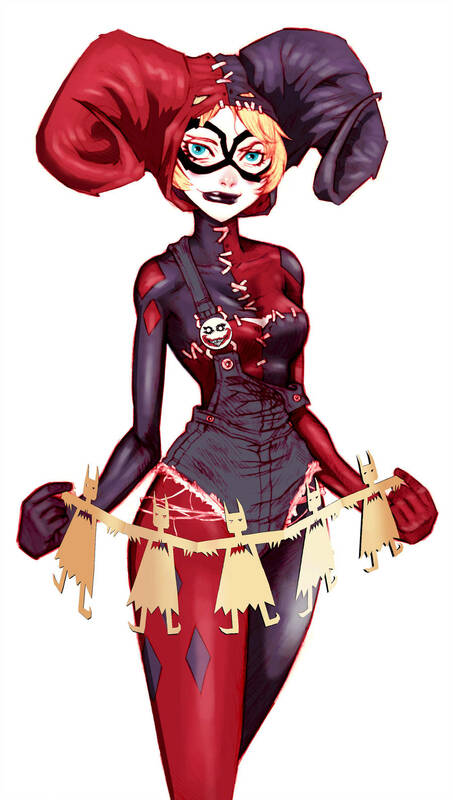 Last but not least, is Remix Harley Quinn which is a group of pieces where the artist did mashups of known costume elements or simply went out in left field by doing a brand new design for everyone's favourite psycho. 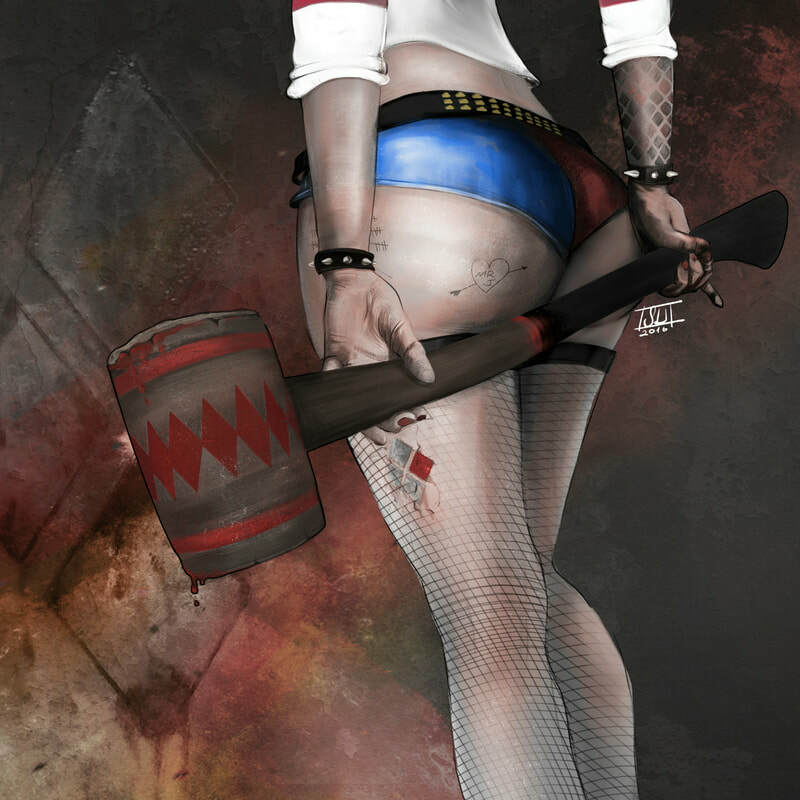 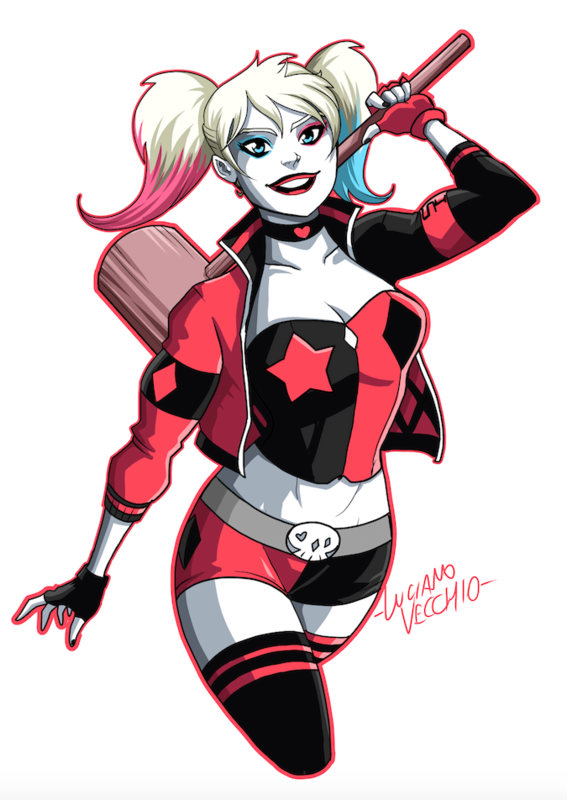 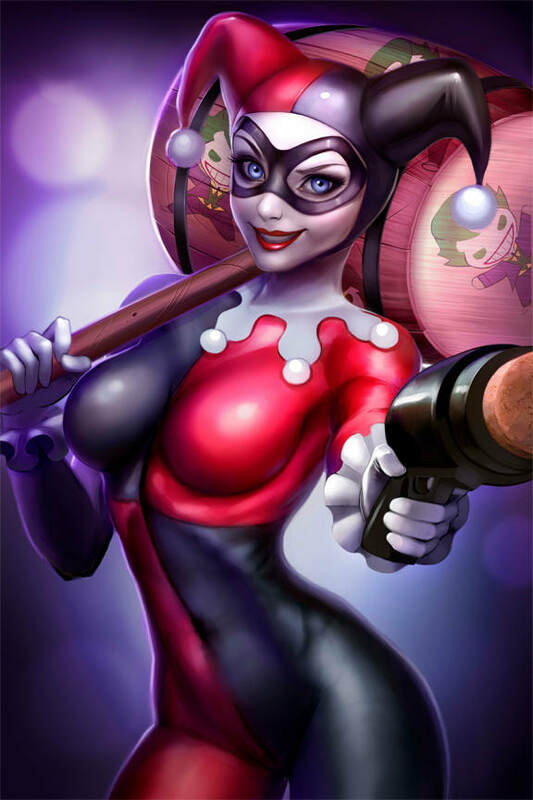 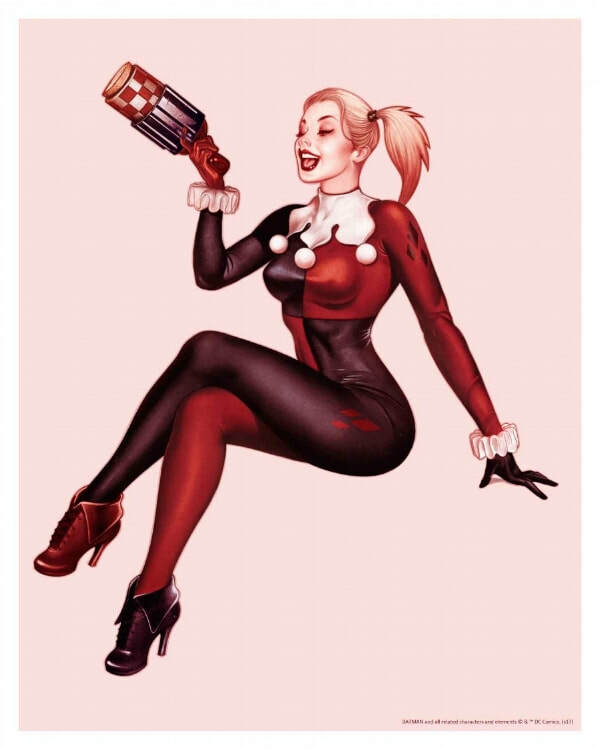 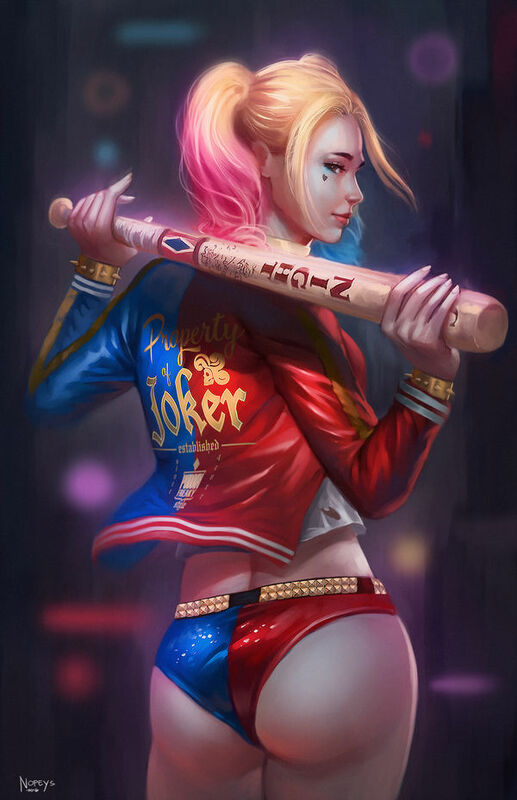 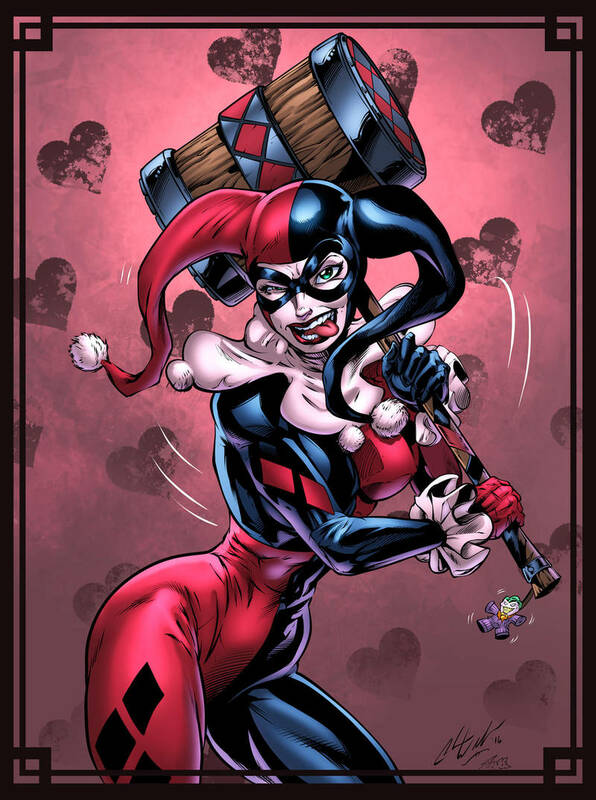 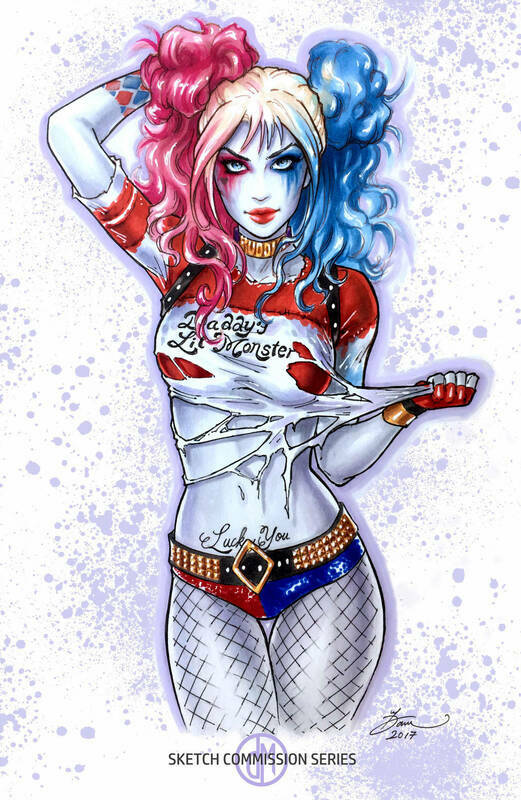 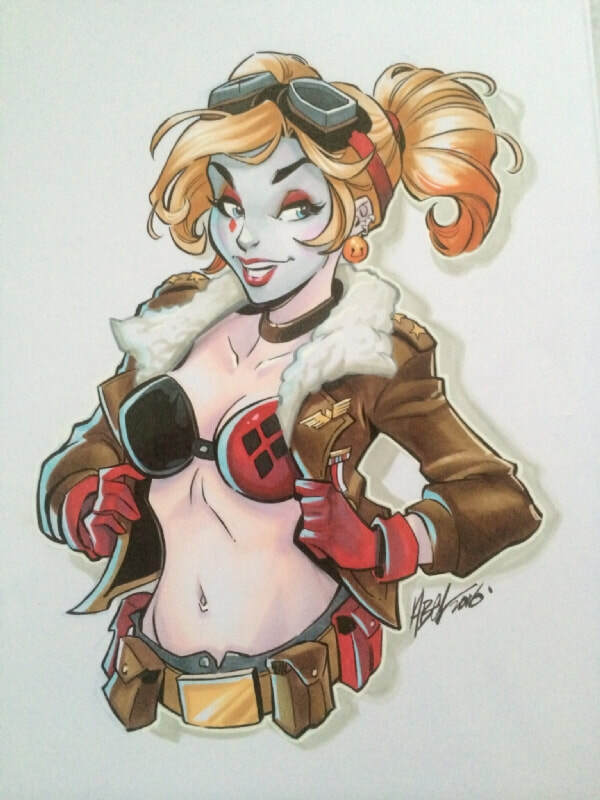 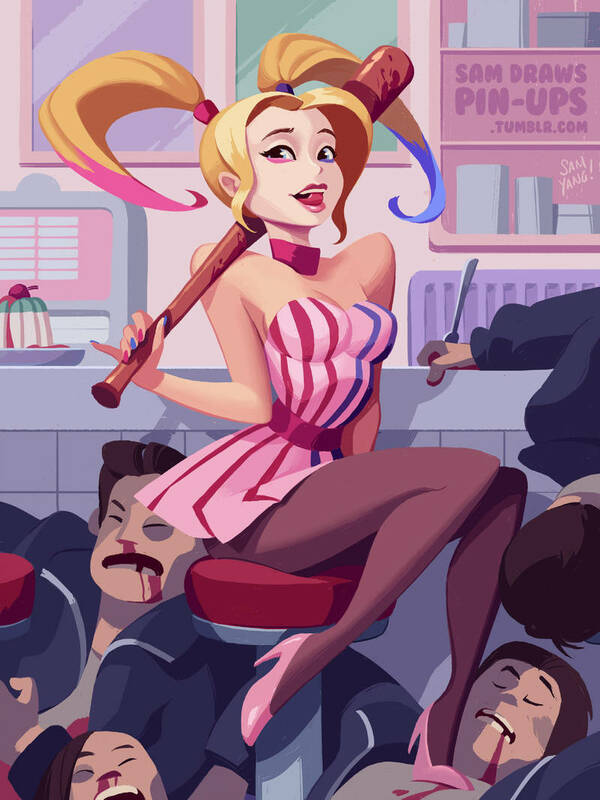 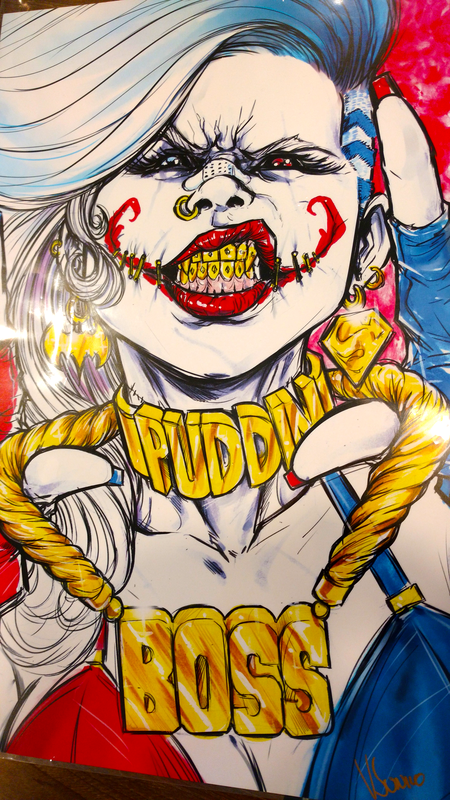 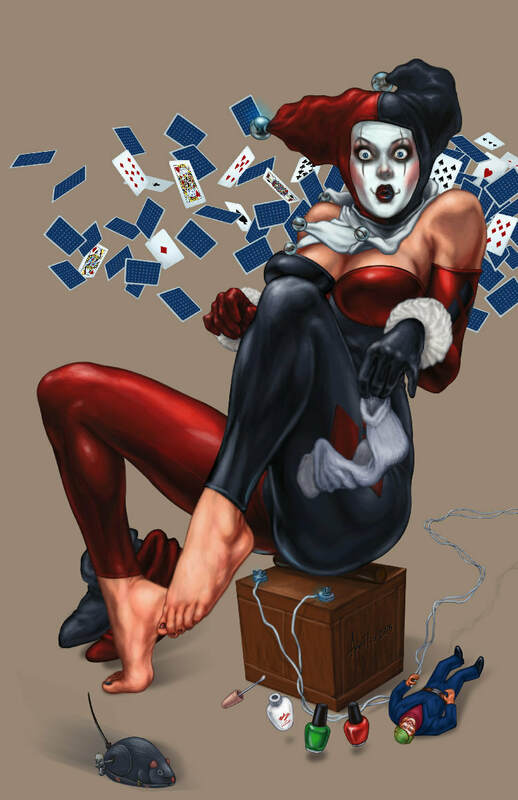 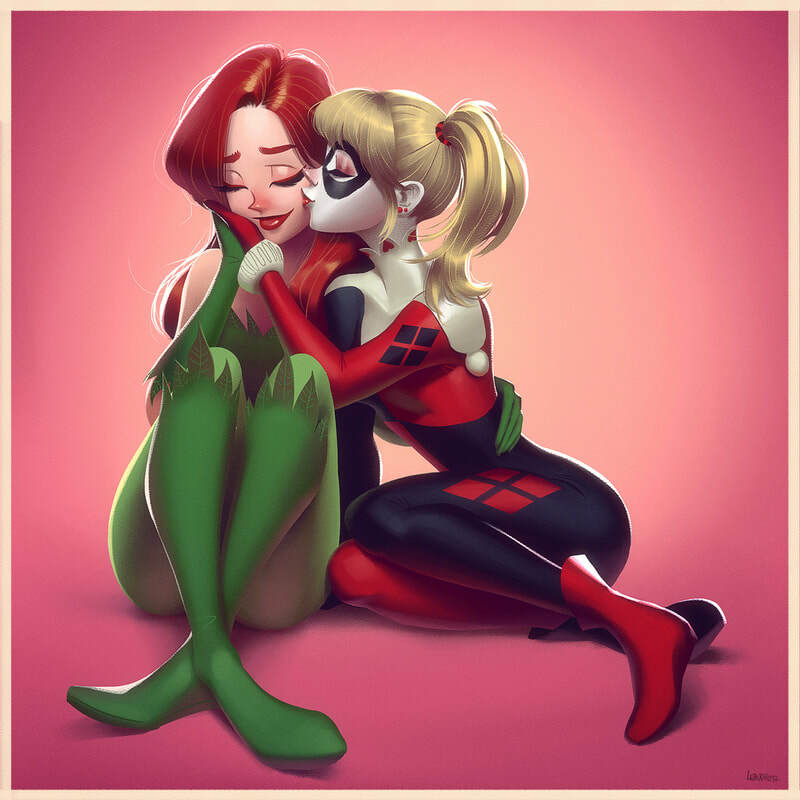 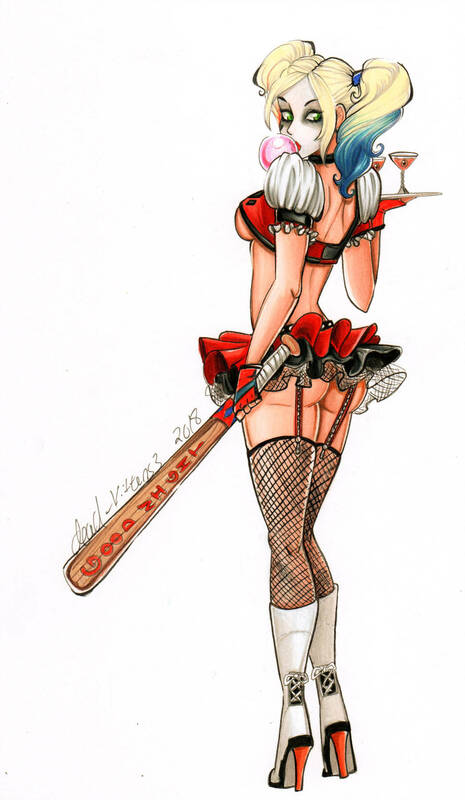 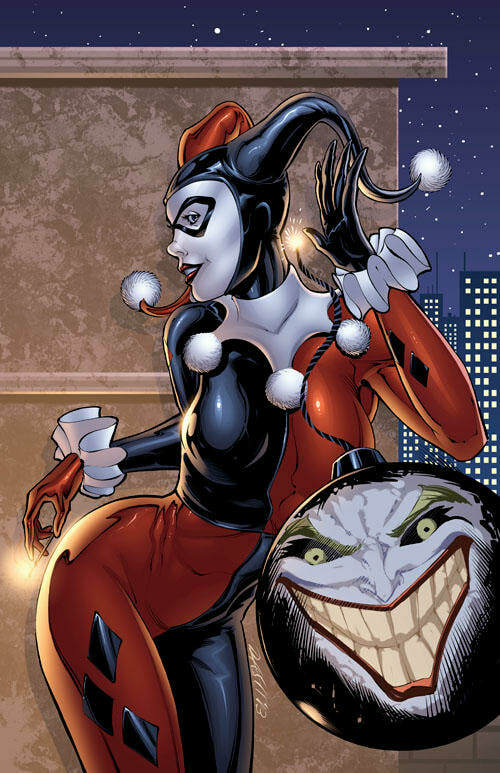 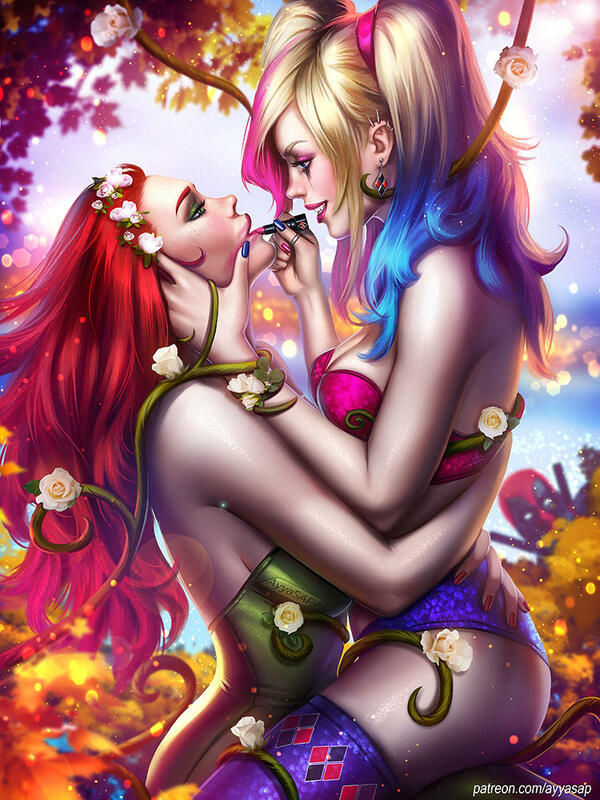 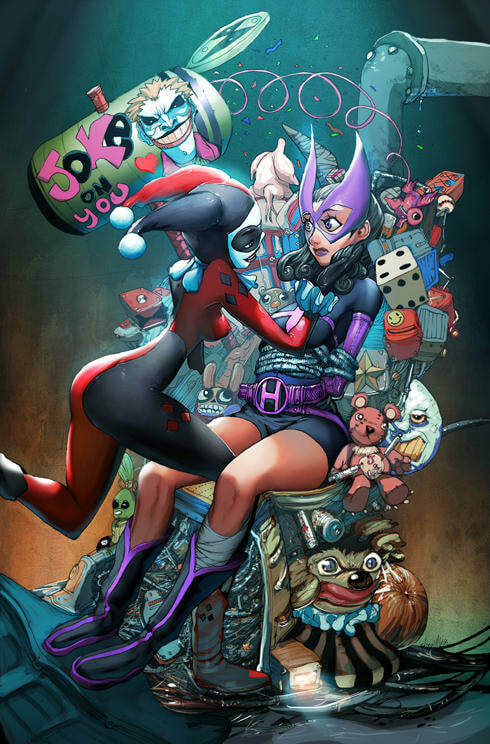 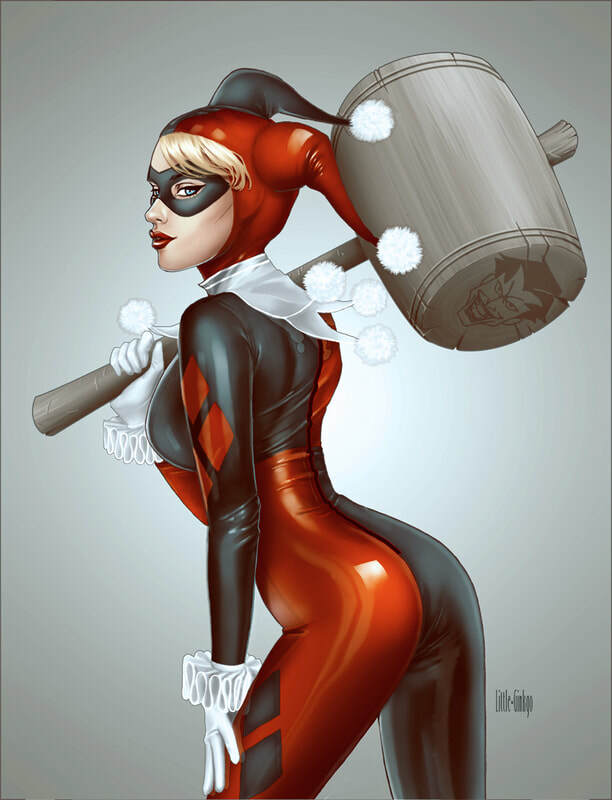 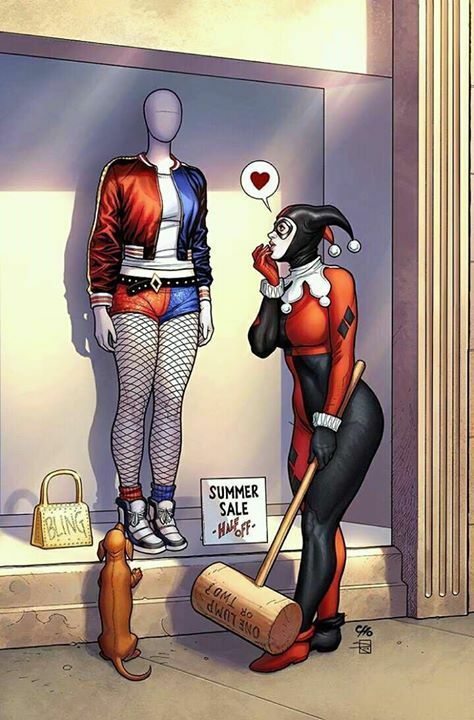 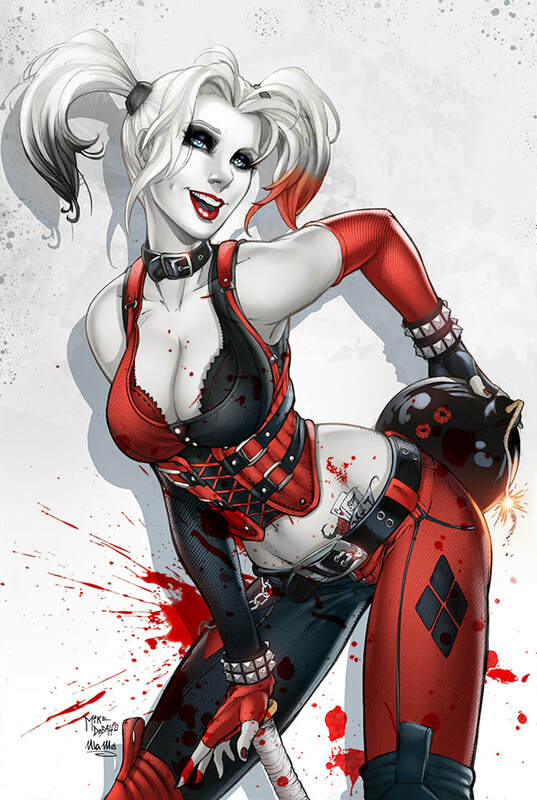 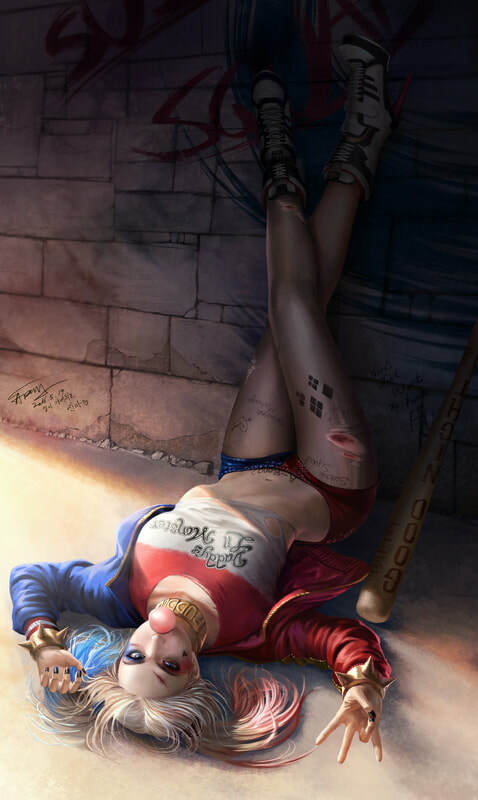 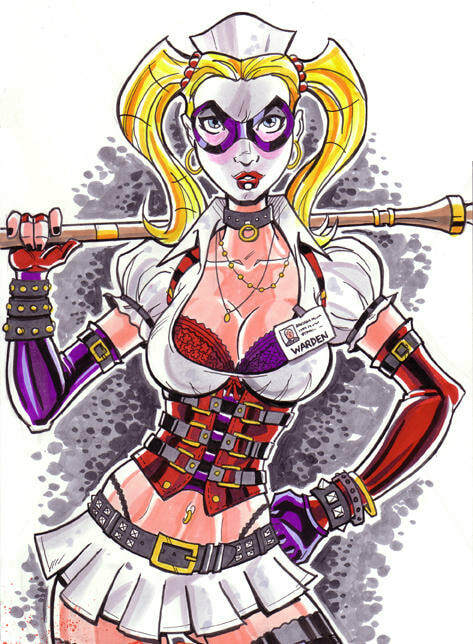 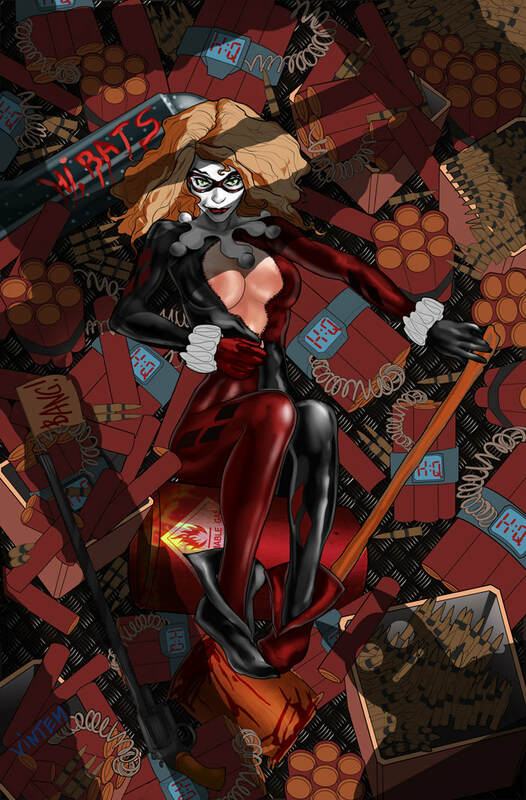 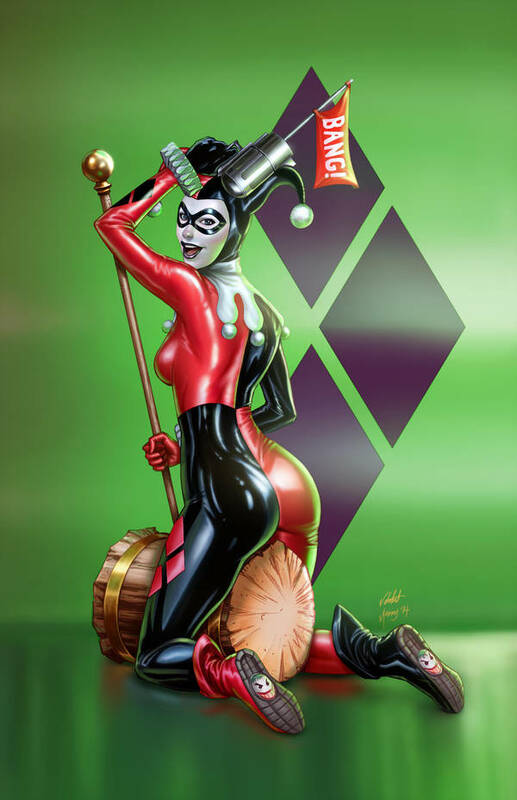 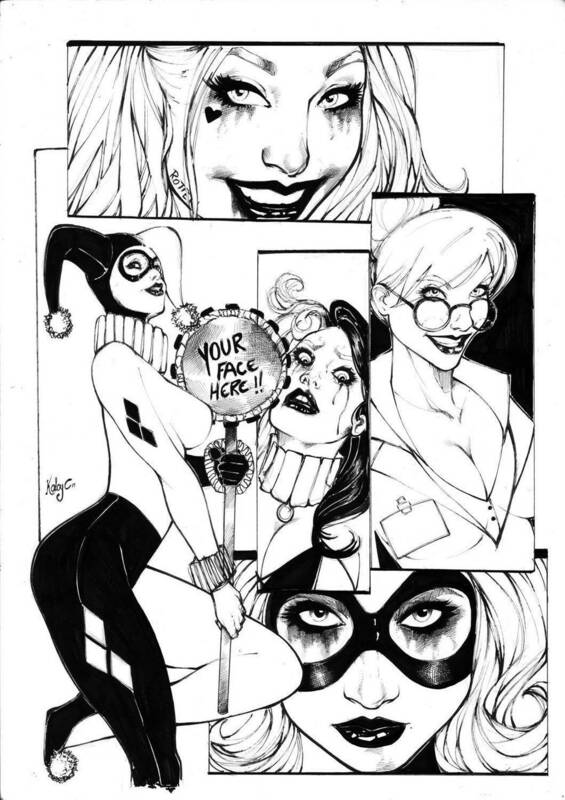 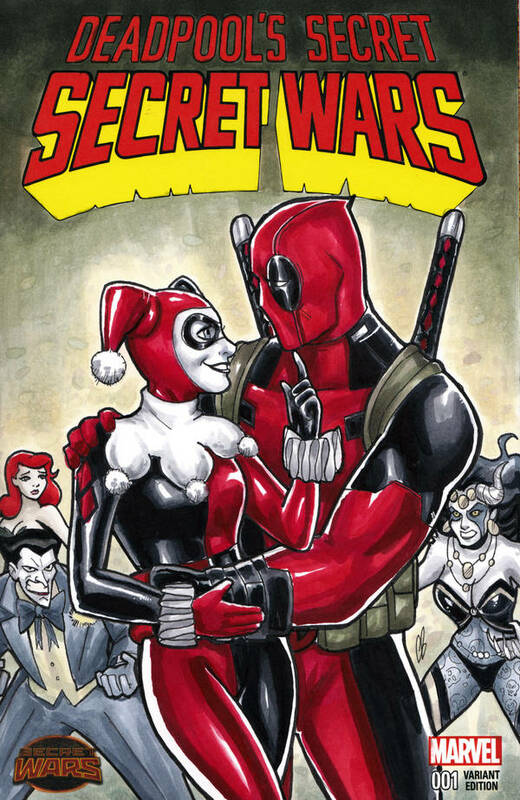 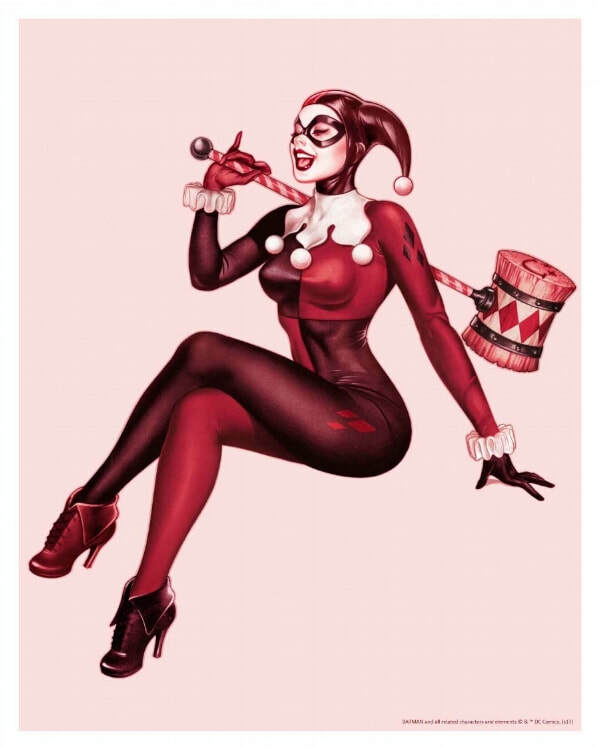 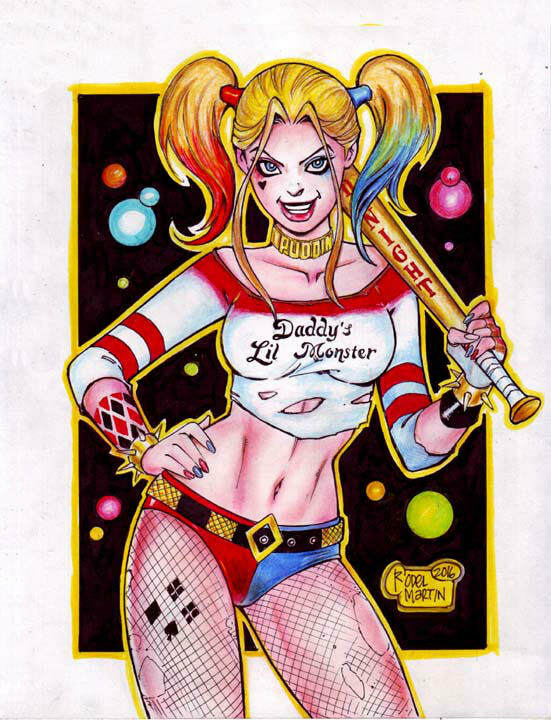 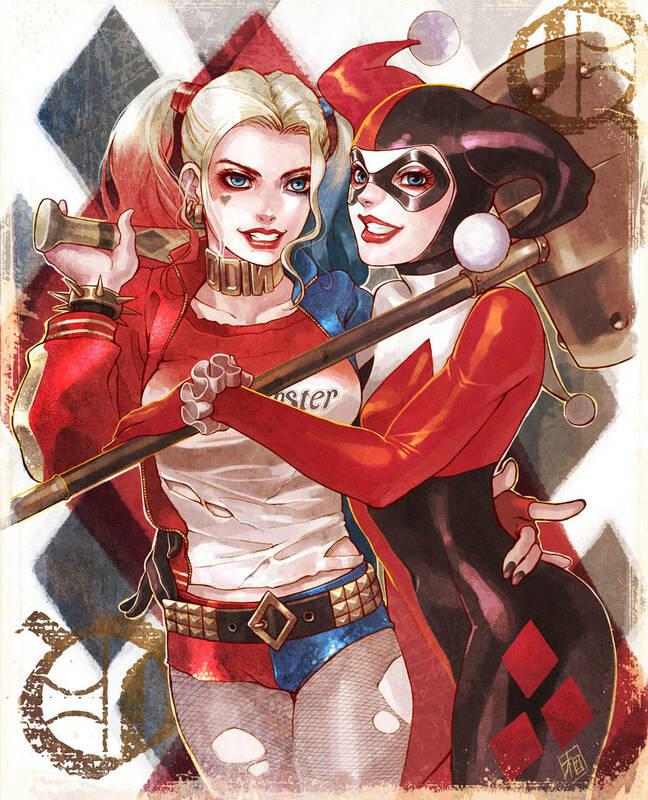 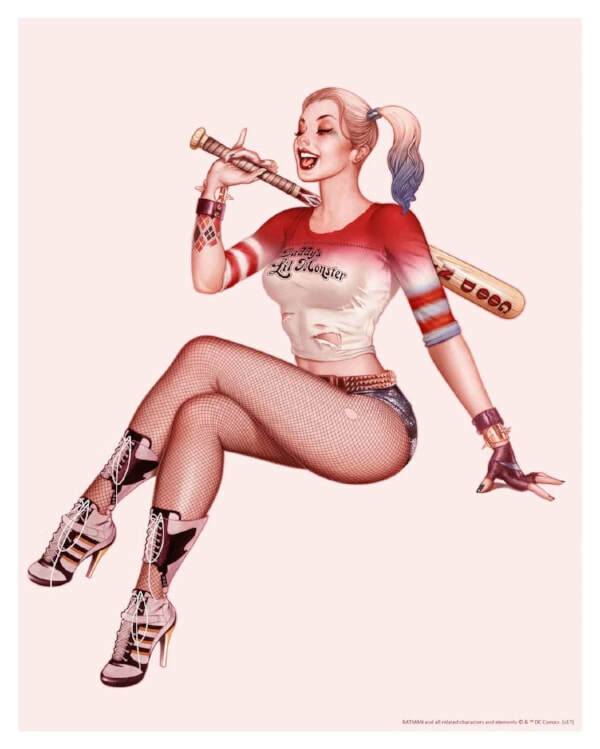 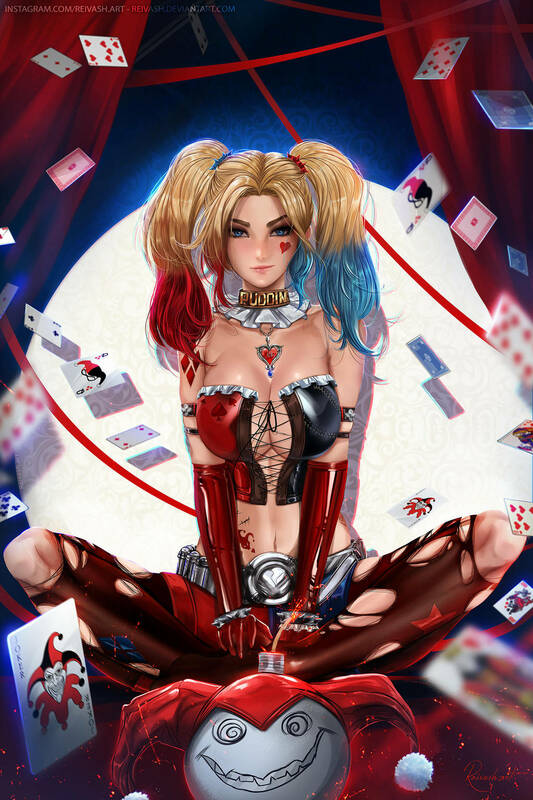 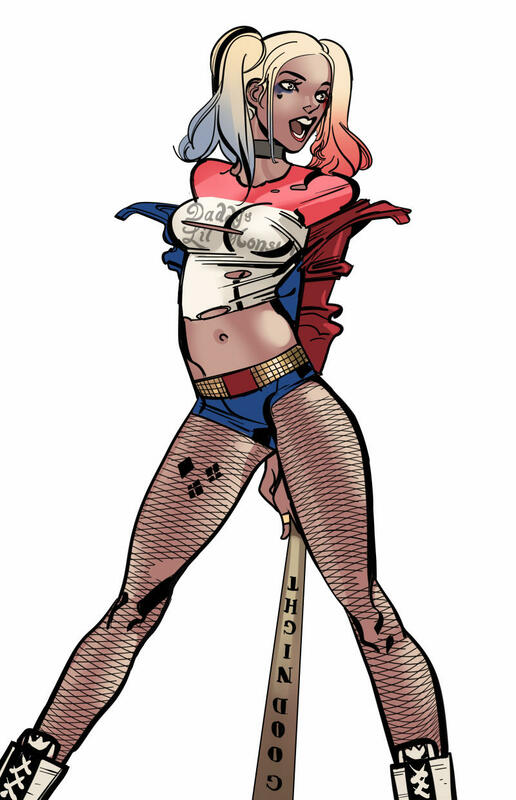 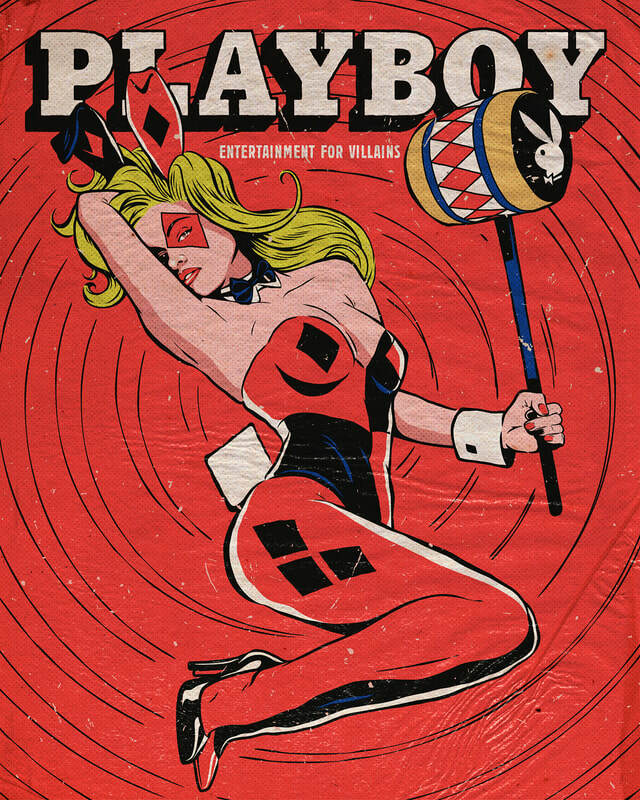 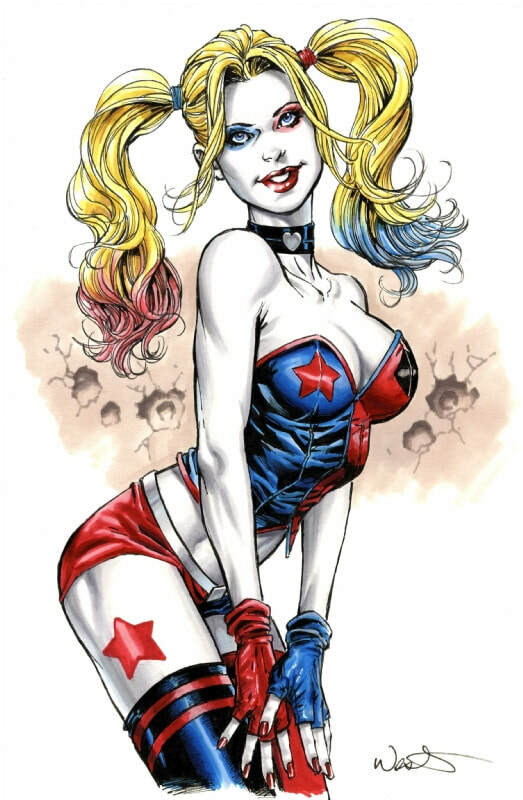 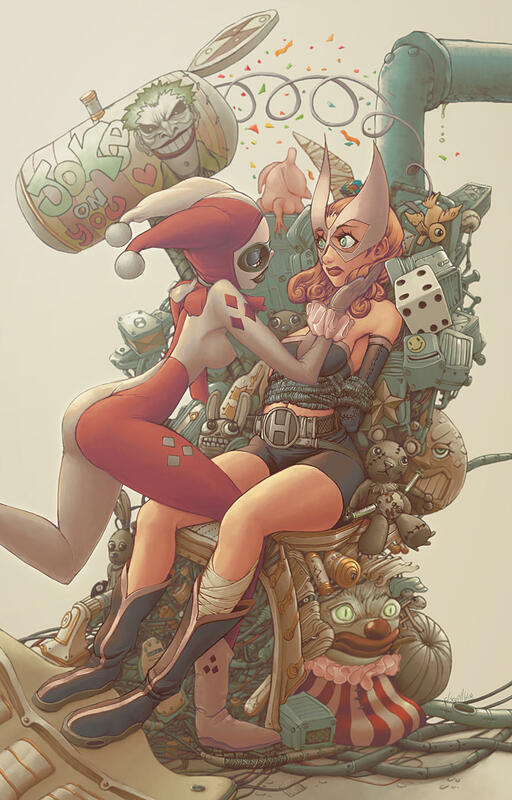 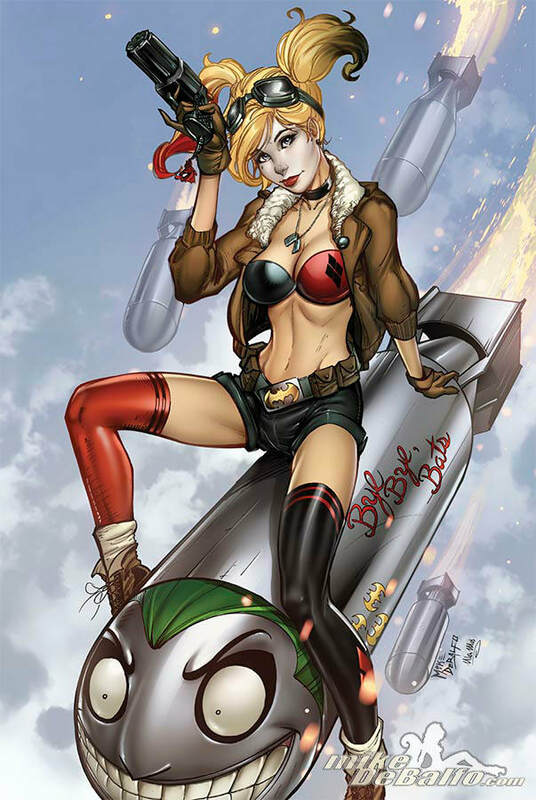 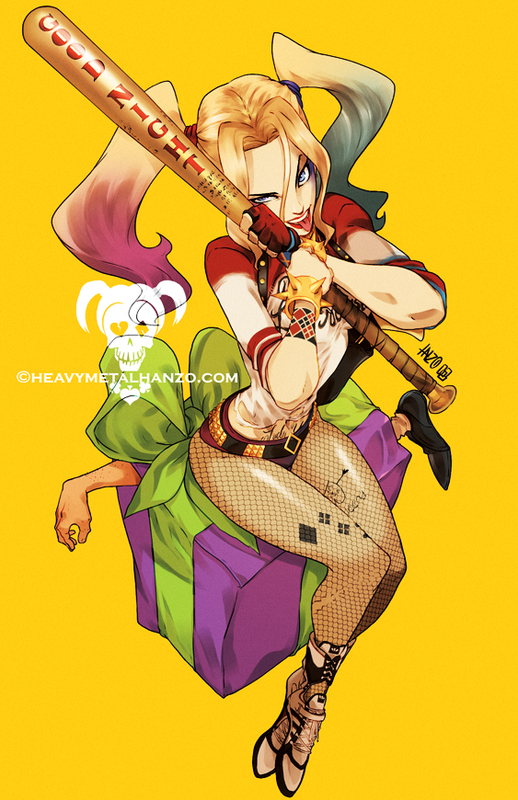 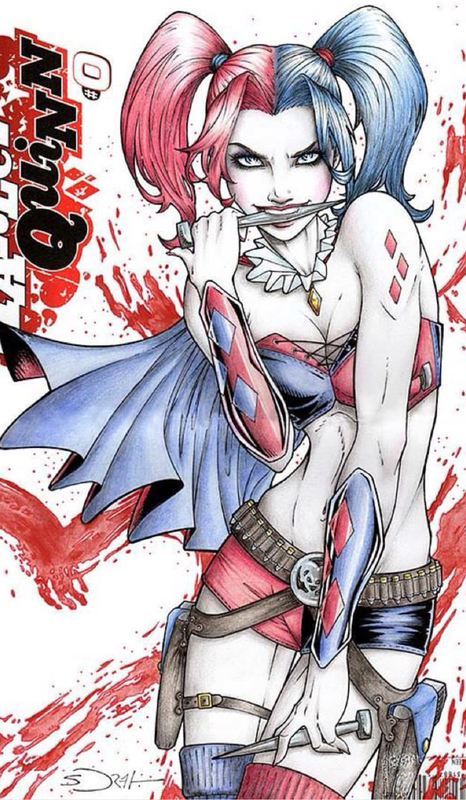 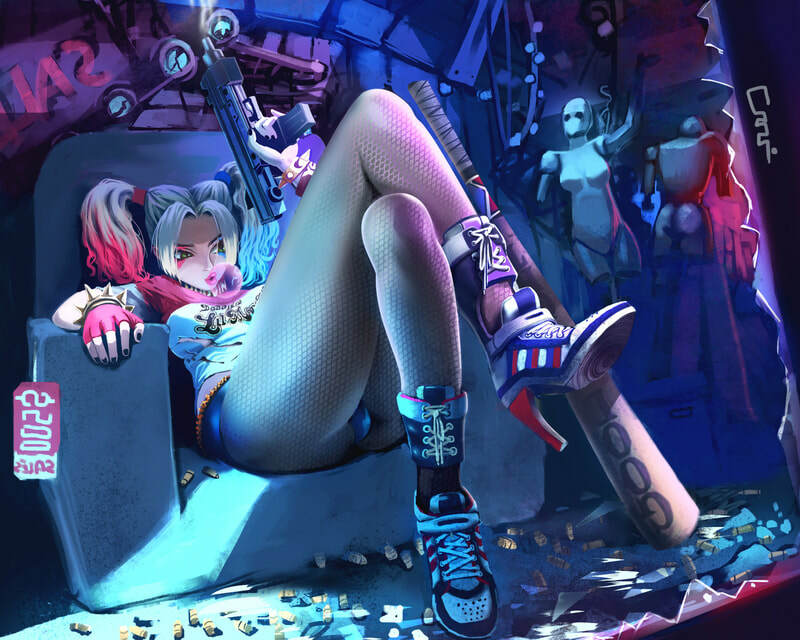 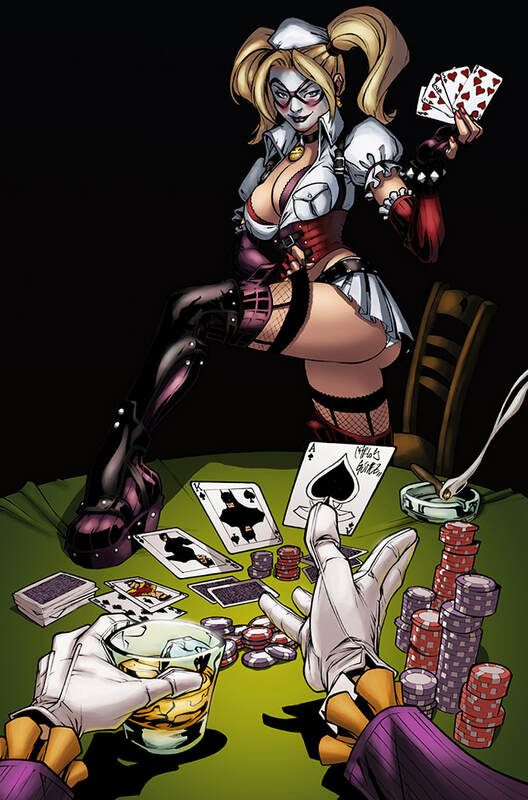 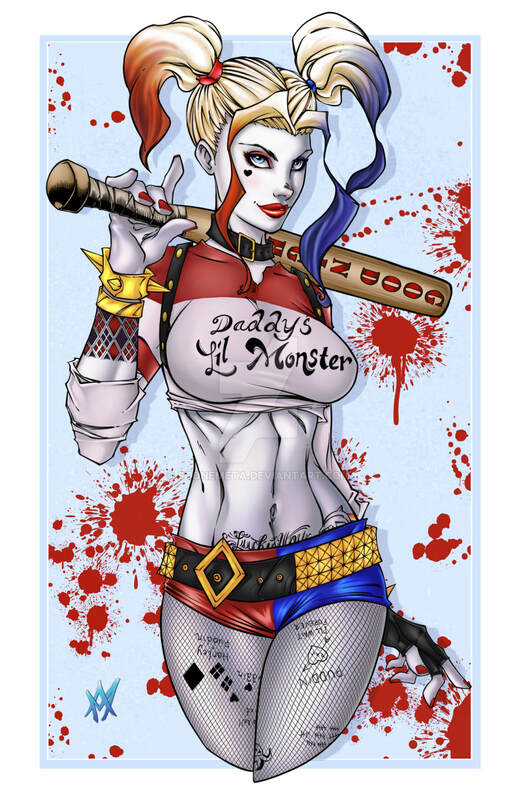 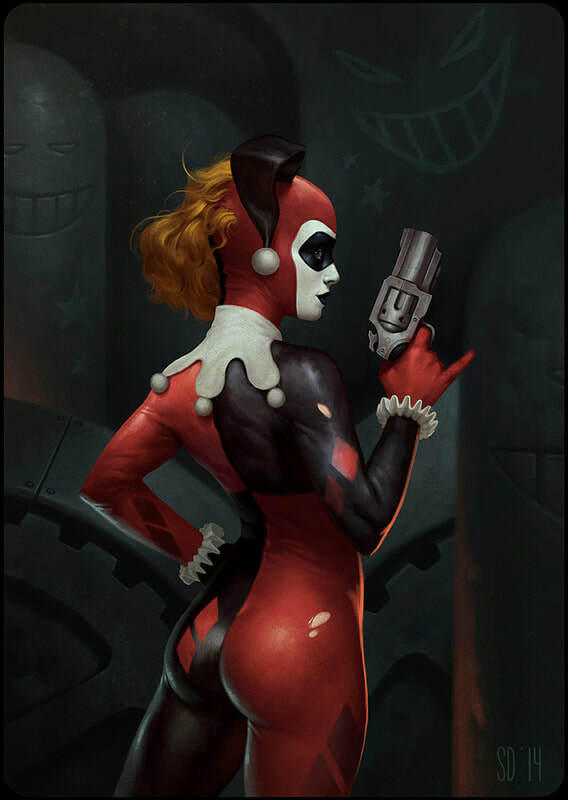 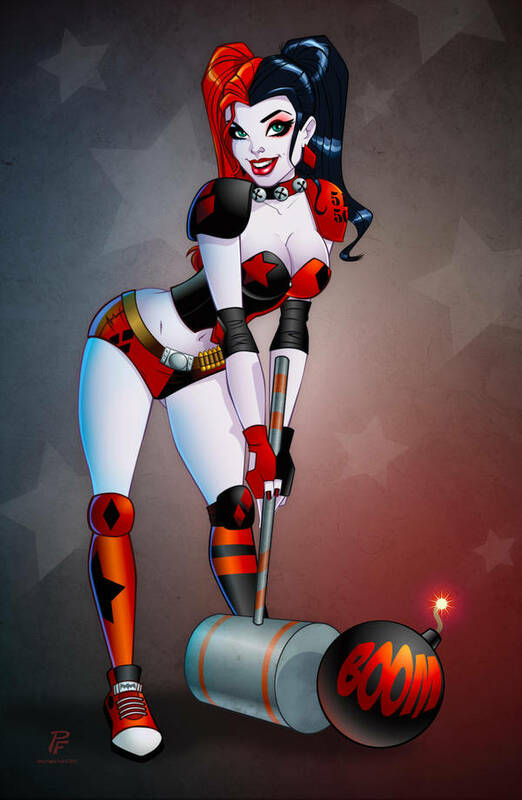 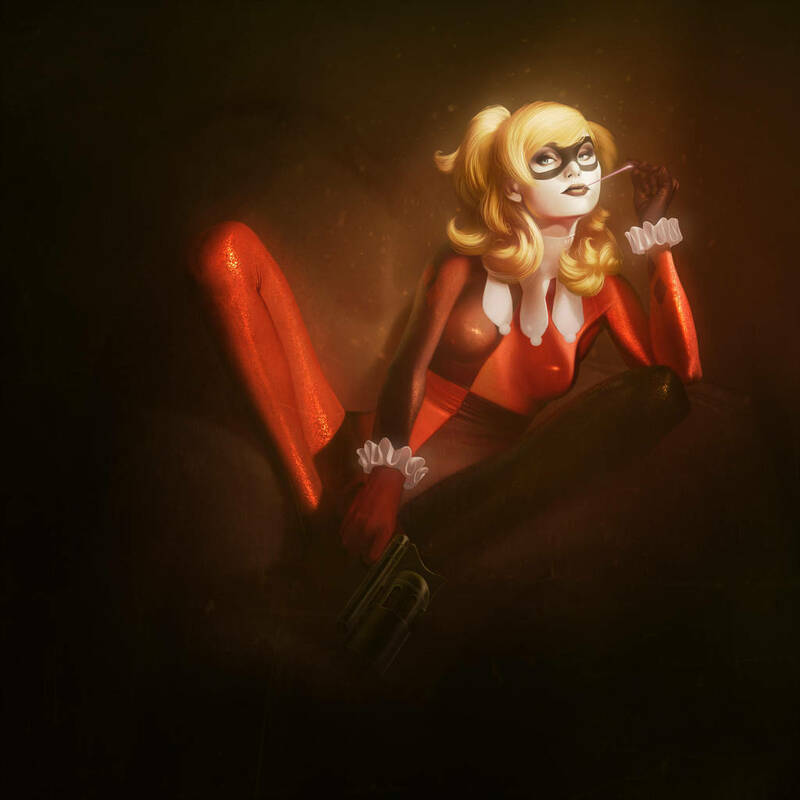 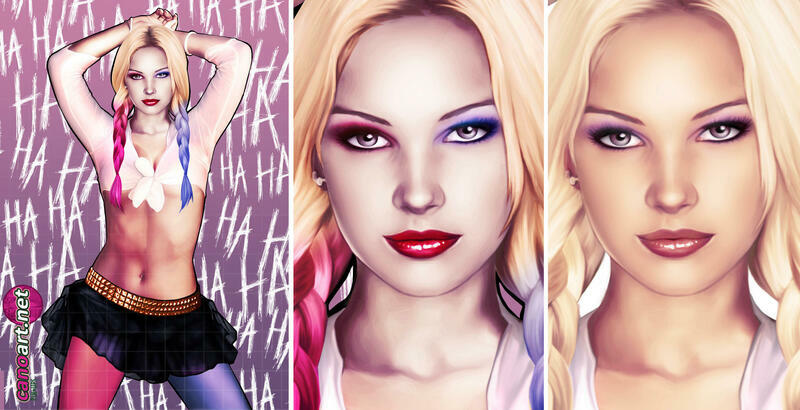 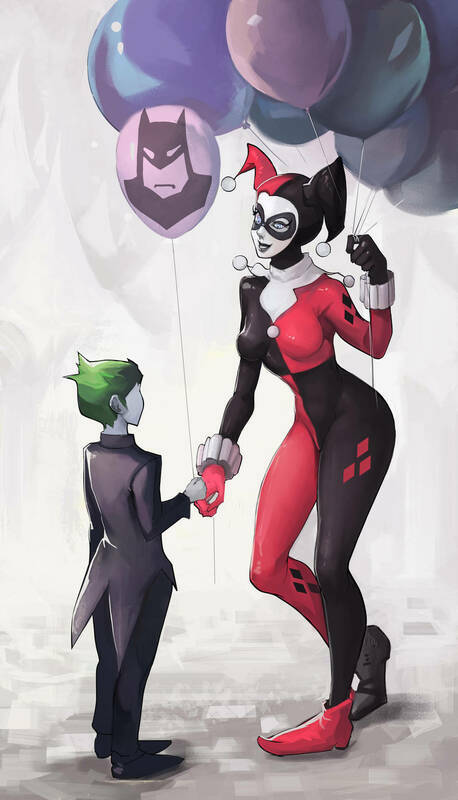 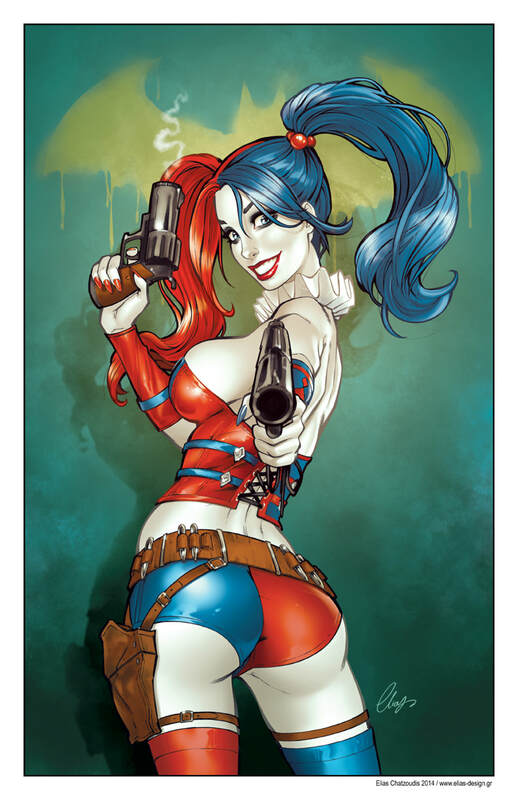 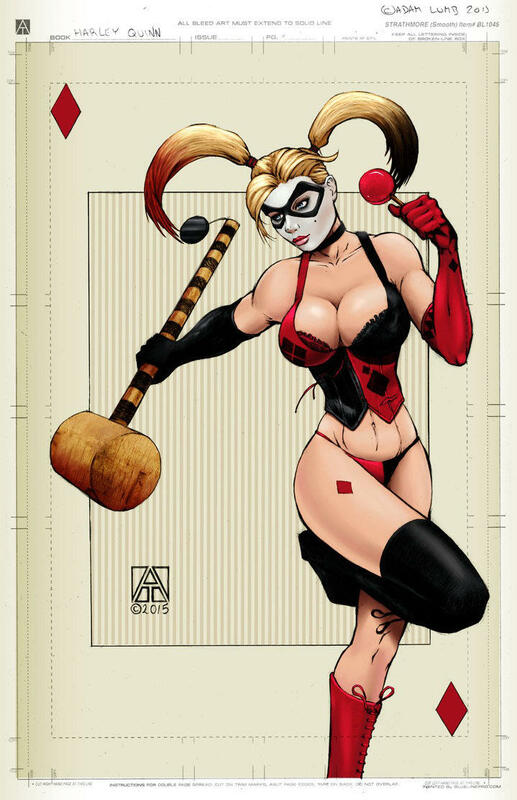 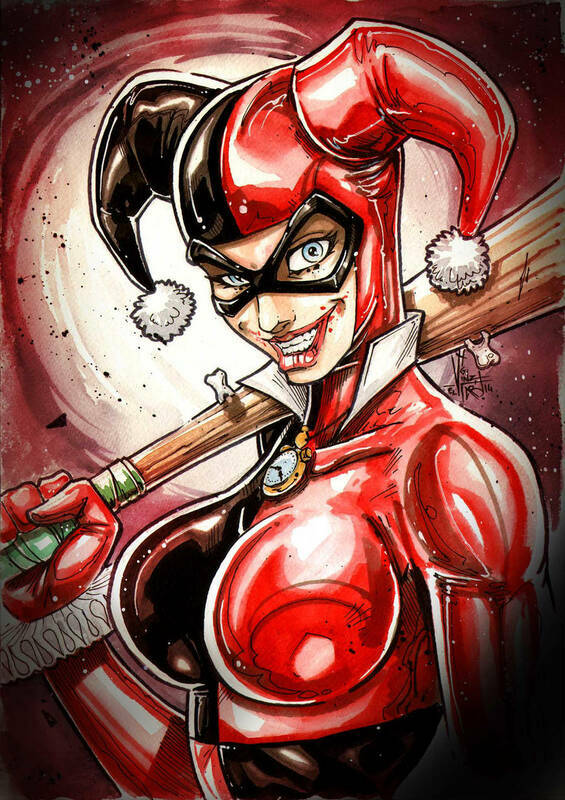 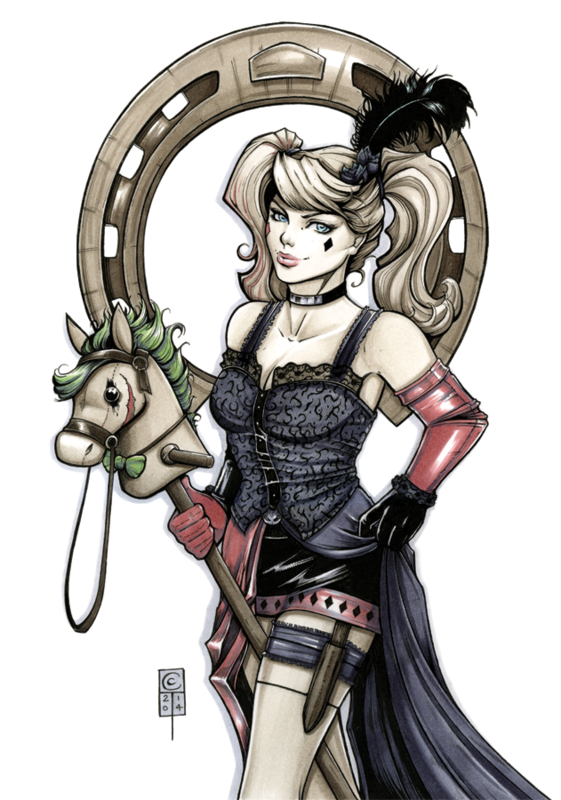 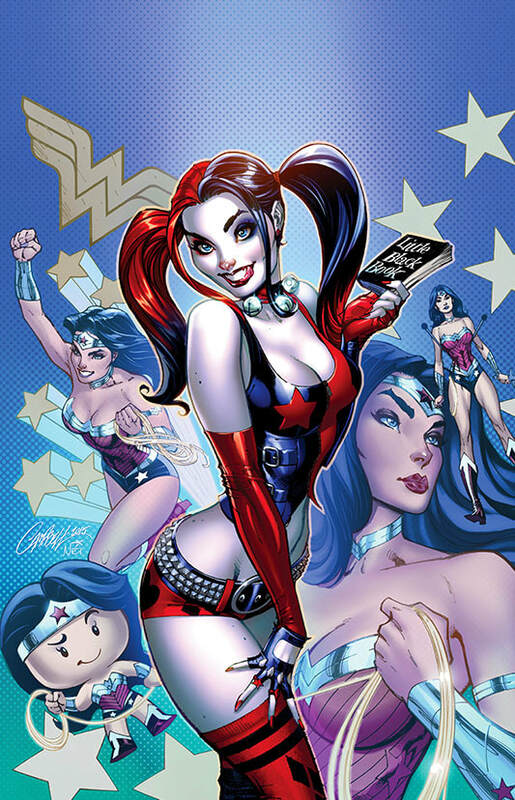 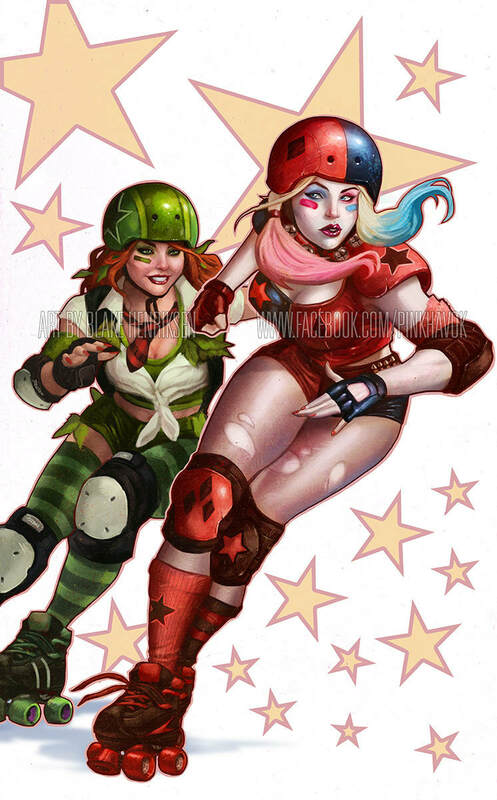 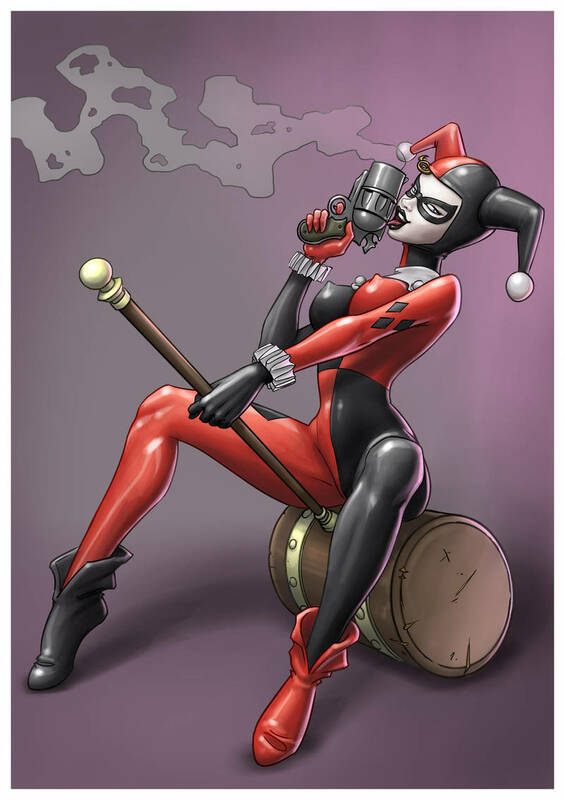 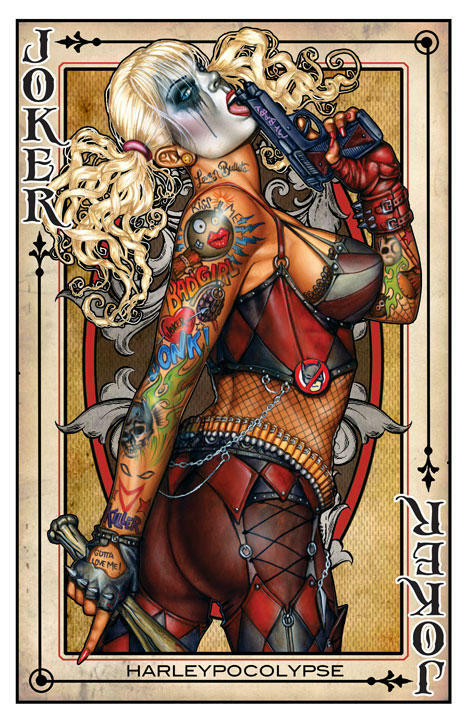 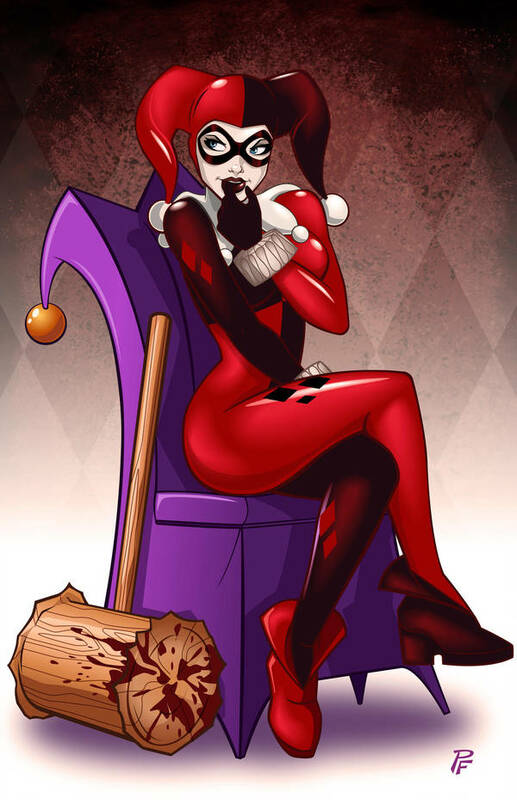 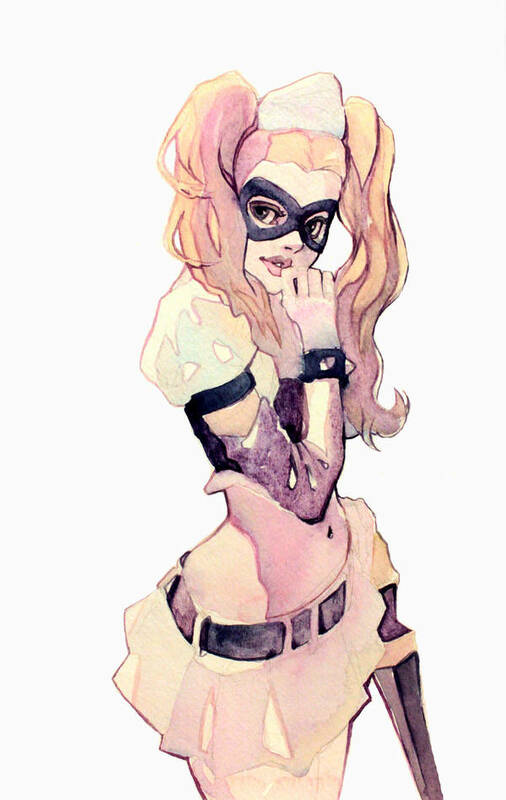 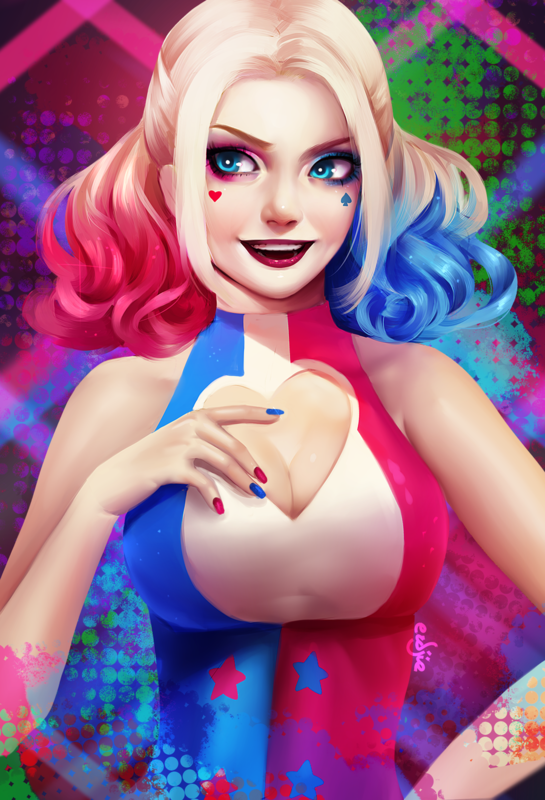 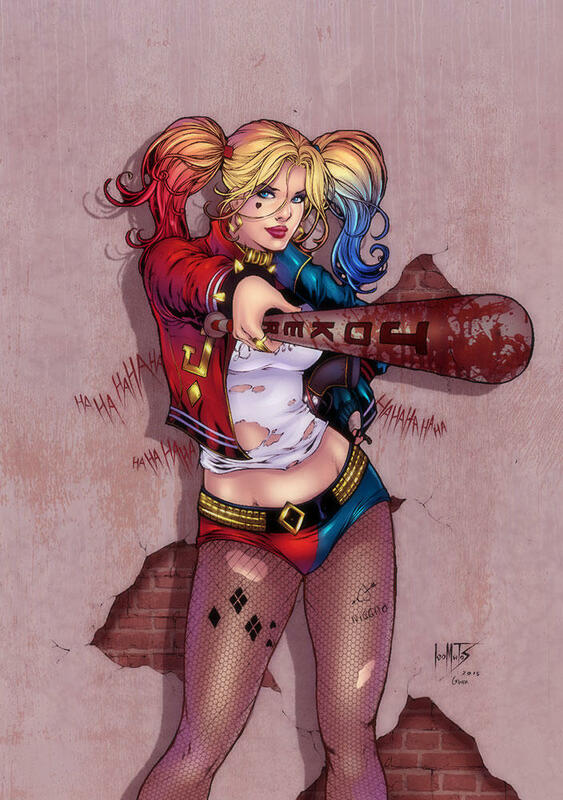 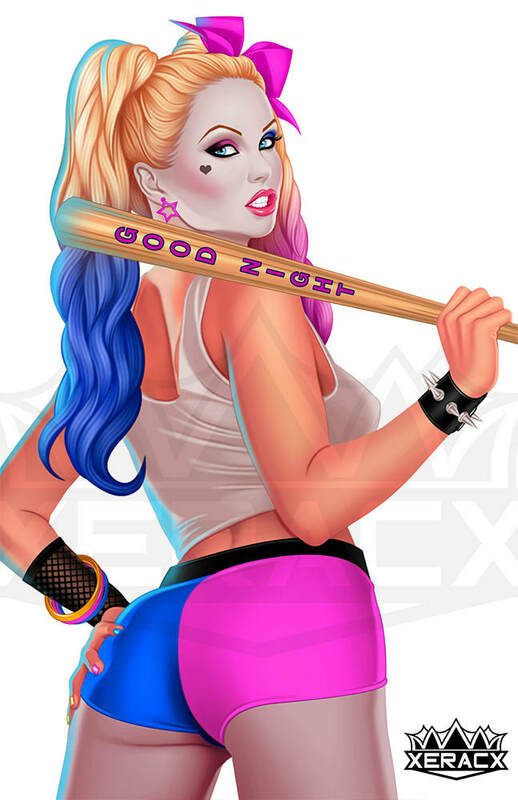 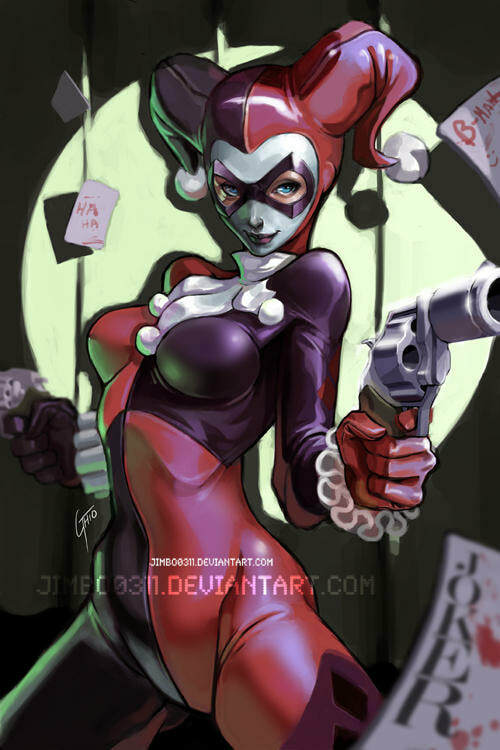 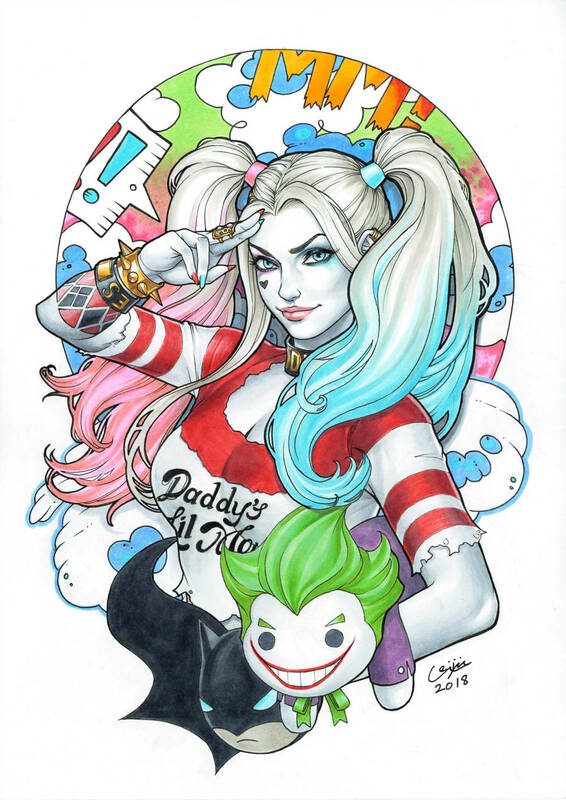 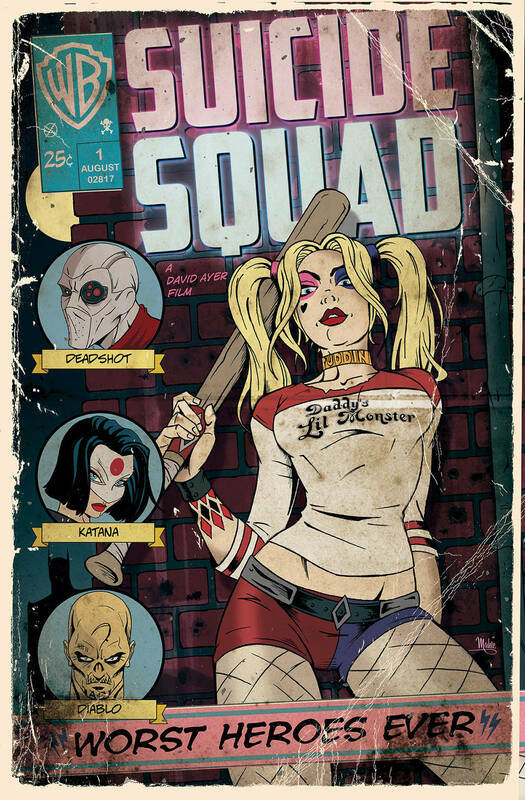 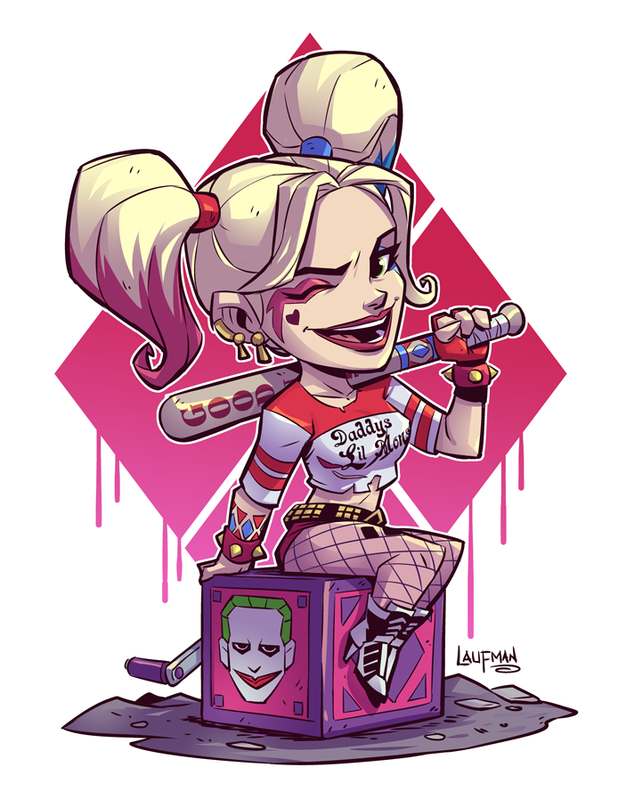 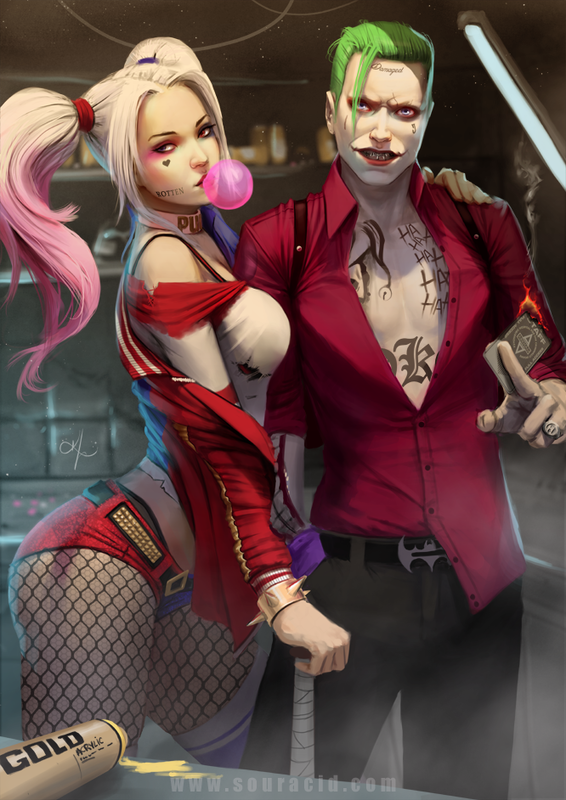 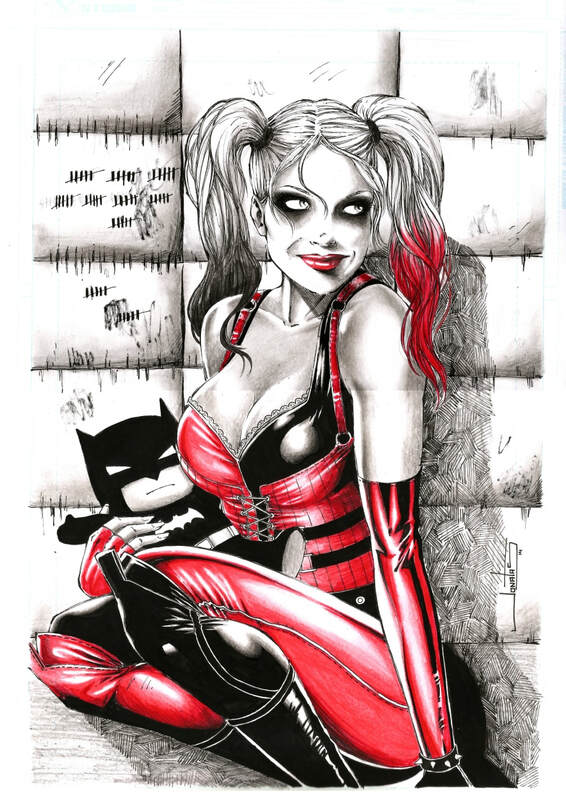 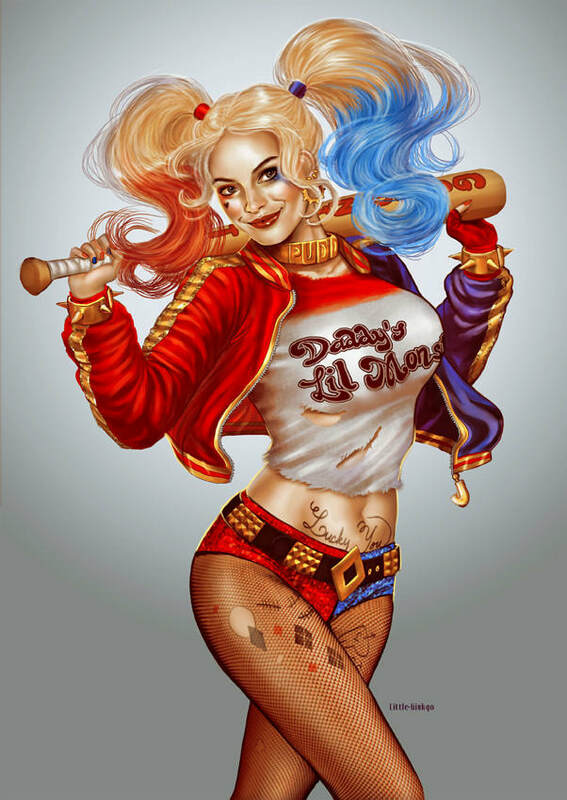 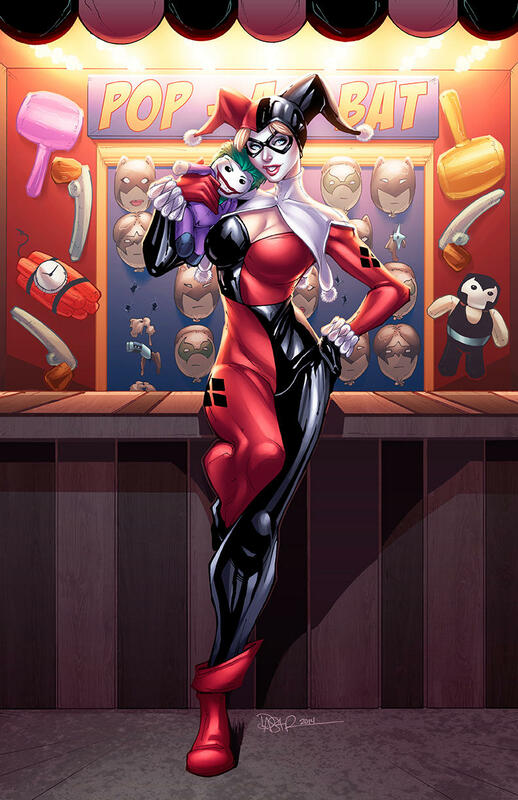 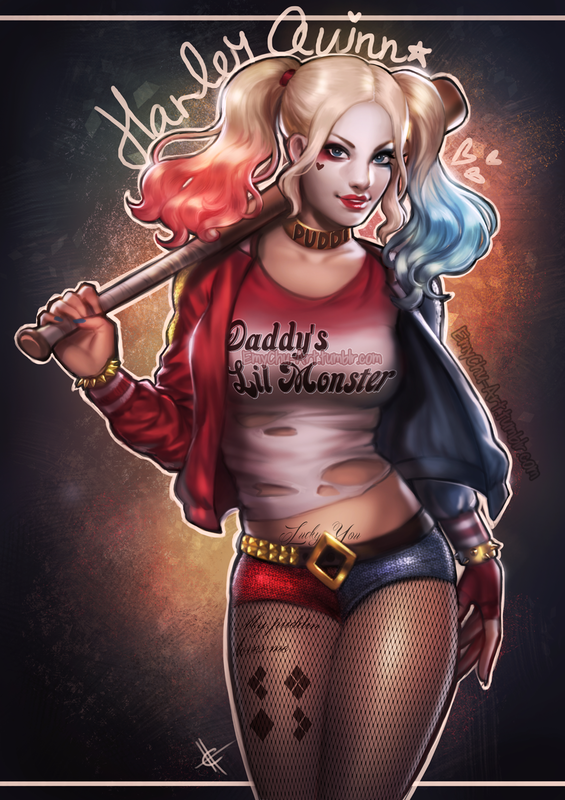 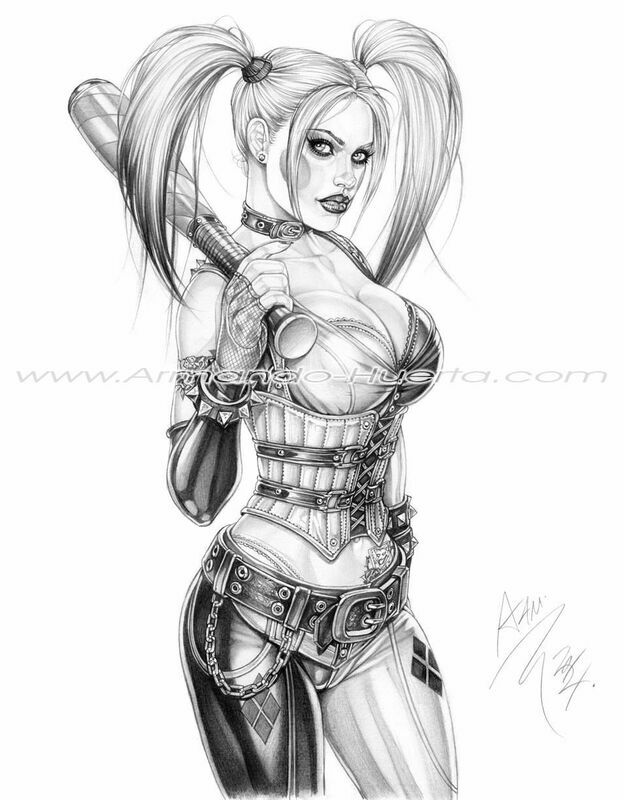 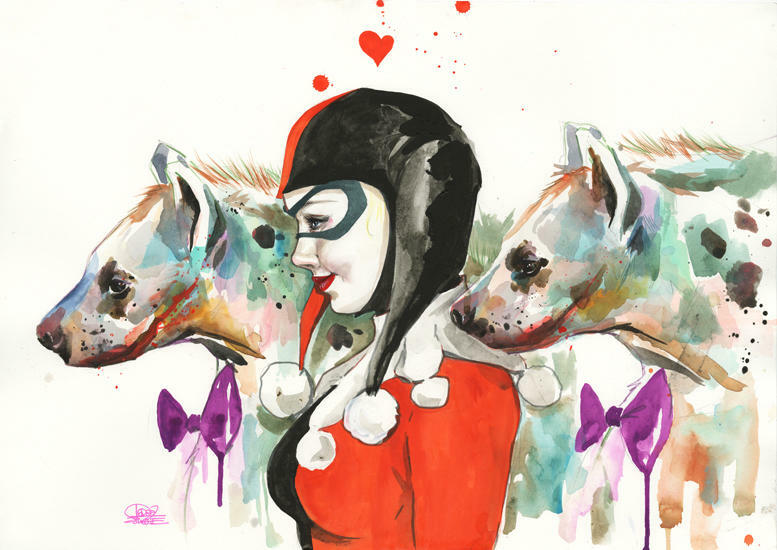 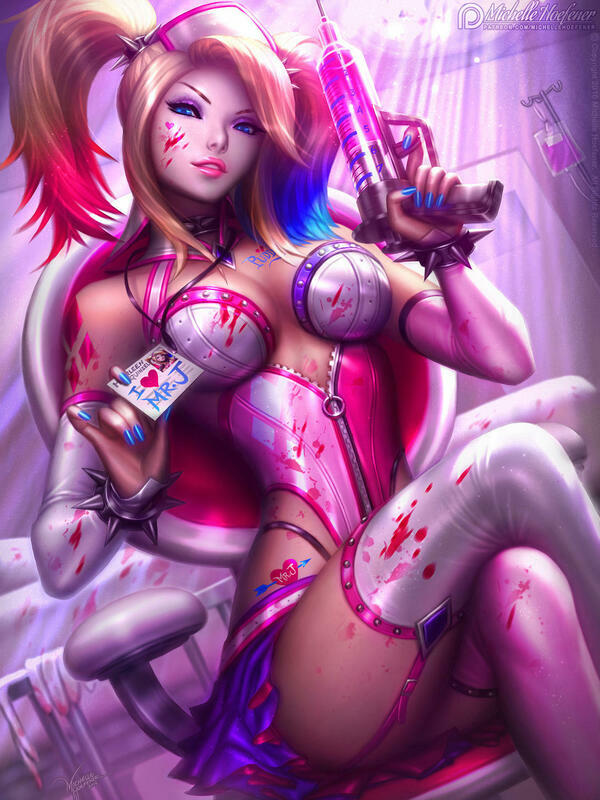 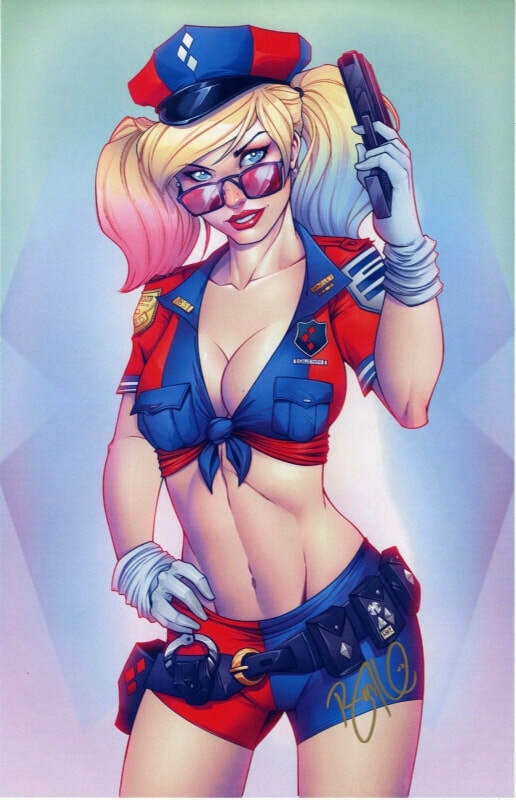 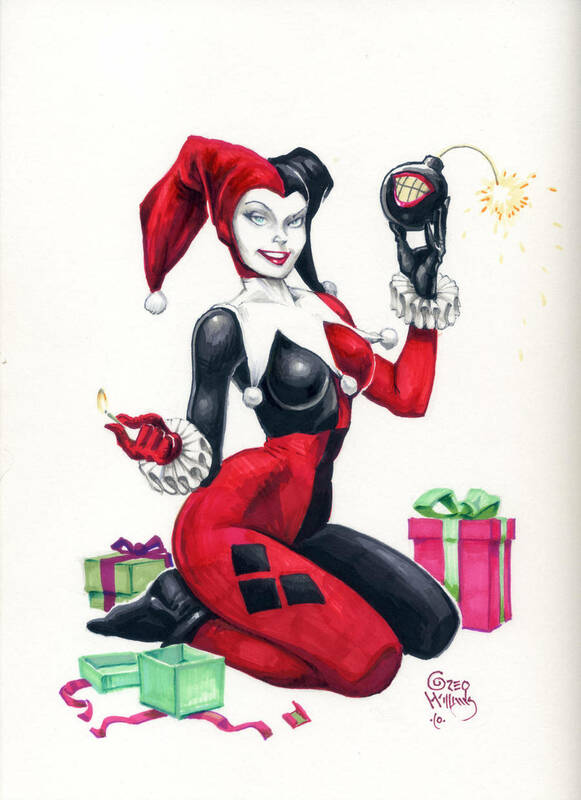 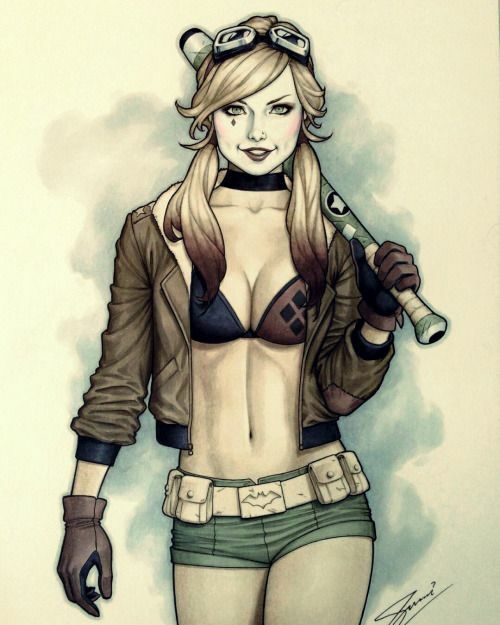 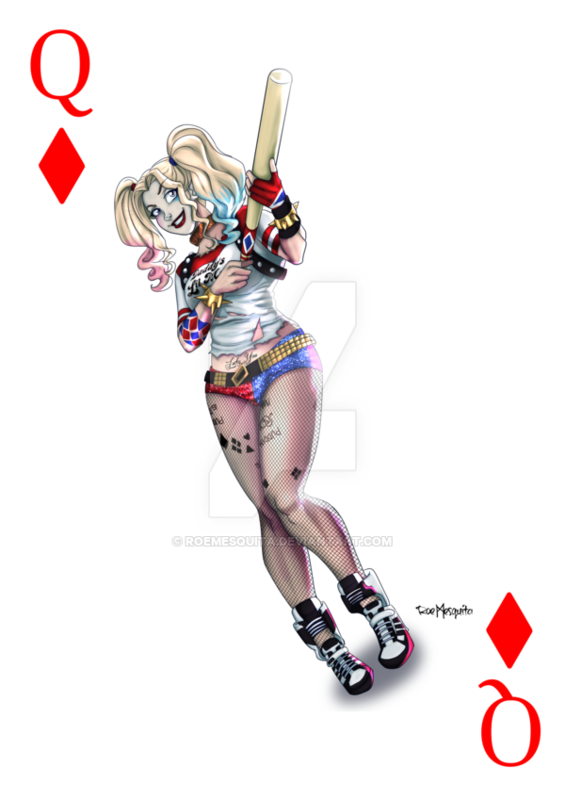 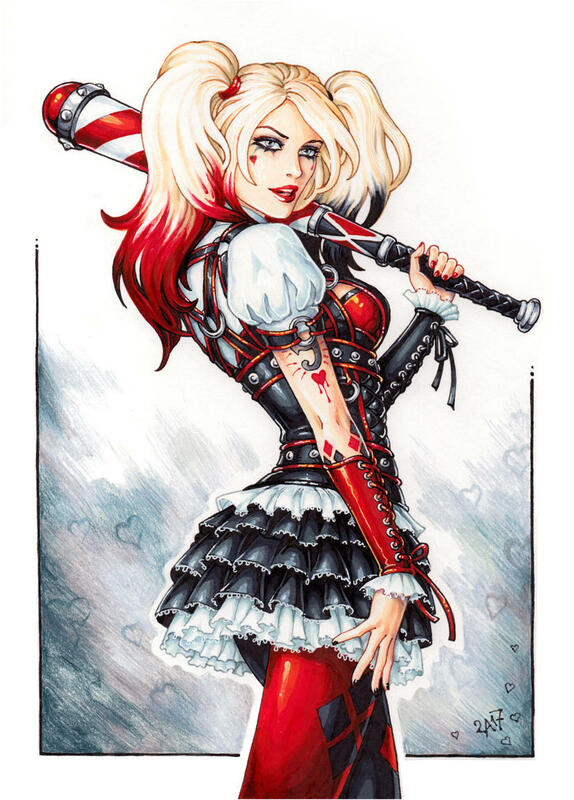 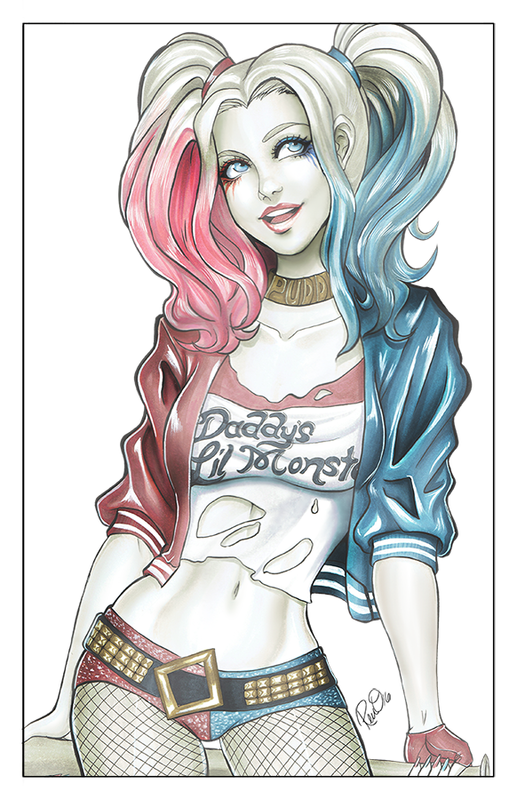 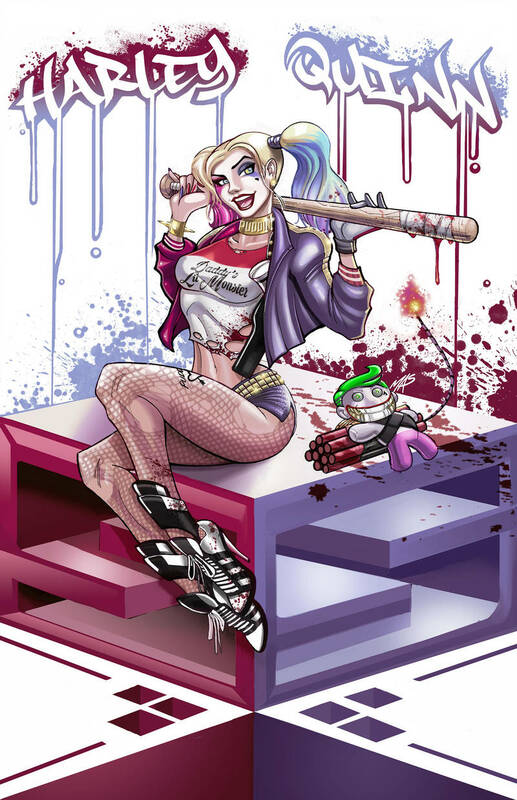 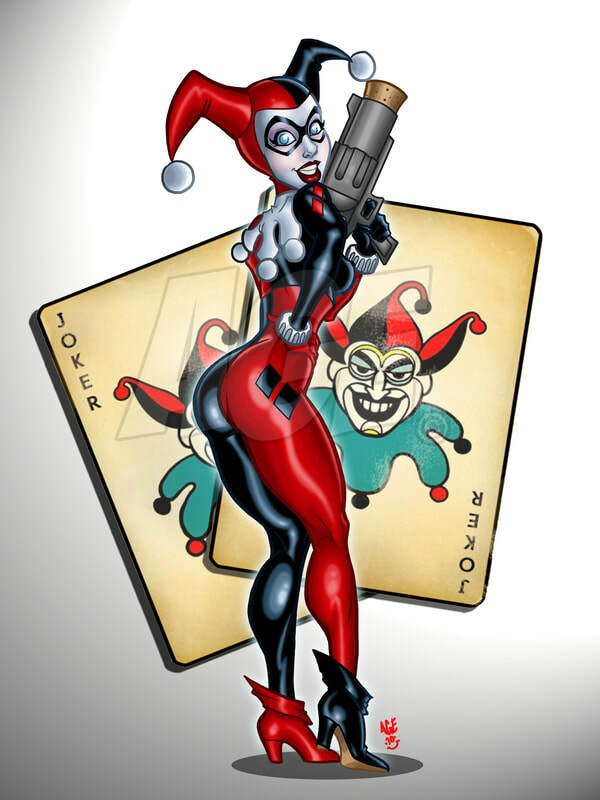 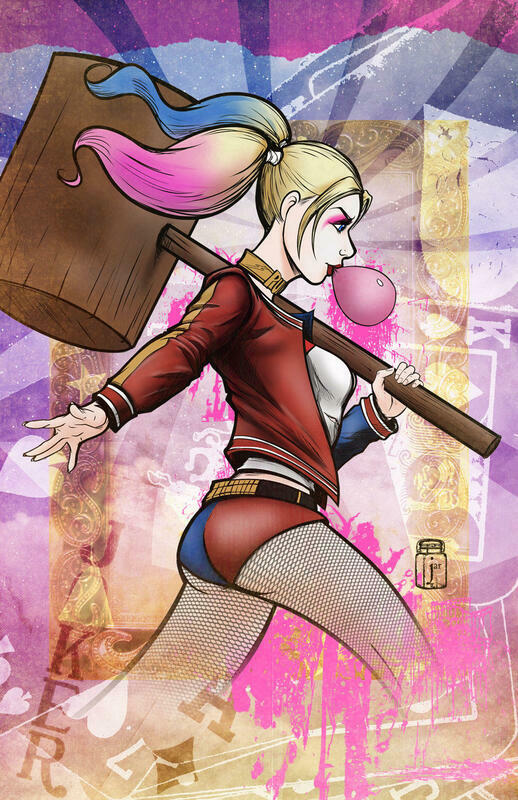 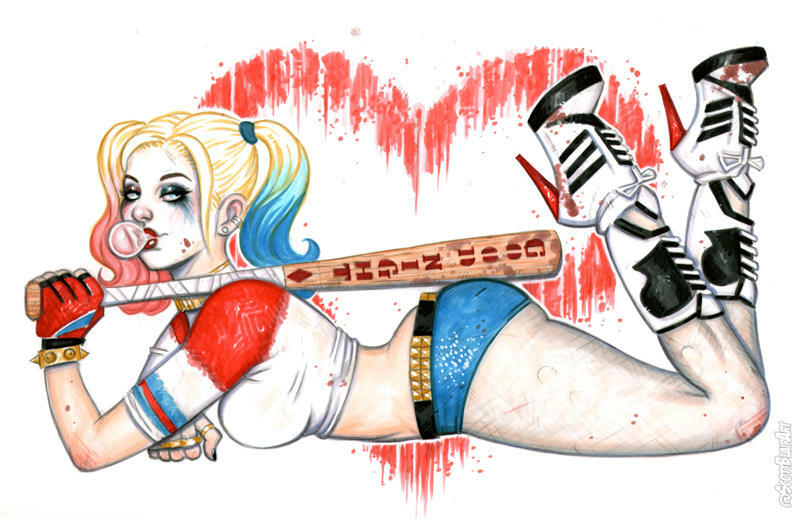 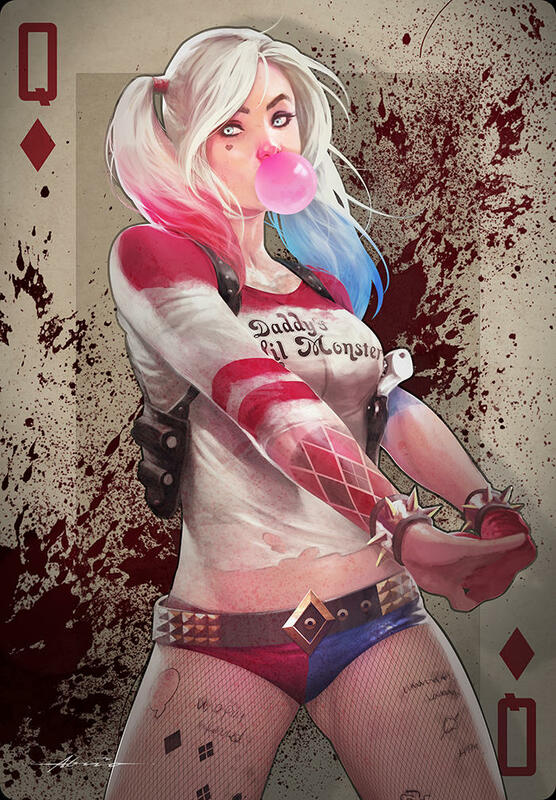 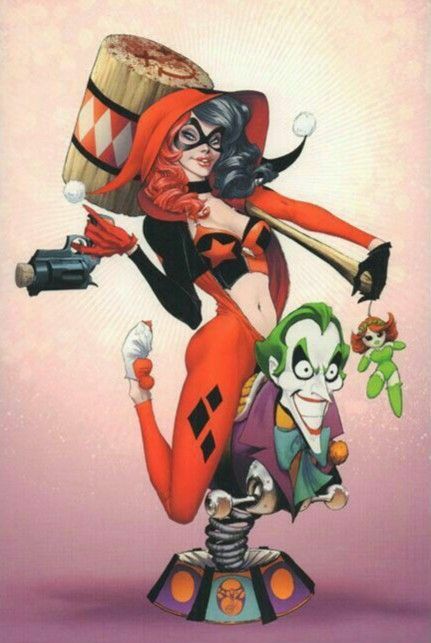 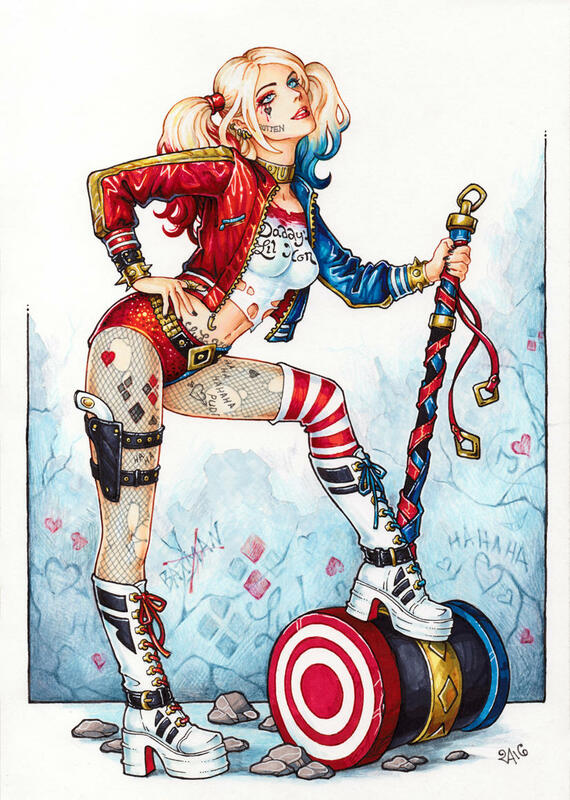 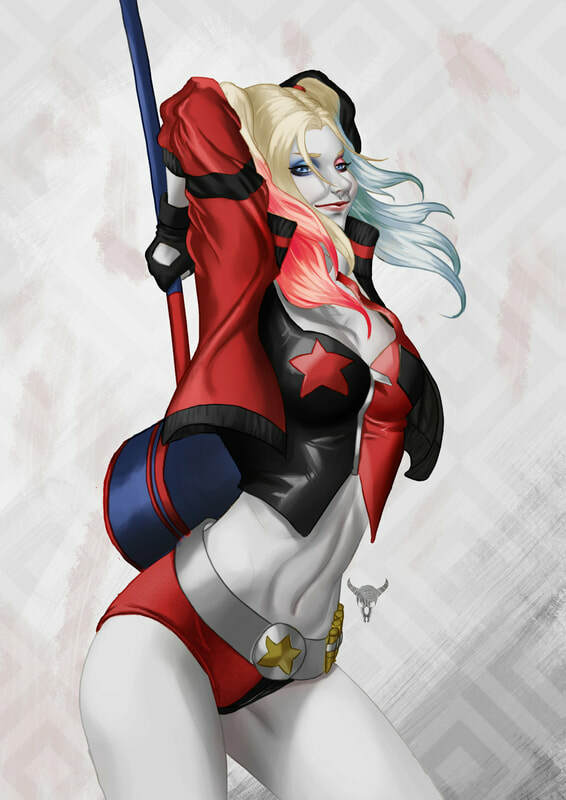 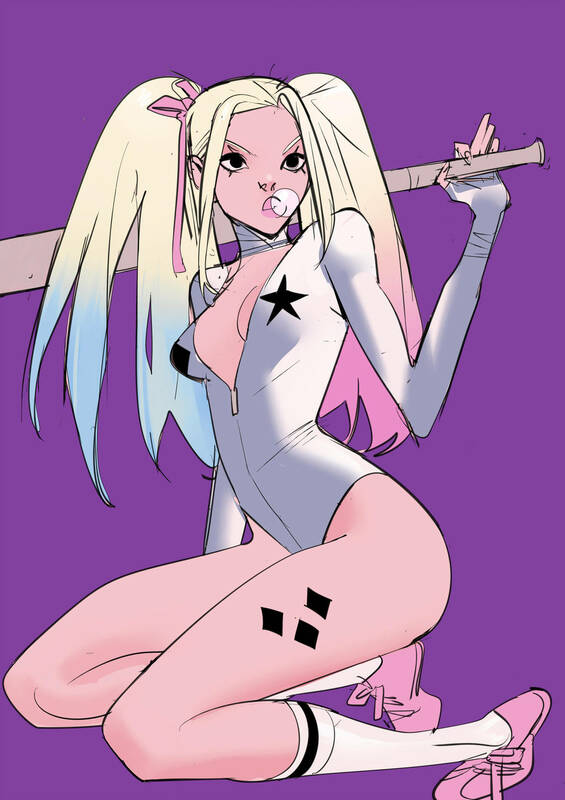 I continue to discover amazing Harley Quinn pin ups and will be adding them to this bonus section.